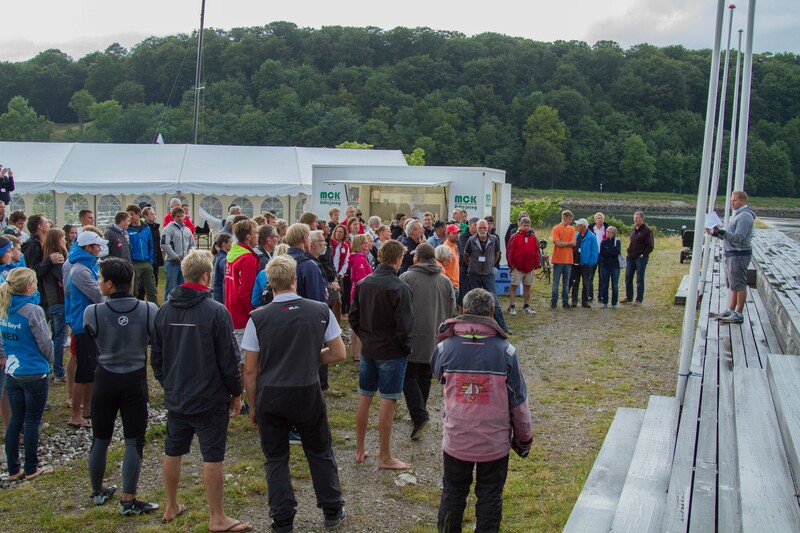 This file explains the plans for days 3 and 4 and includes some amendments to the SI's. 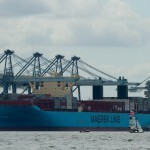 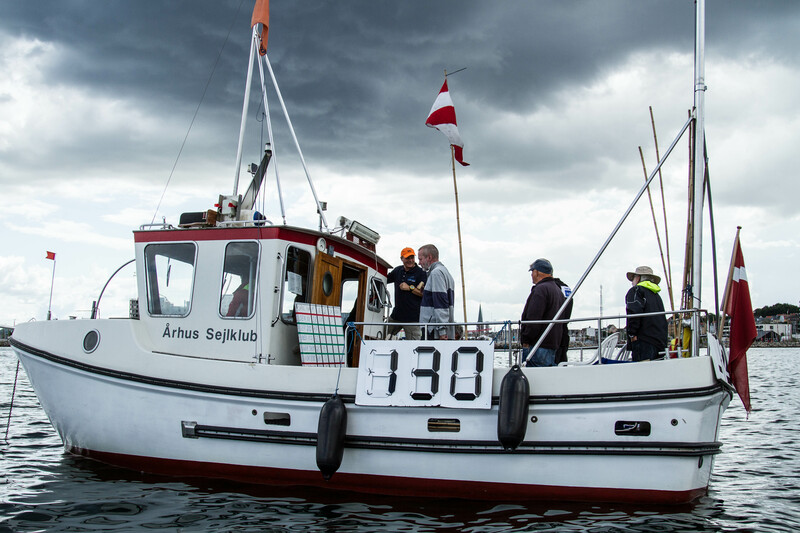 On Sunday and Monday, the time for the first warning signal will be 11.00 Hrs. 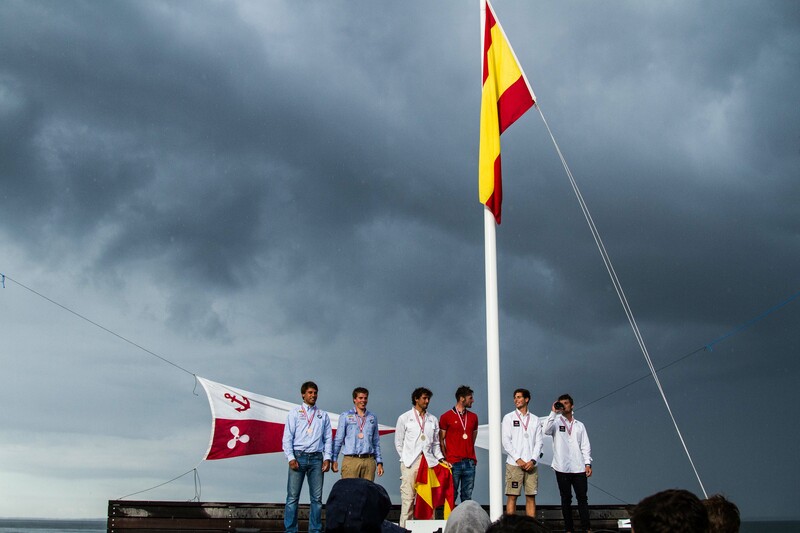 27 June 2014, 2100 Hrs. 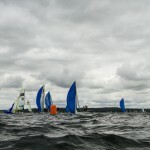 Points from qualifying races with one discard and final races with no discards are added together to get the championship points score. 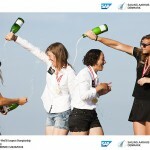 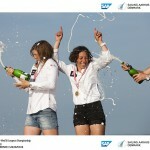 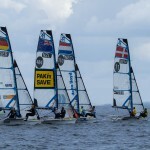 Note: The scoring in the final races will not count double. 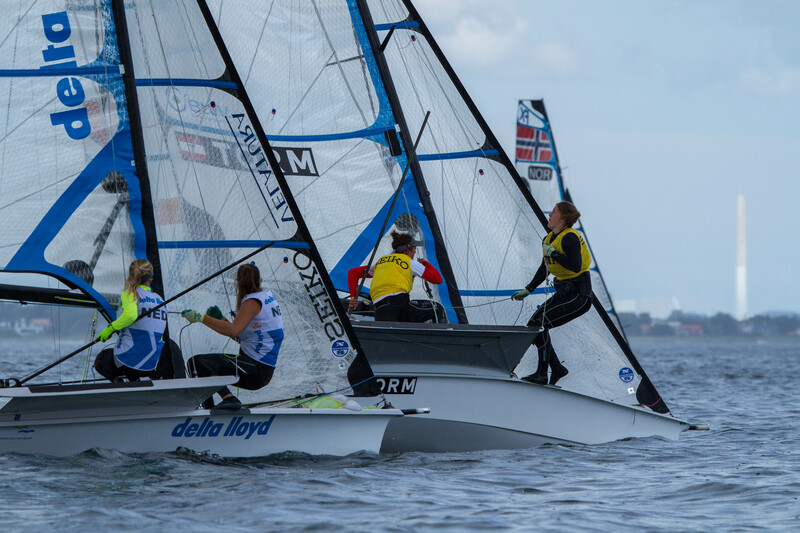 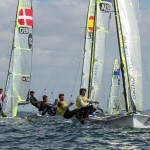 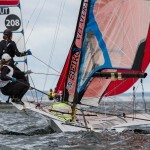 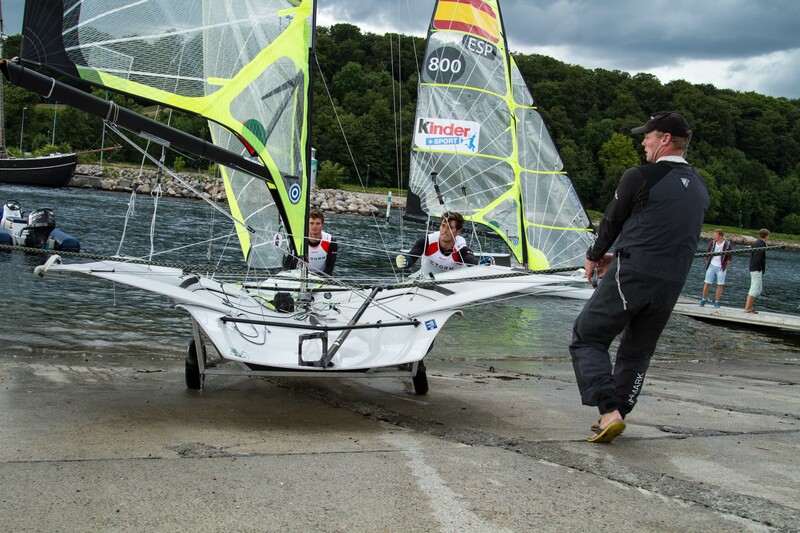 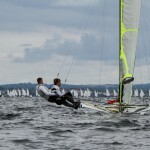 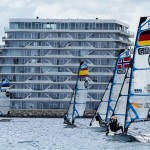 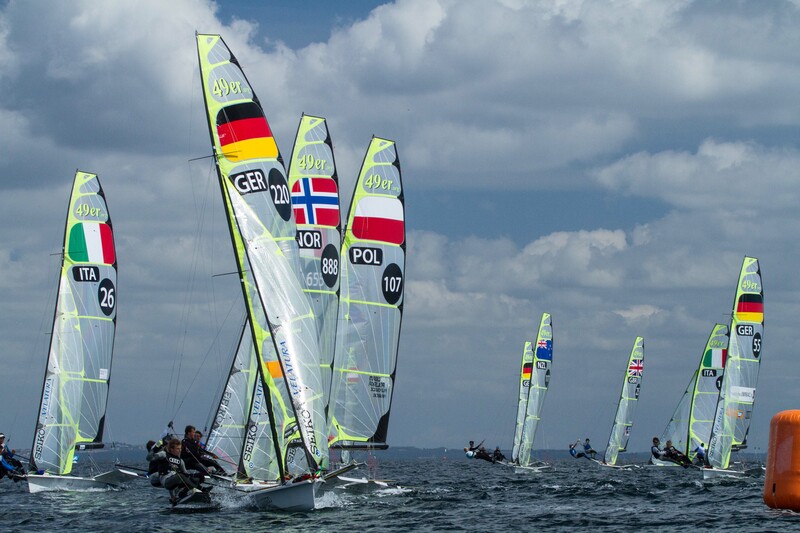 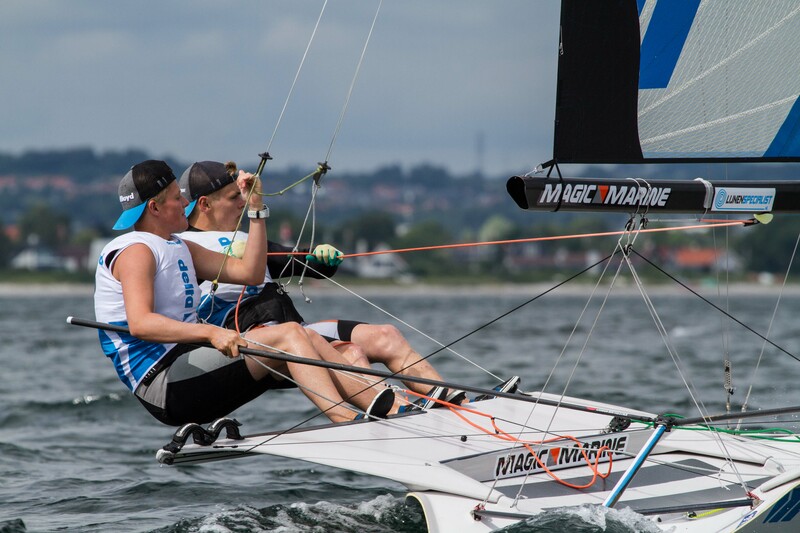 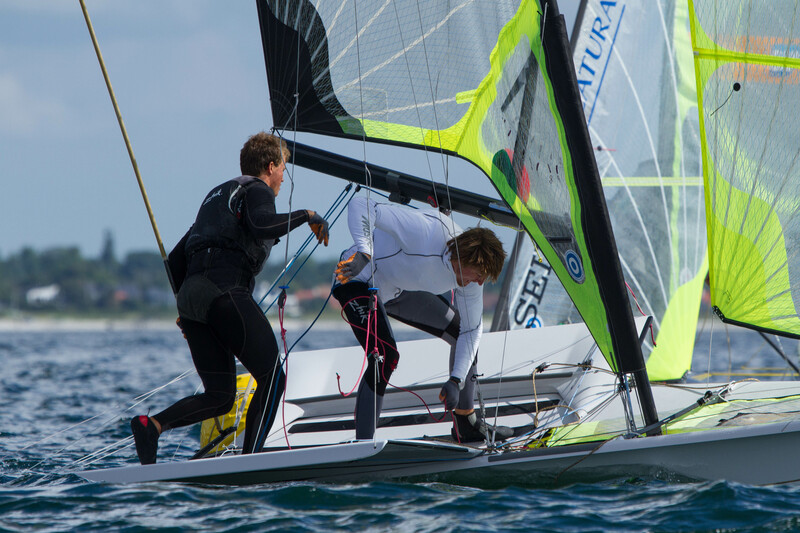 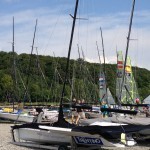 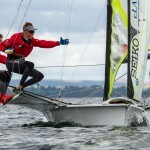 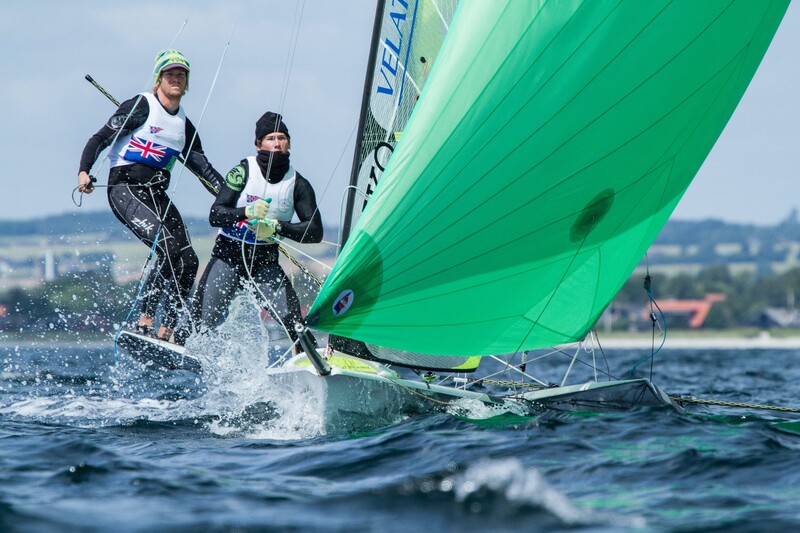 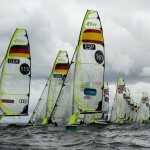 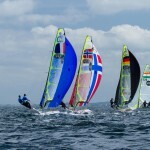 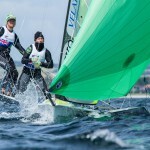 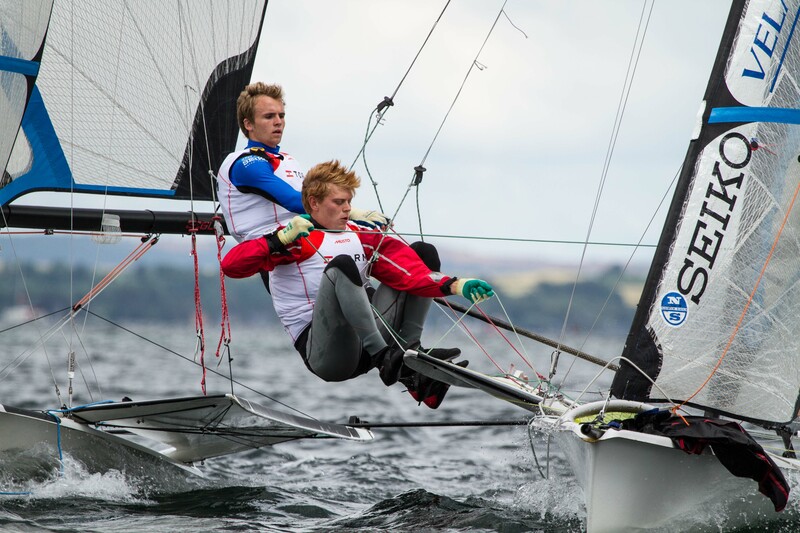 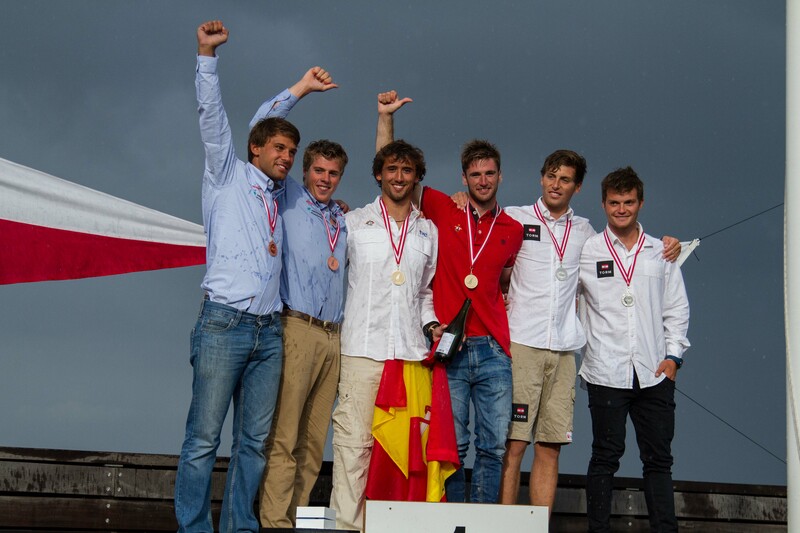 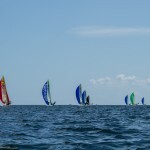 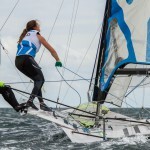 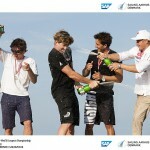 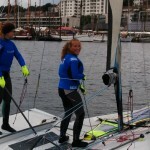 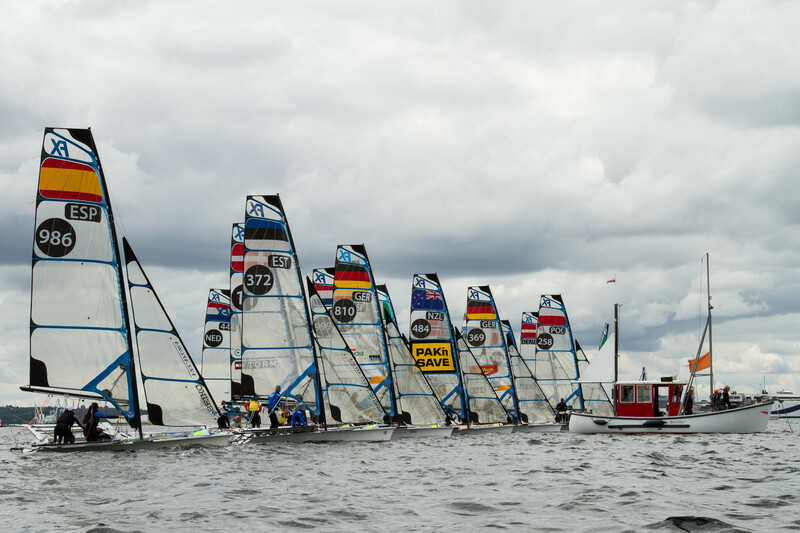 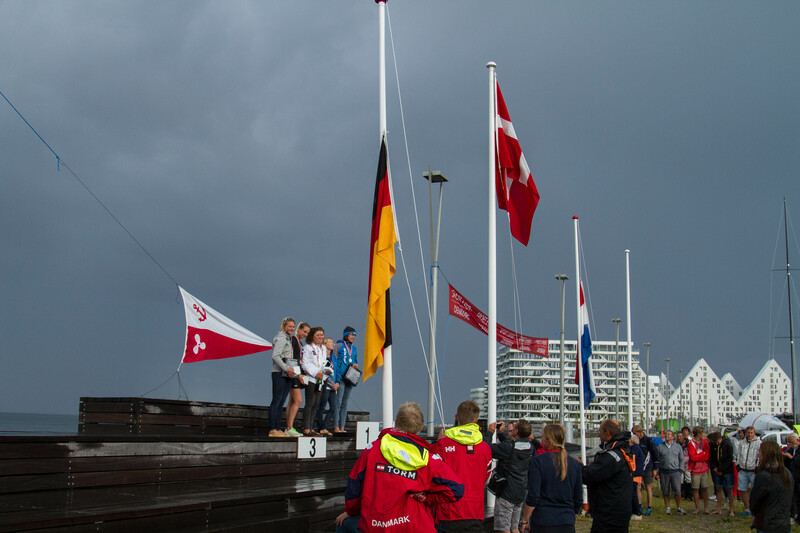 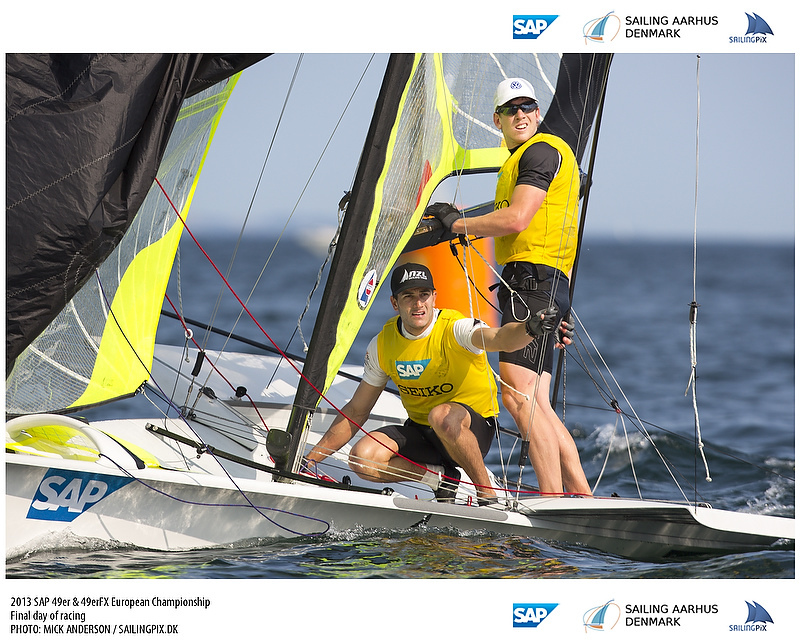 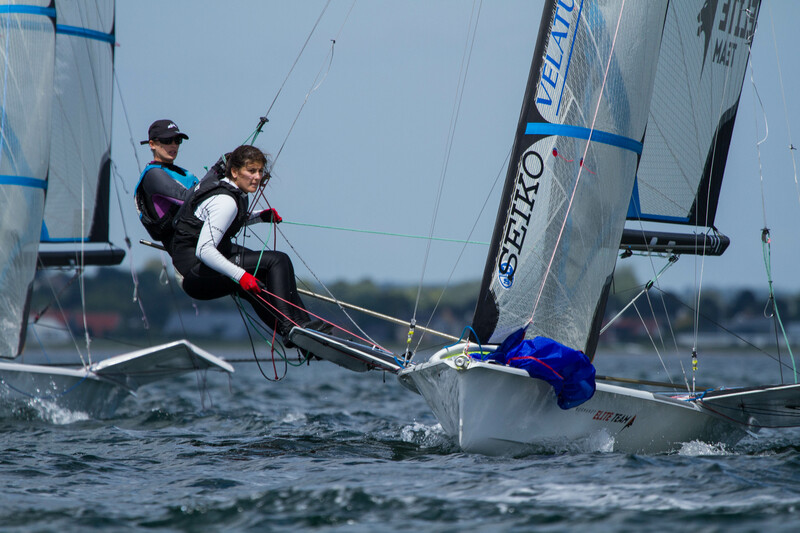 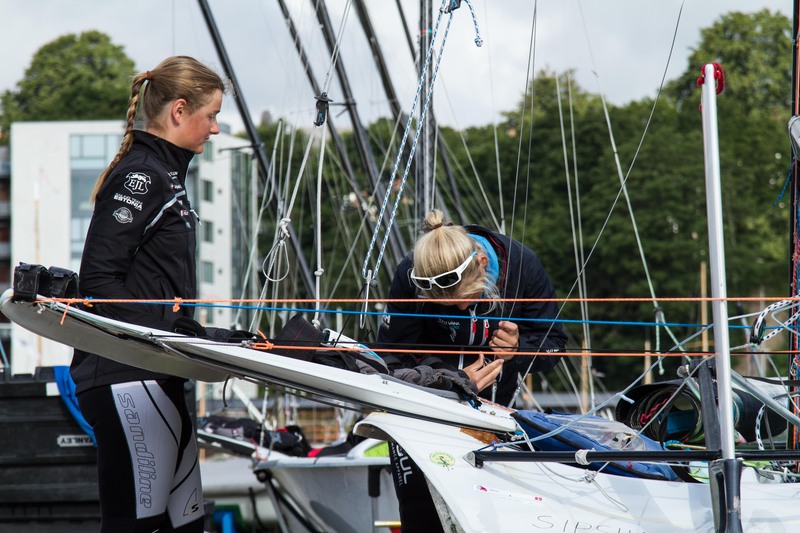 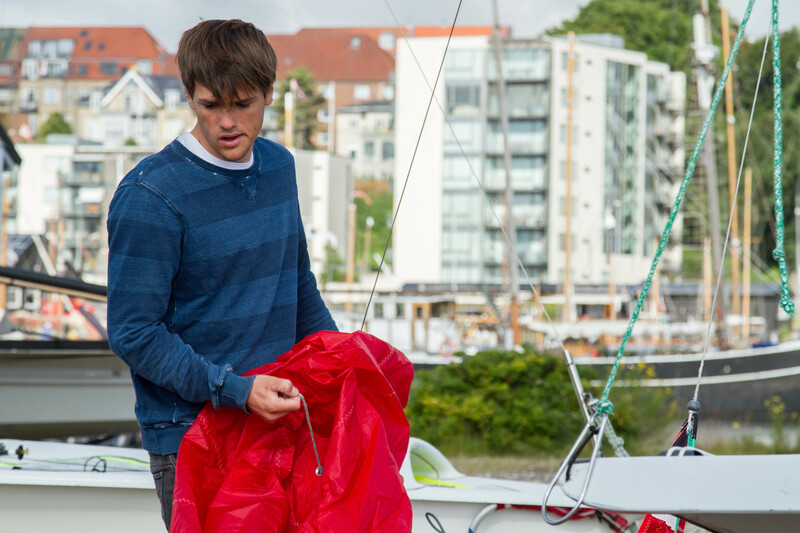 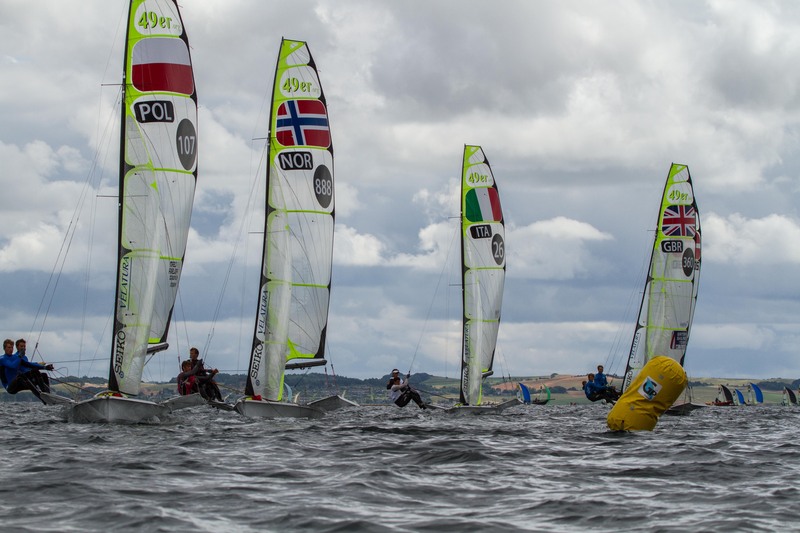 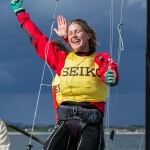 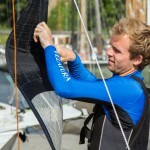 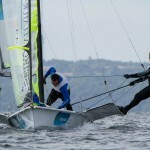 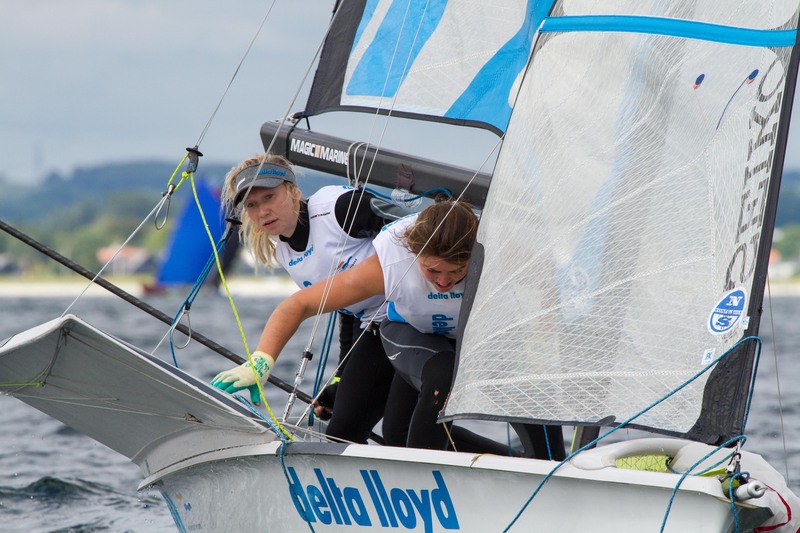 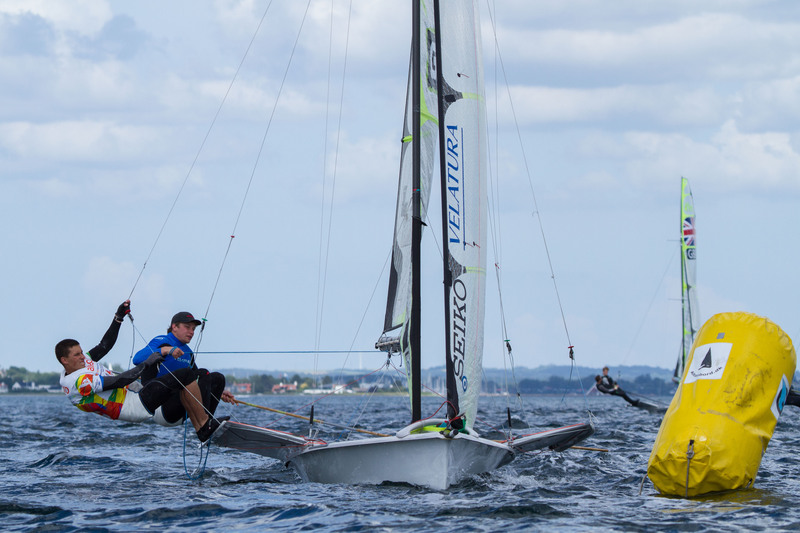 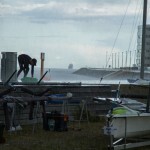 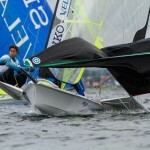 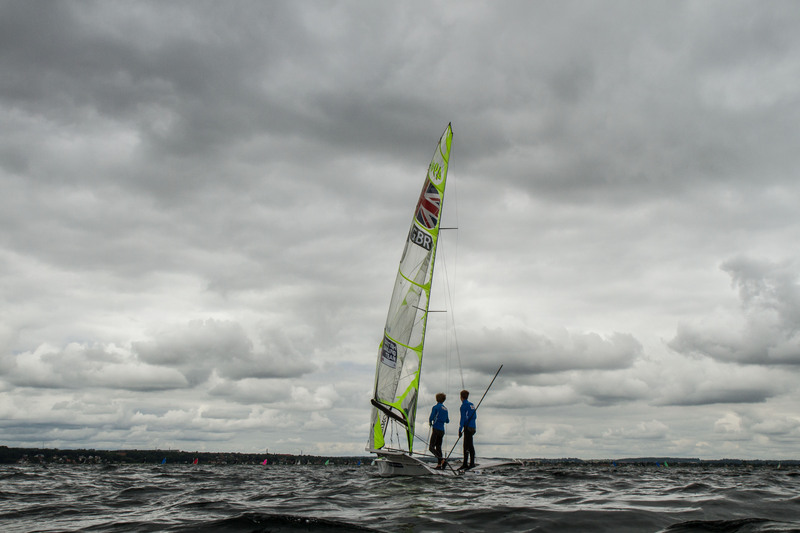 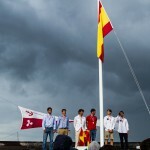 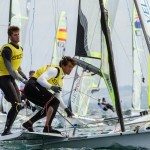 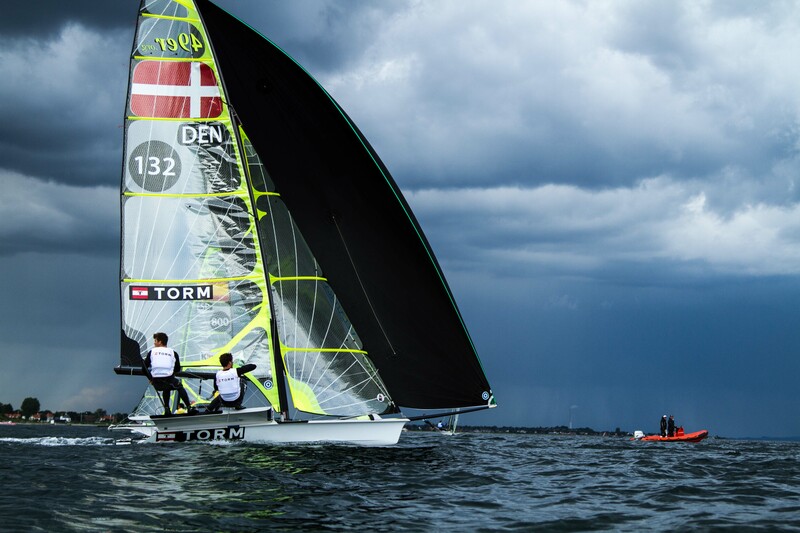 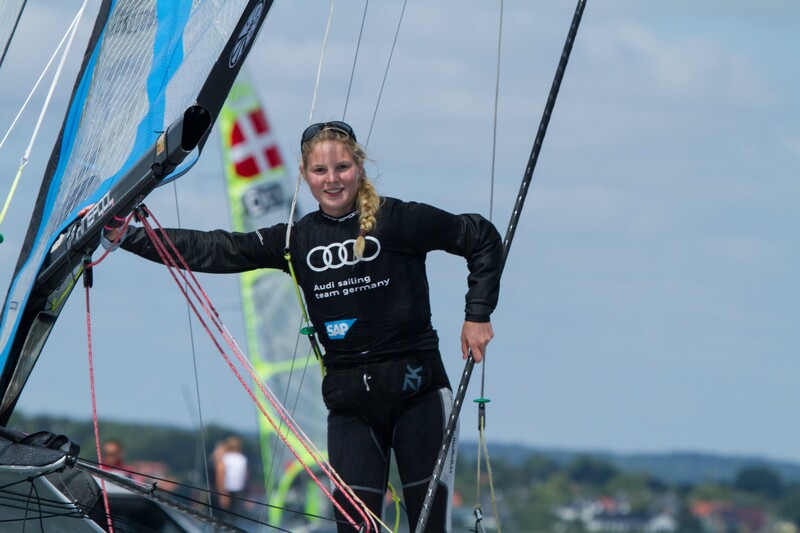 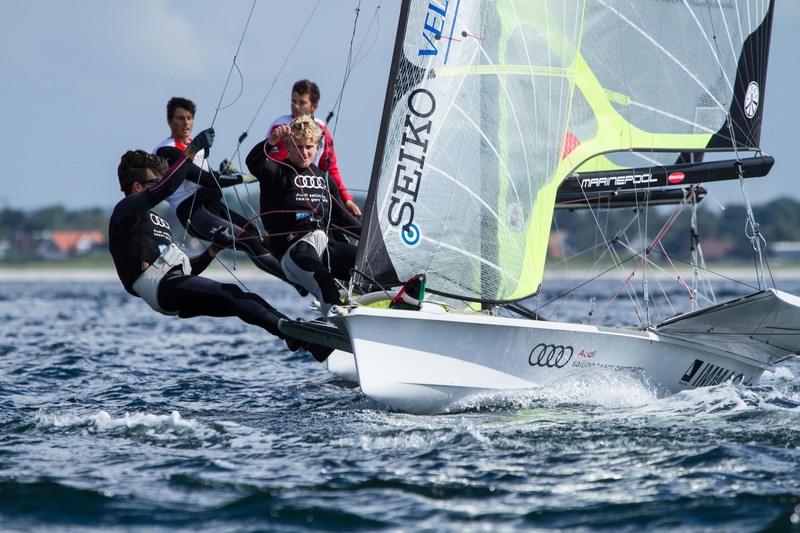 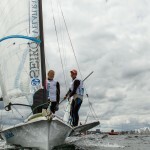 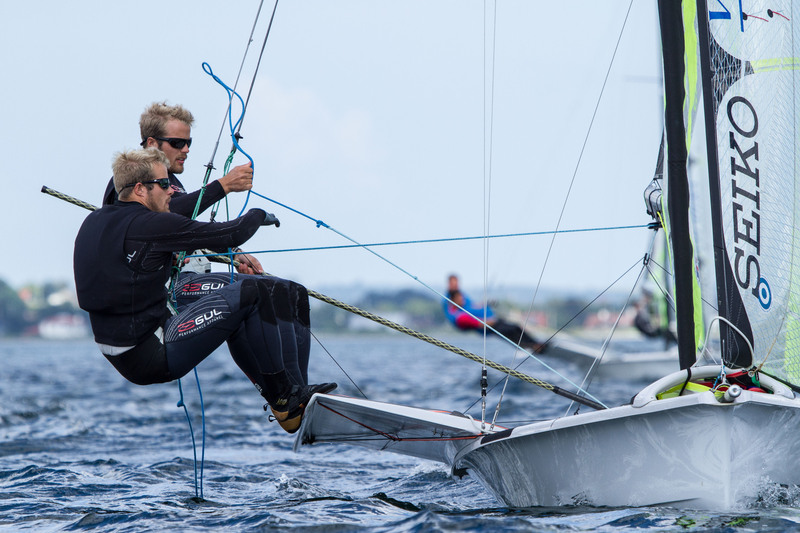 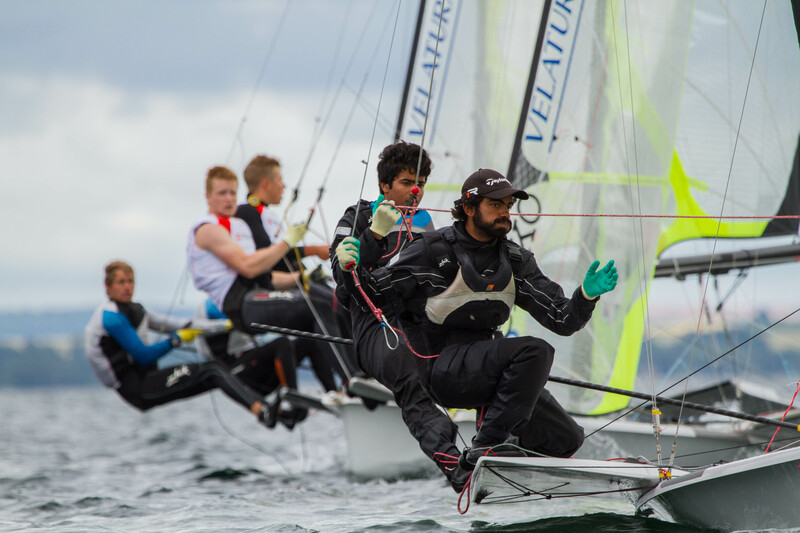 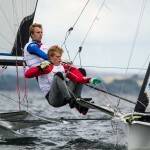 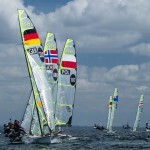 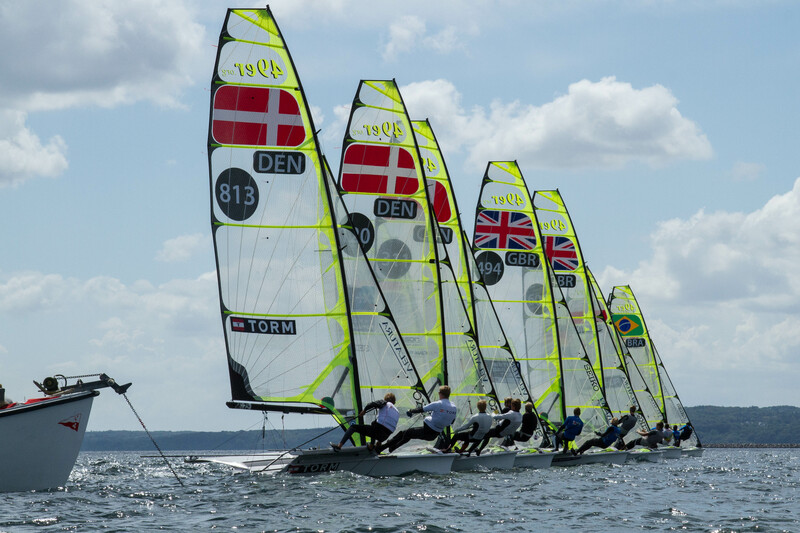 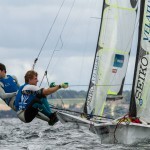 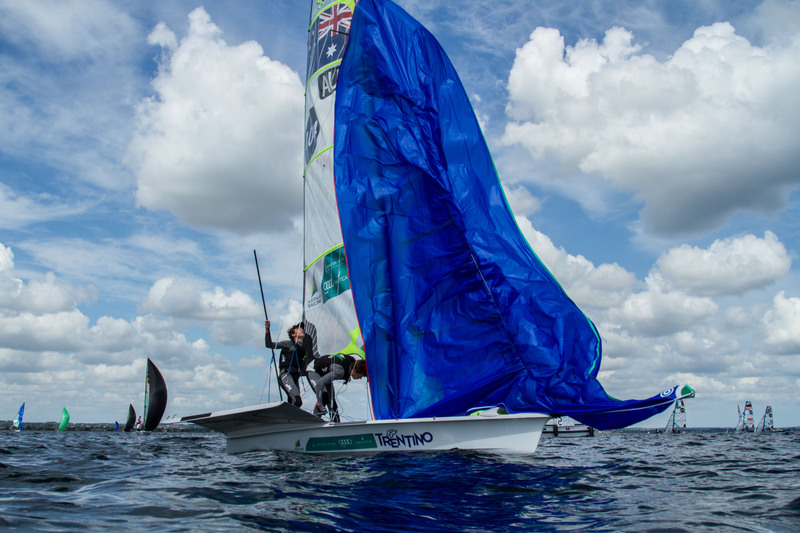 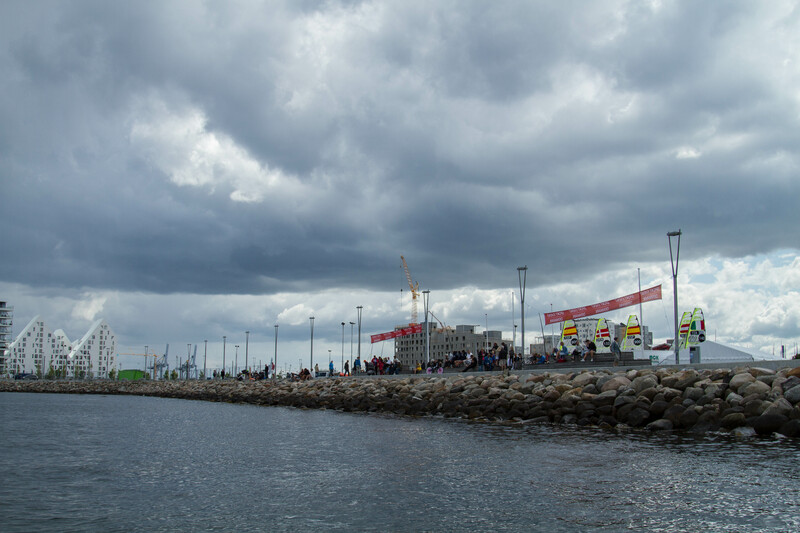 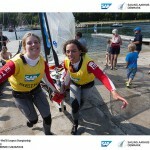 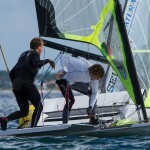 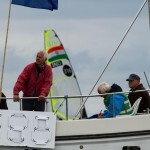 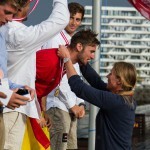 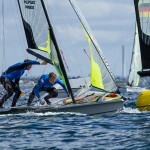 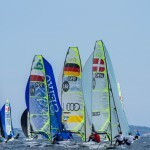 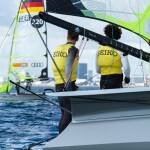 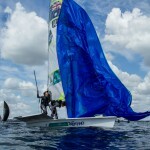 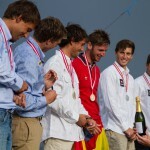 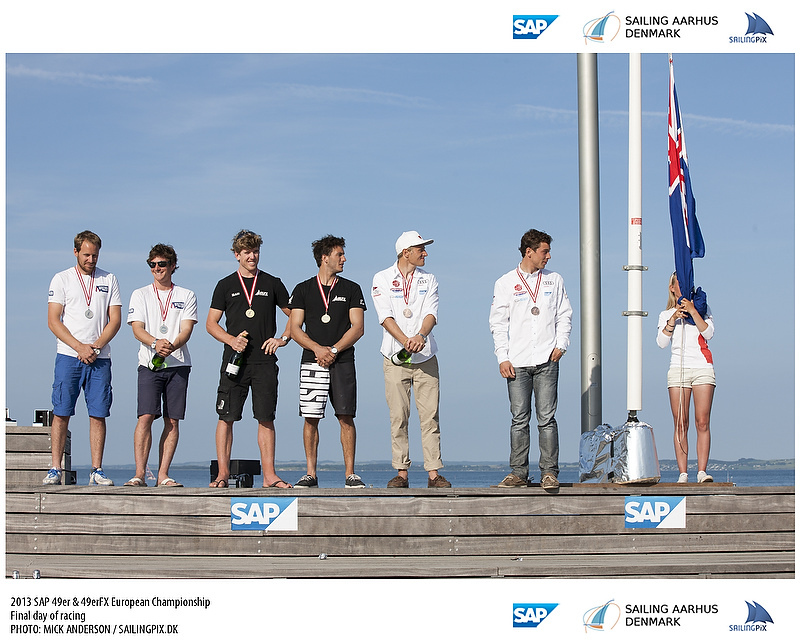 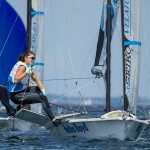 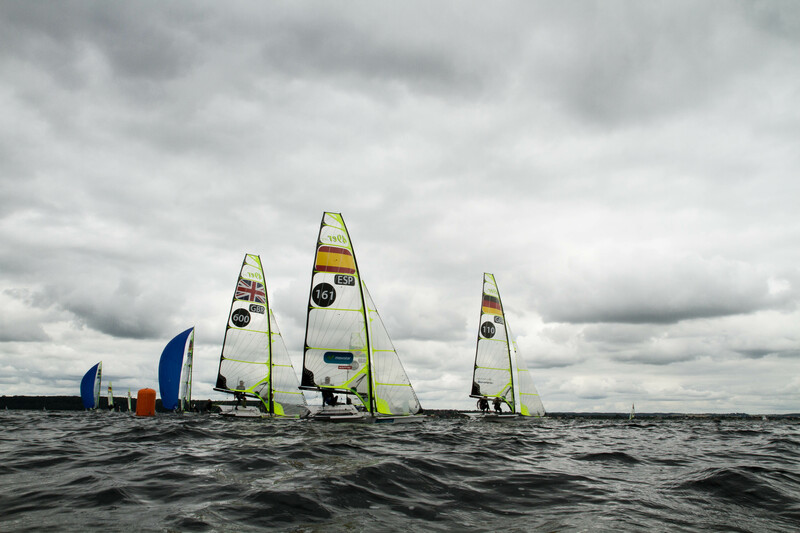 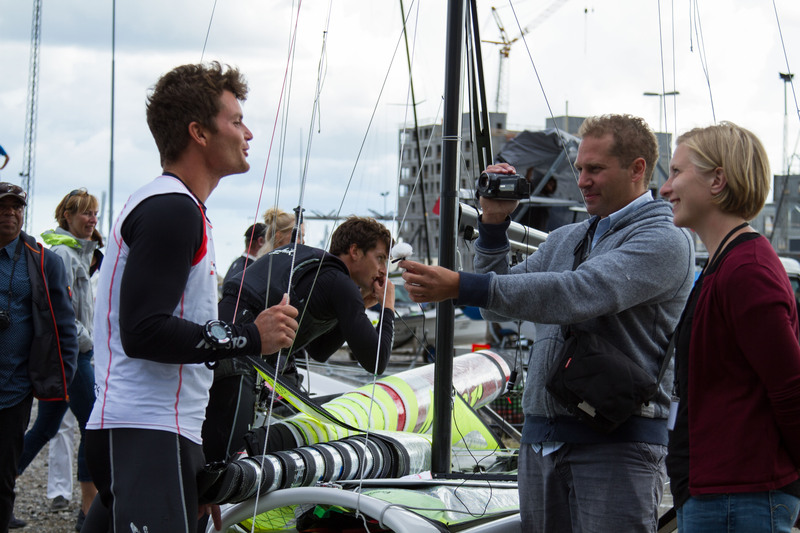 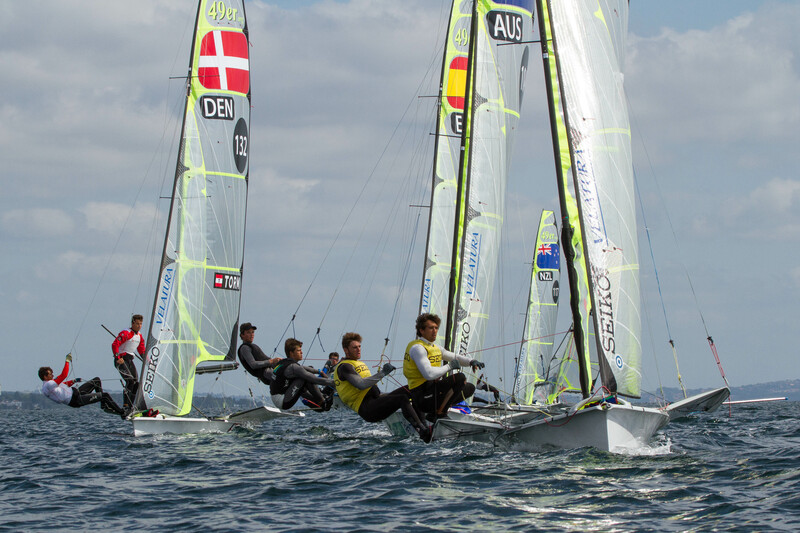 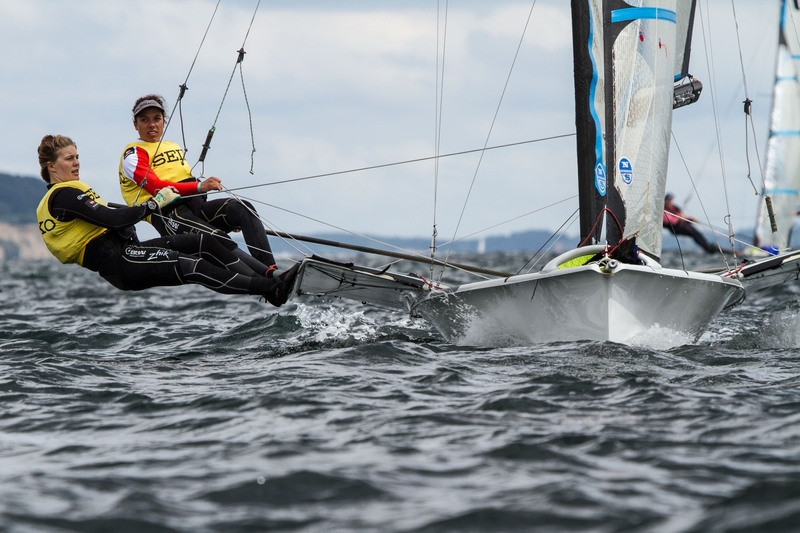 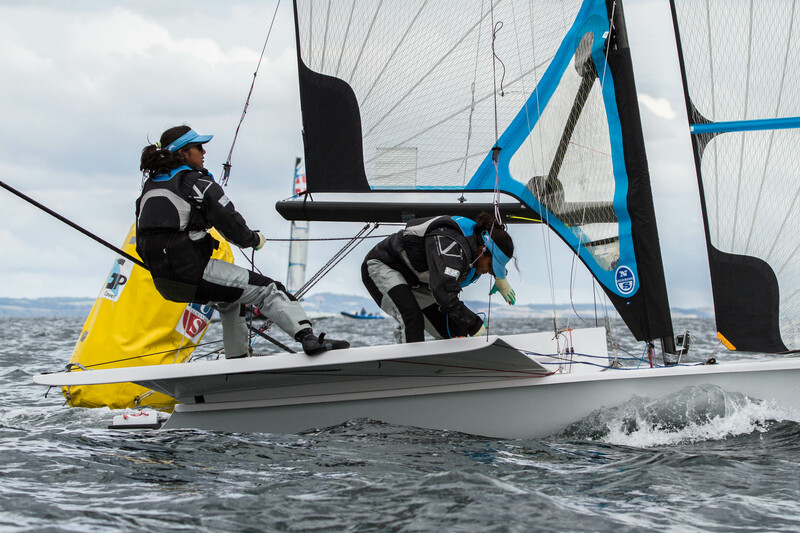 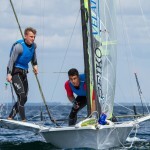 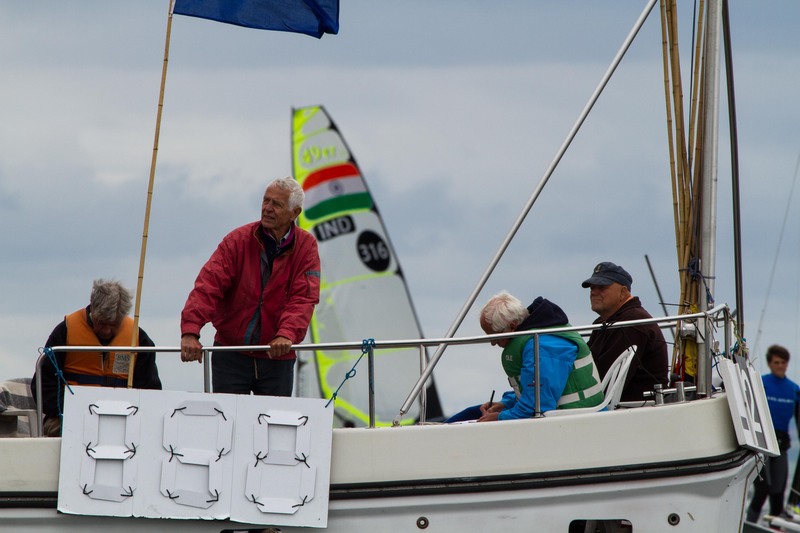 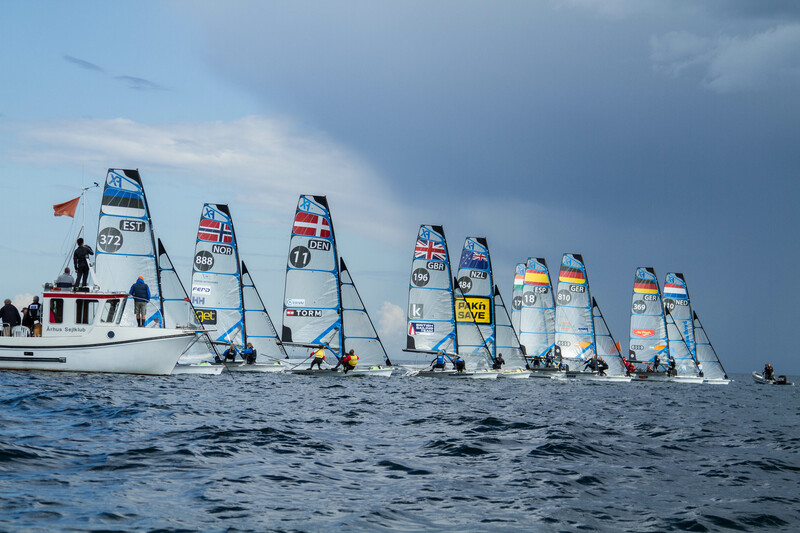 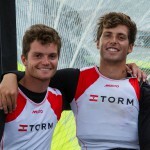 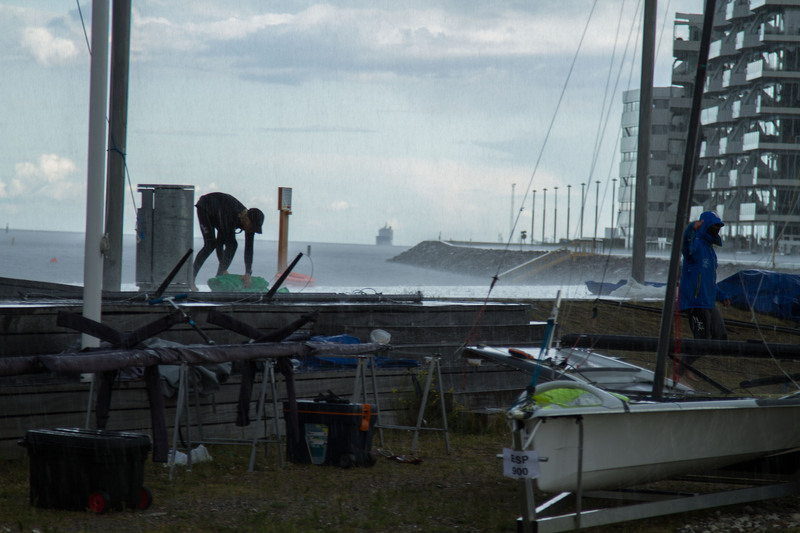 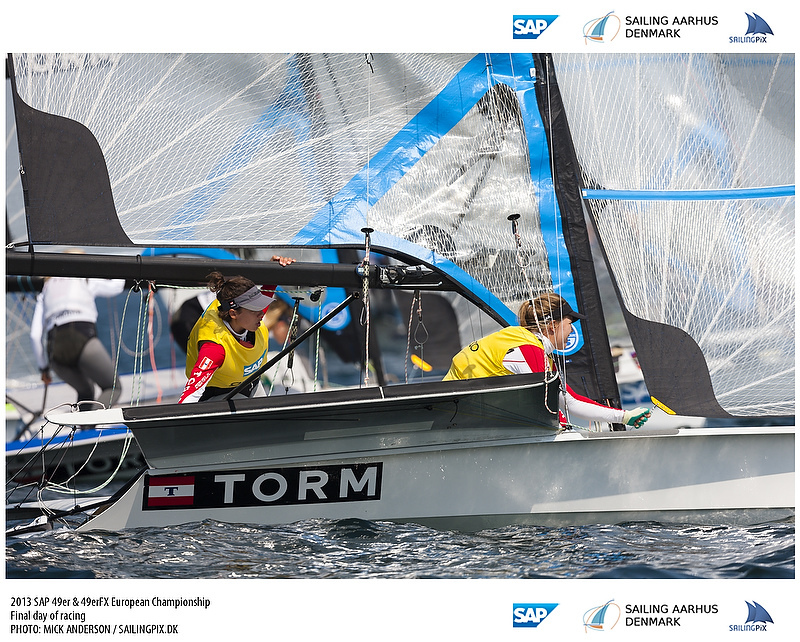 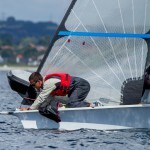 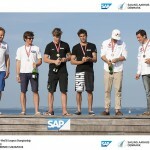 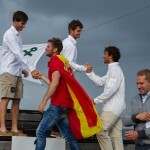 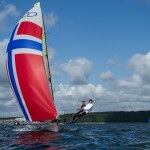 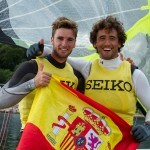 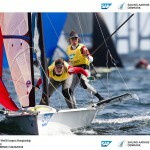 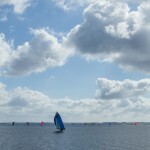 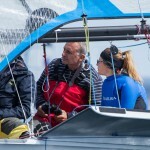 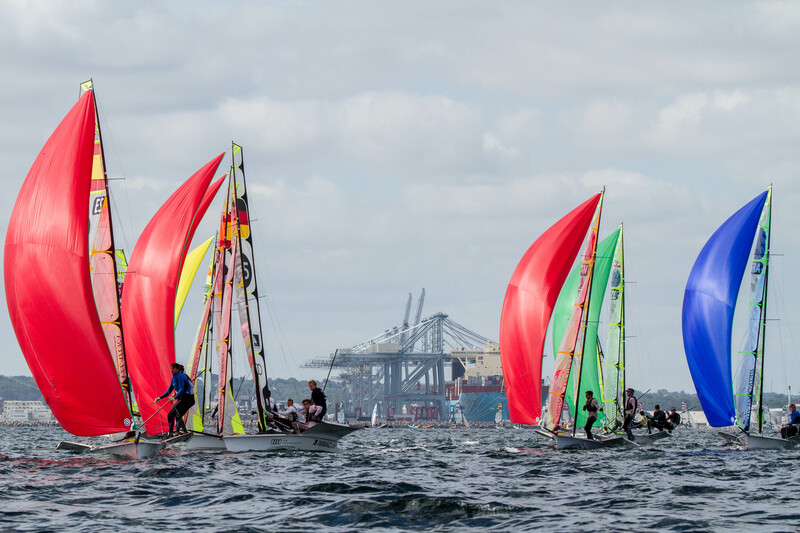 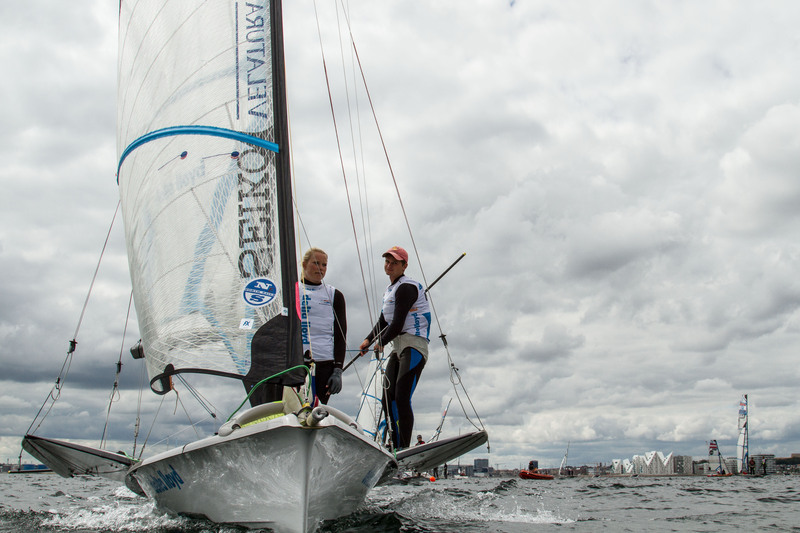 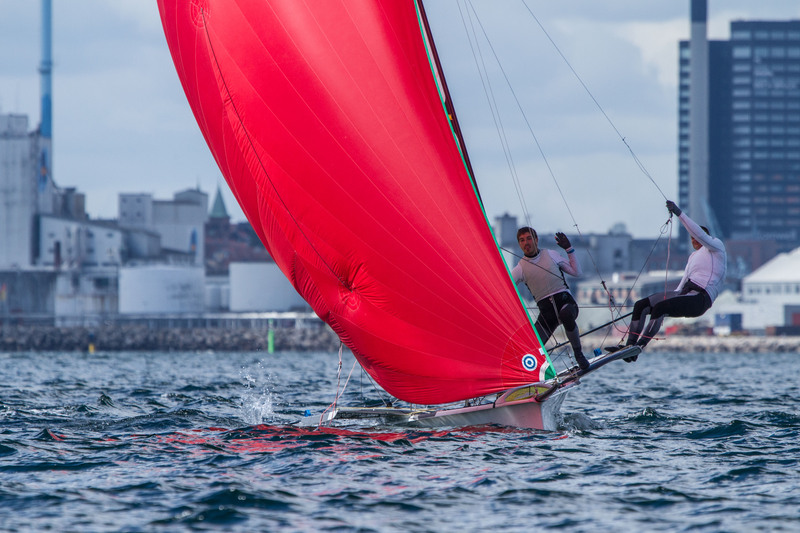 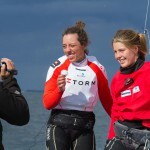 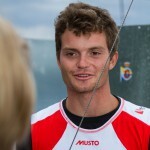 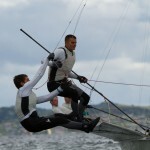 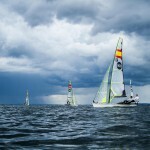 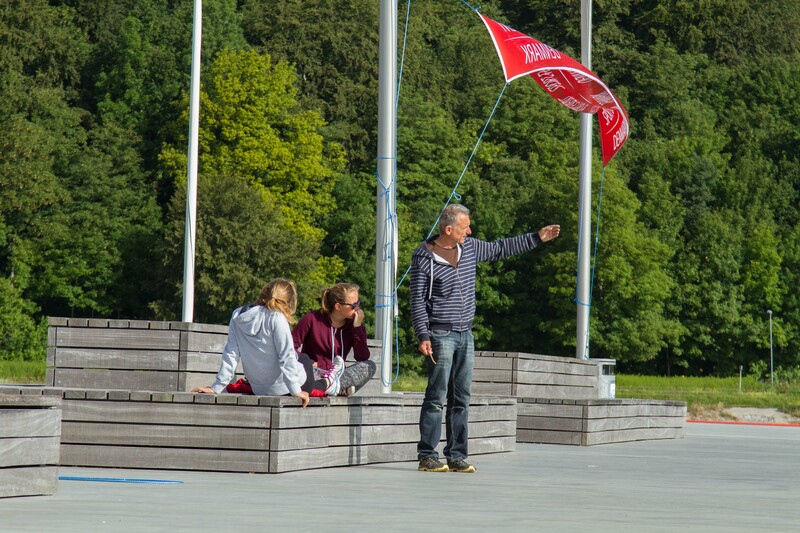 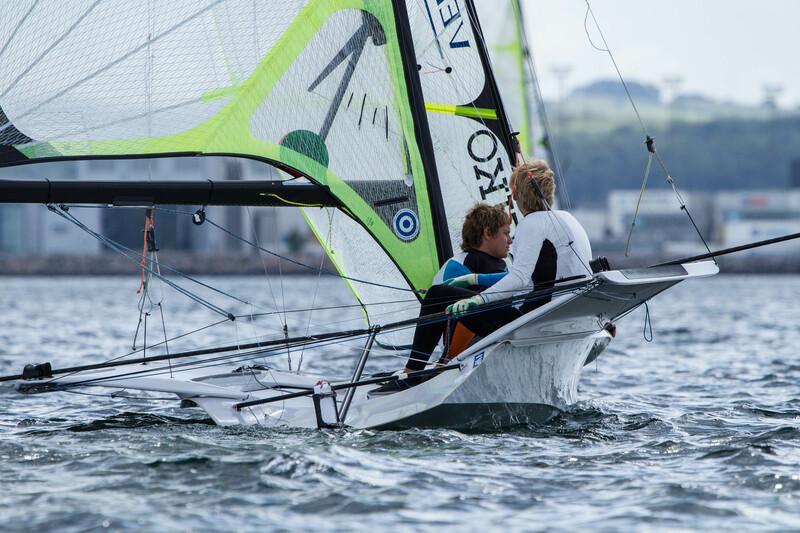 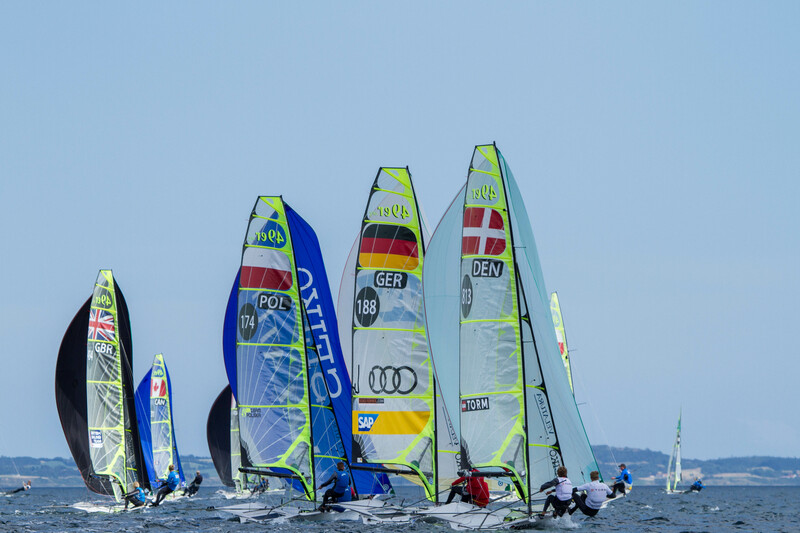 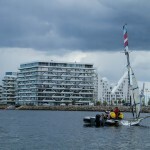 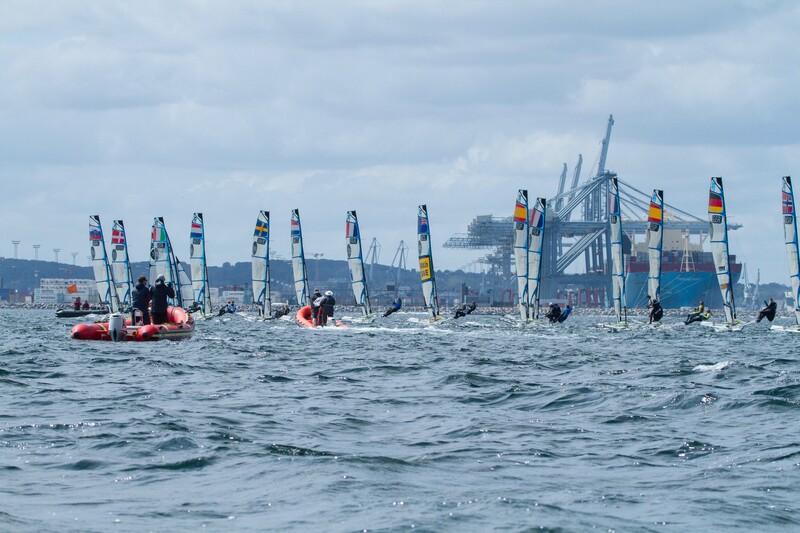 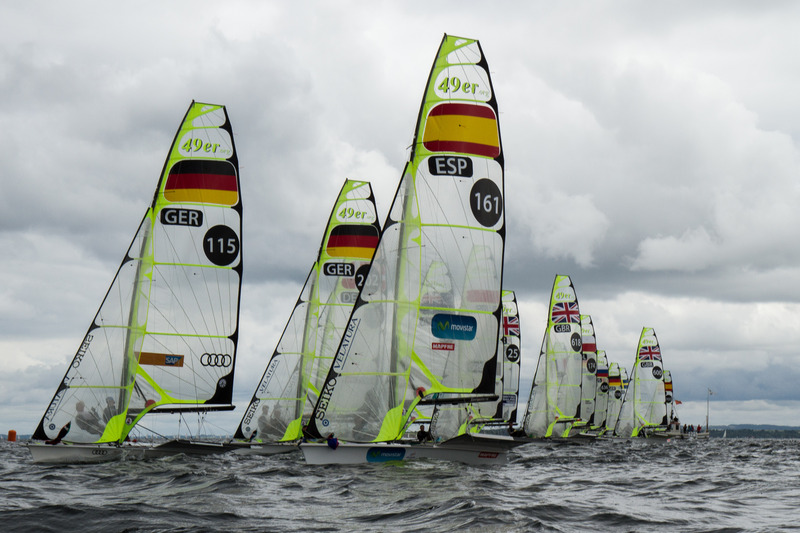 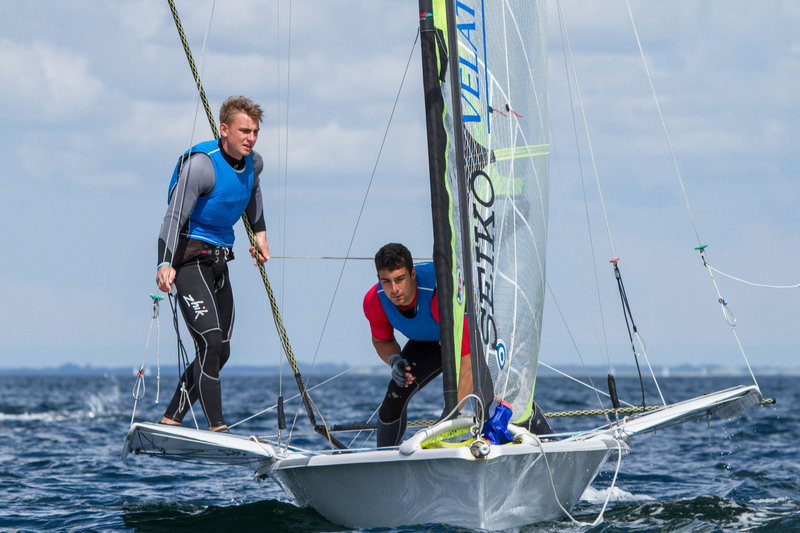 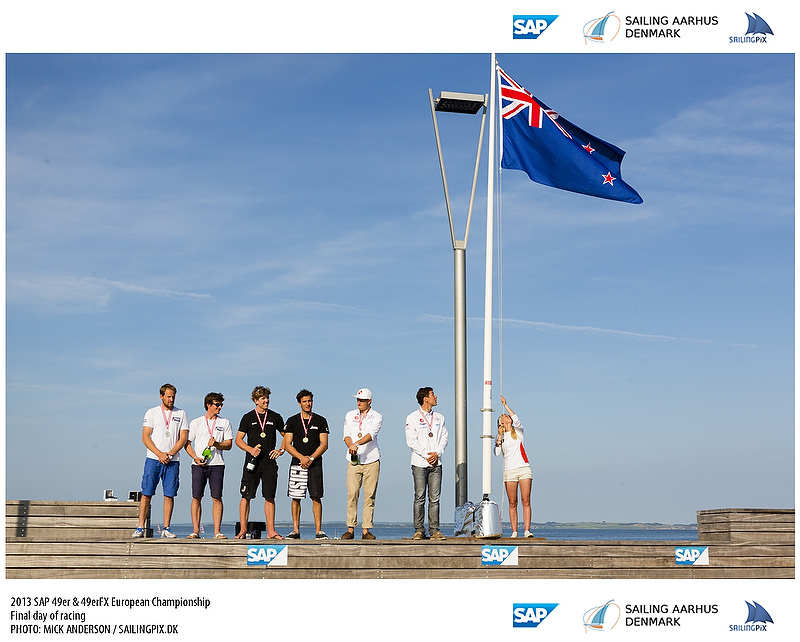 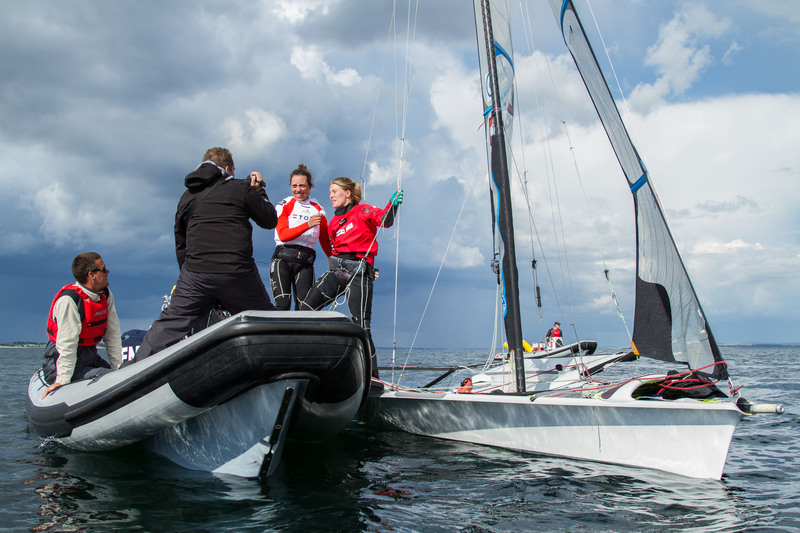 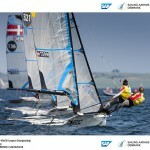 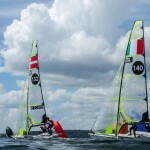 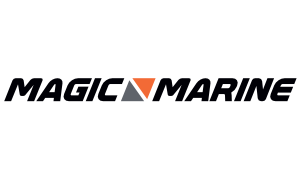 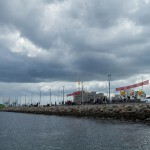 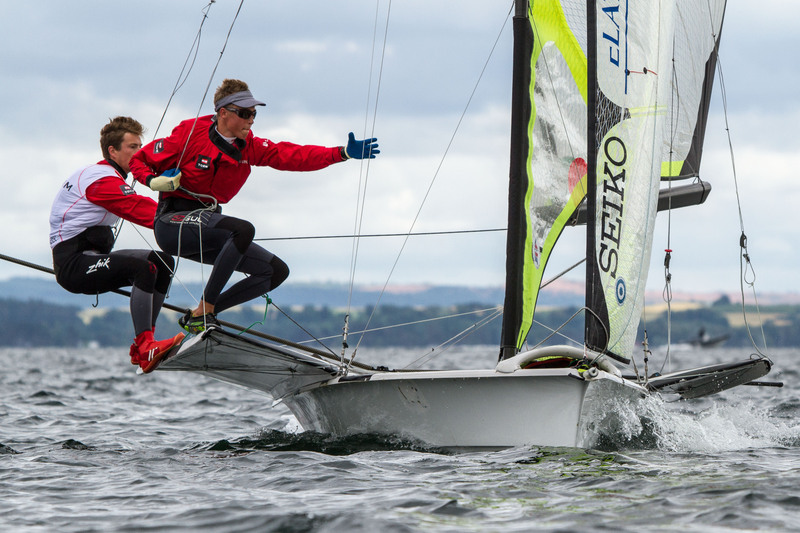 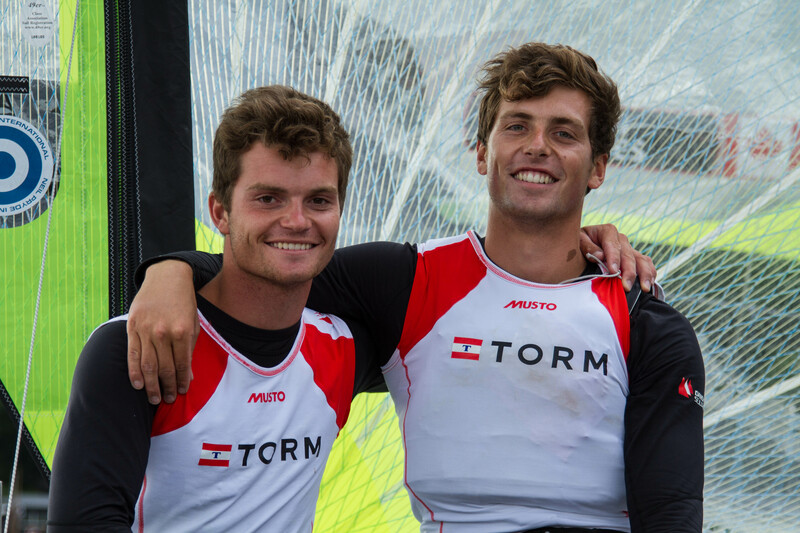 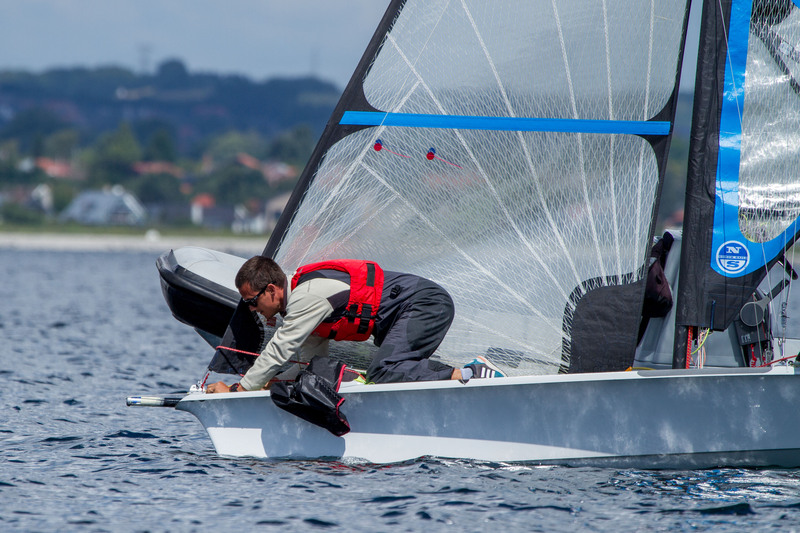 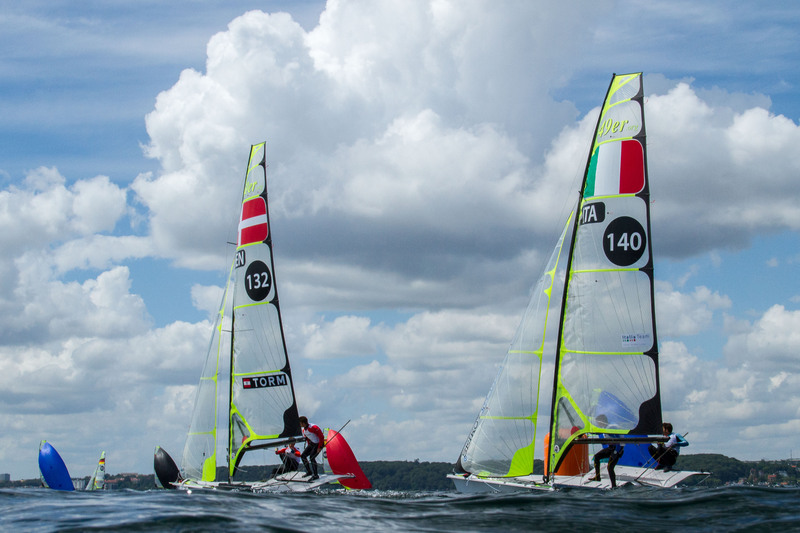 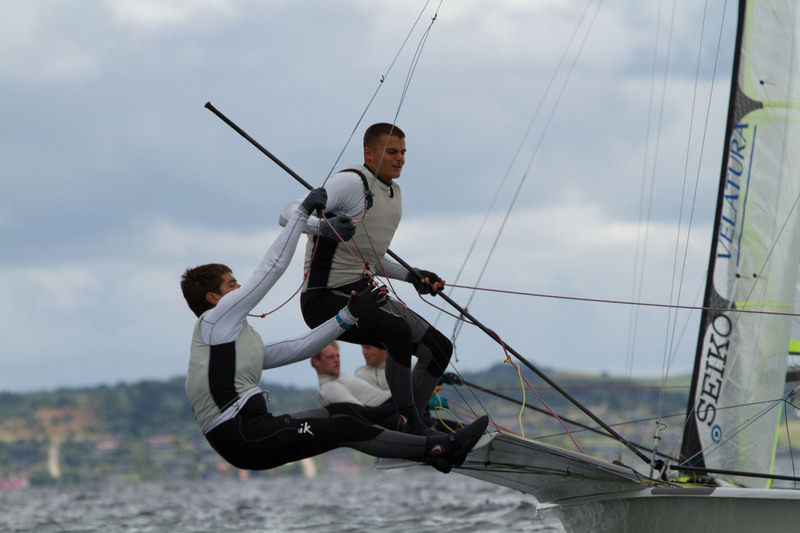 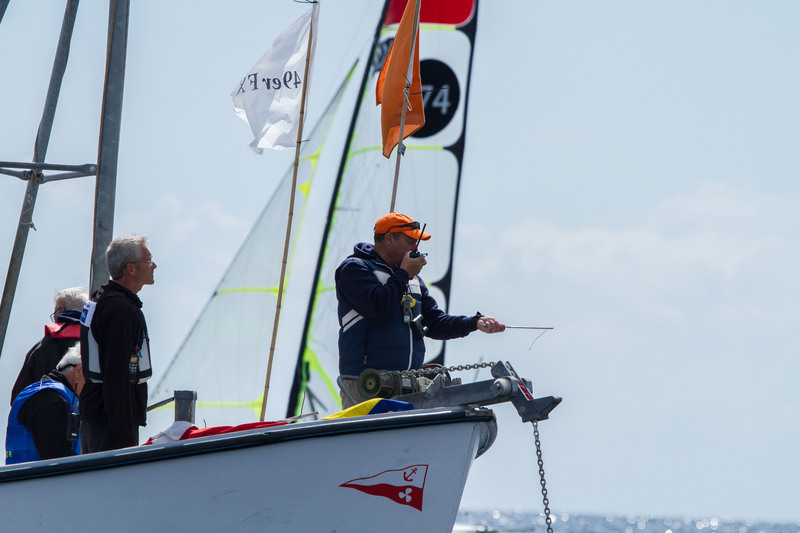 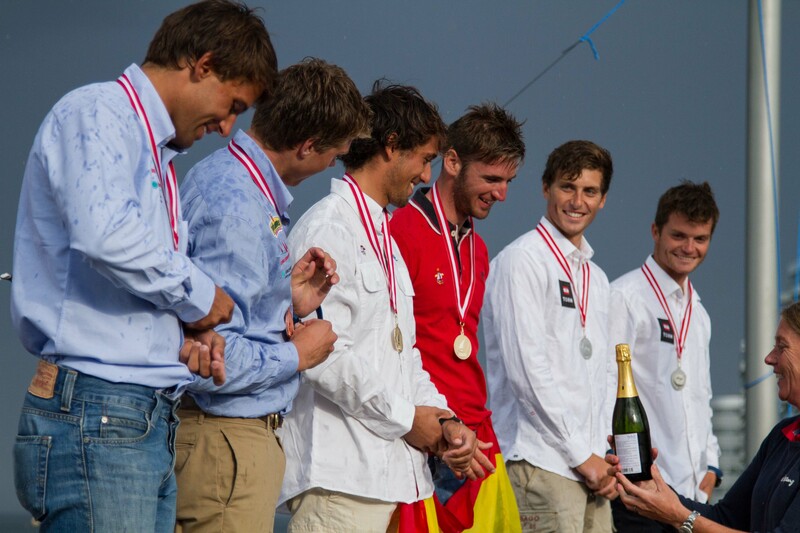 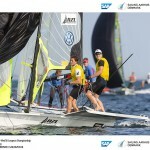 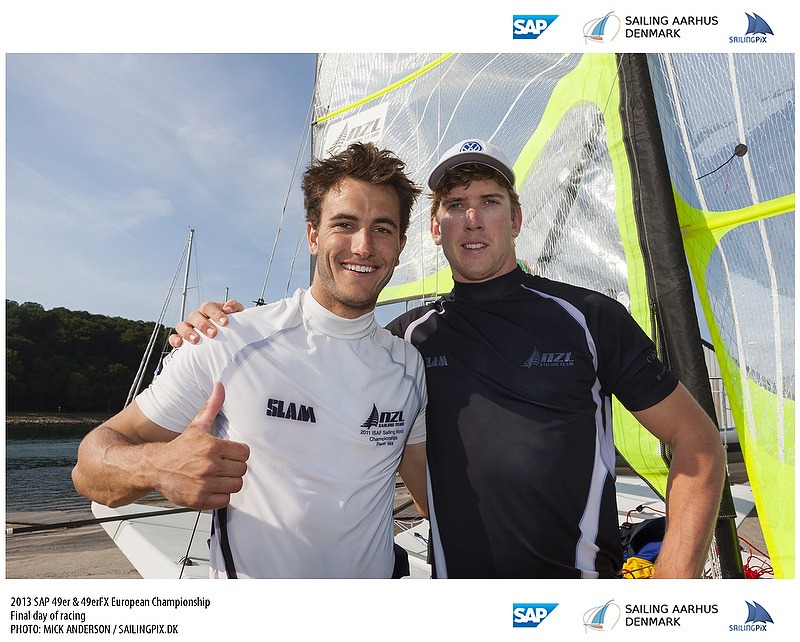 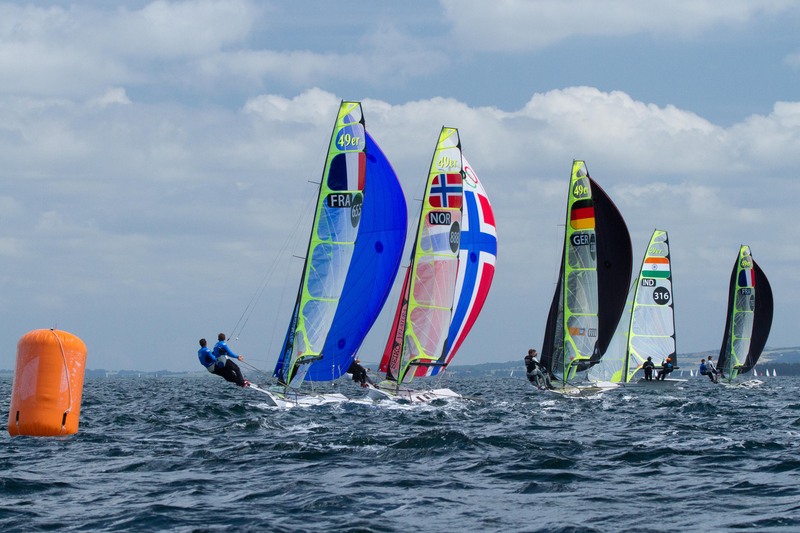 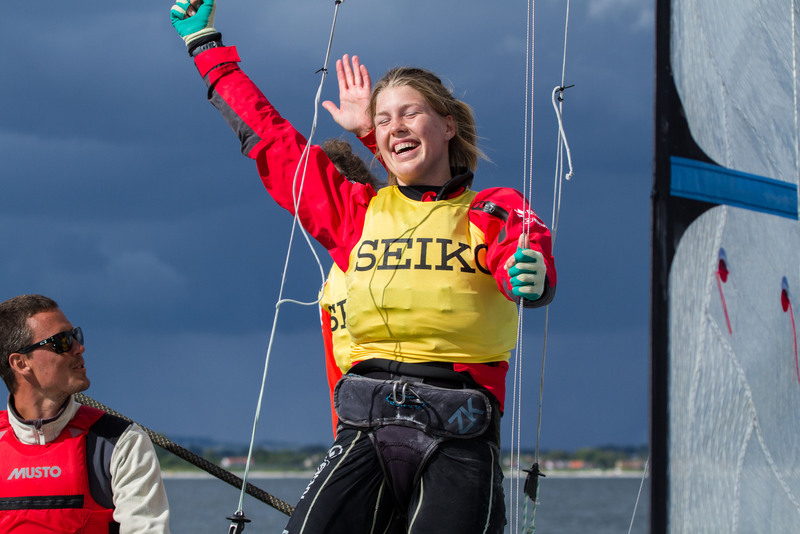 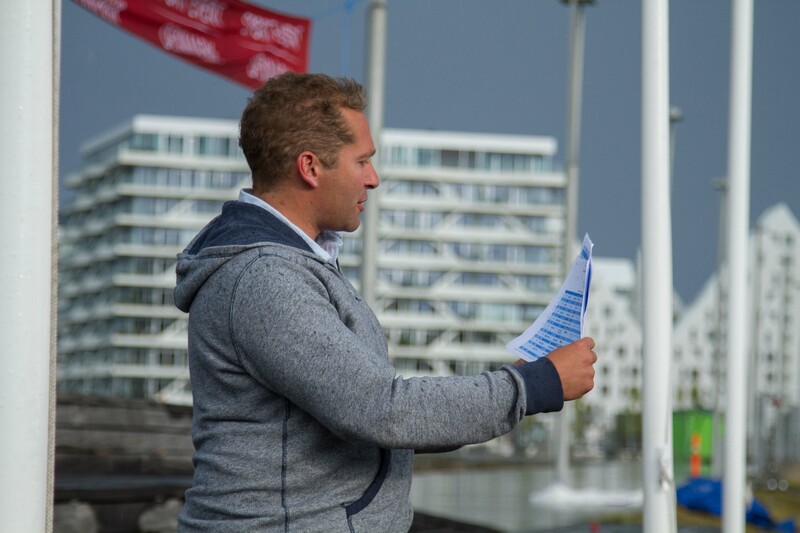 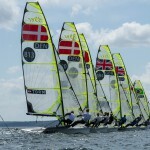 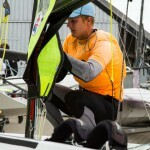 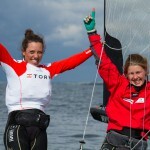 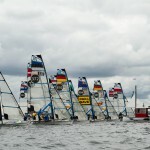 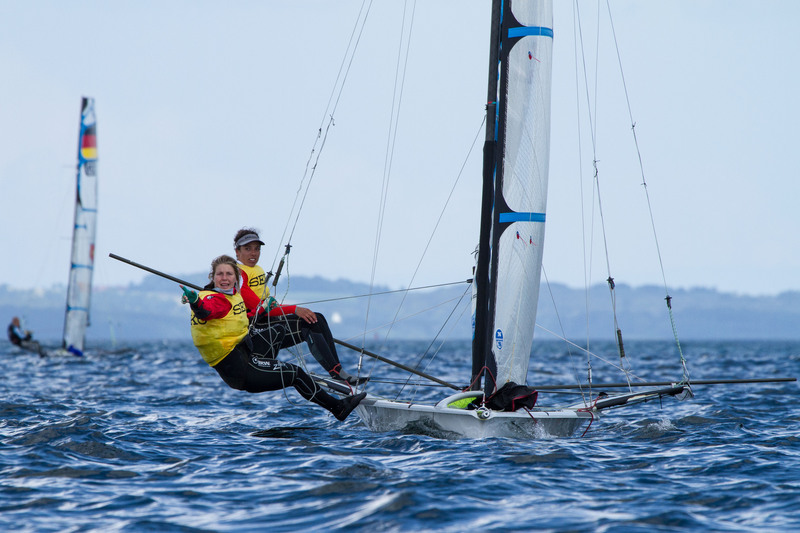 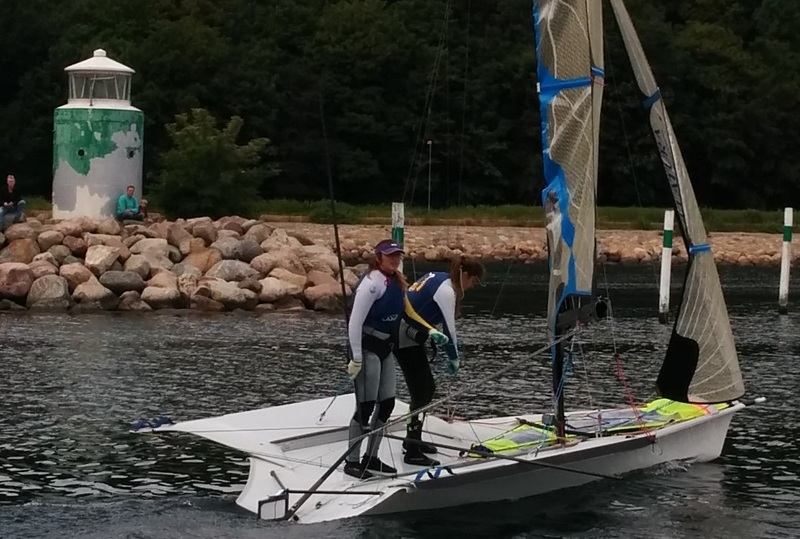 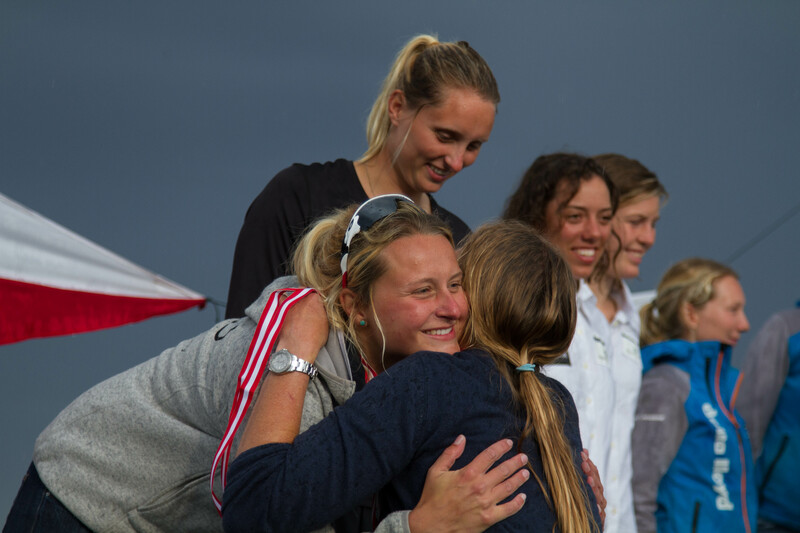 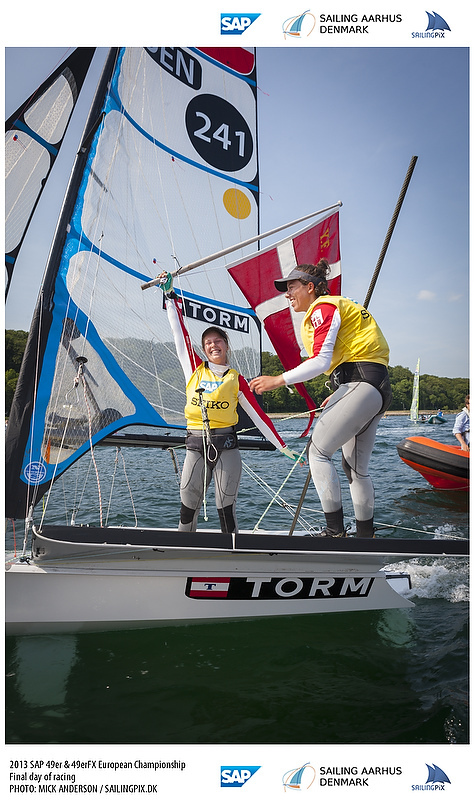 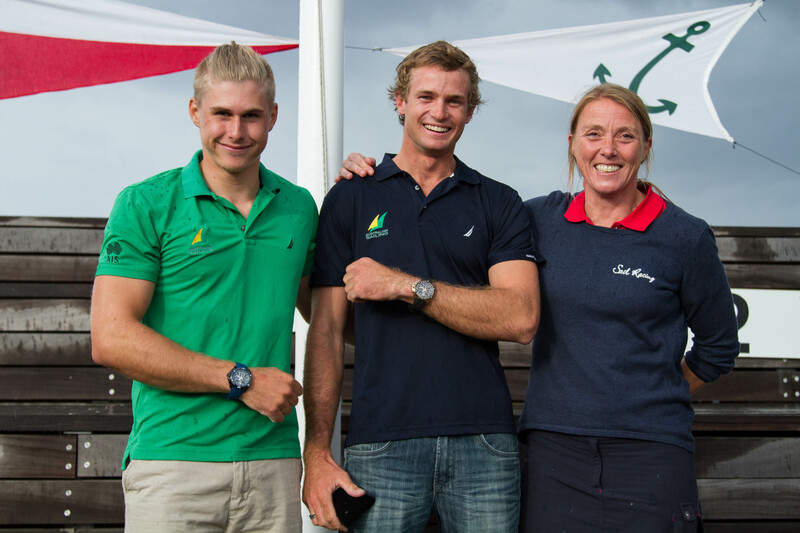 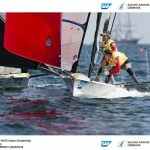 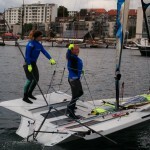 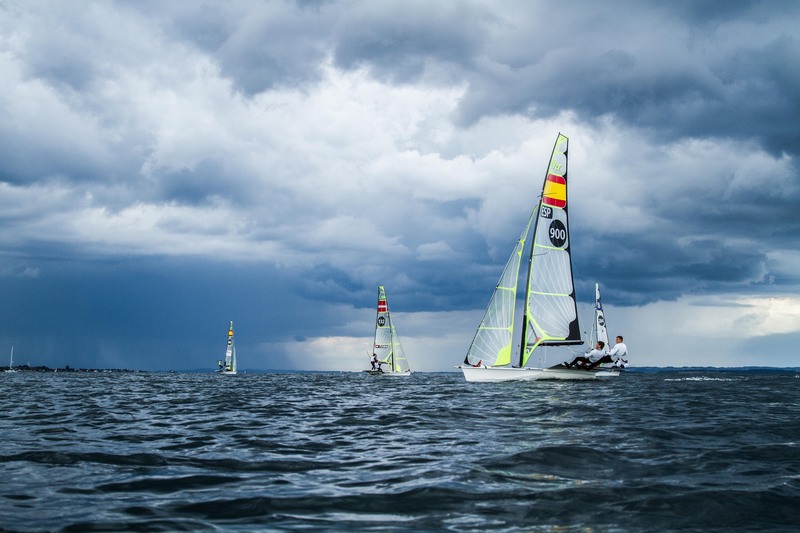 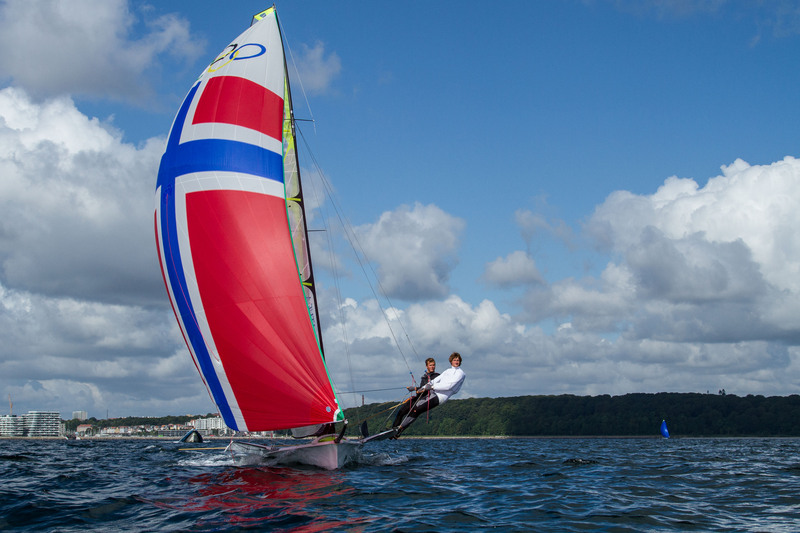 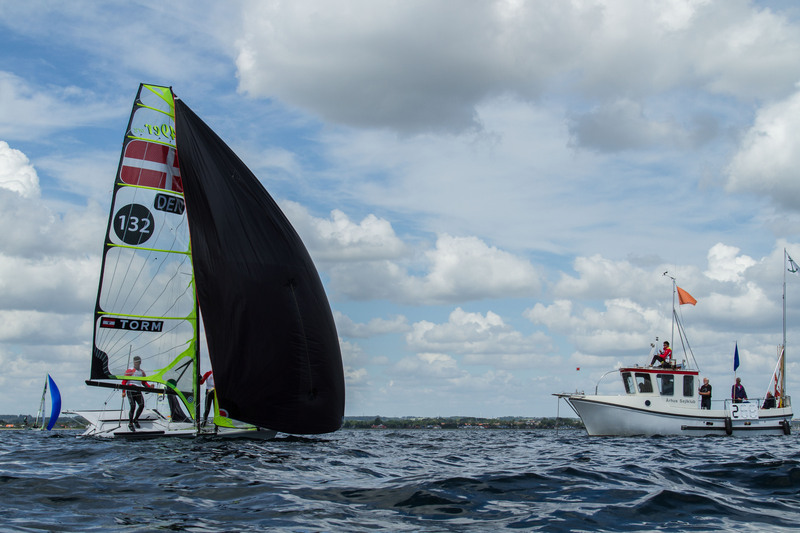 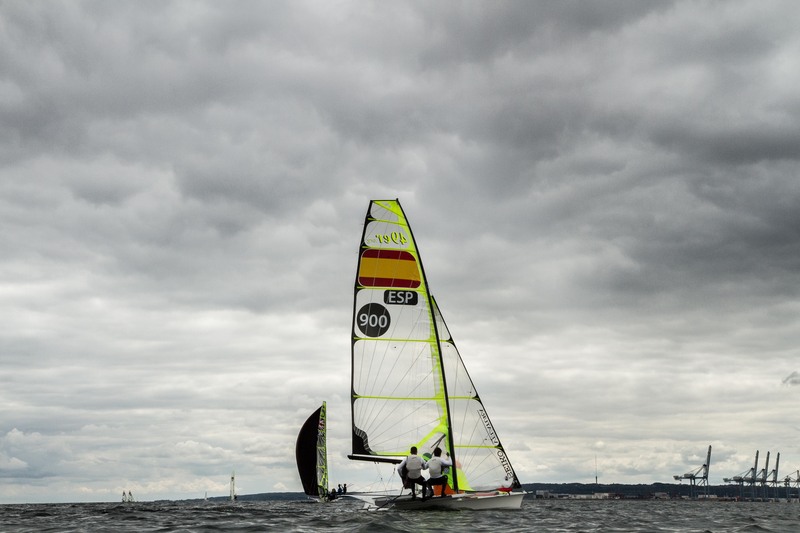 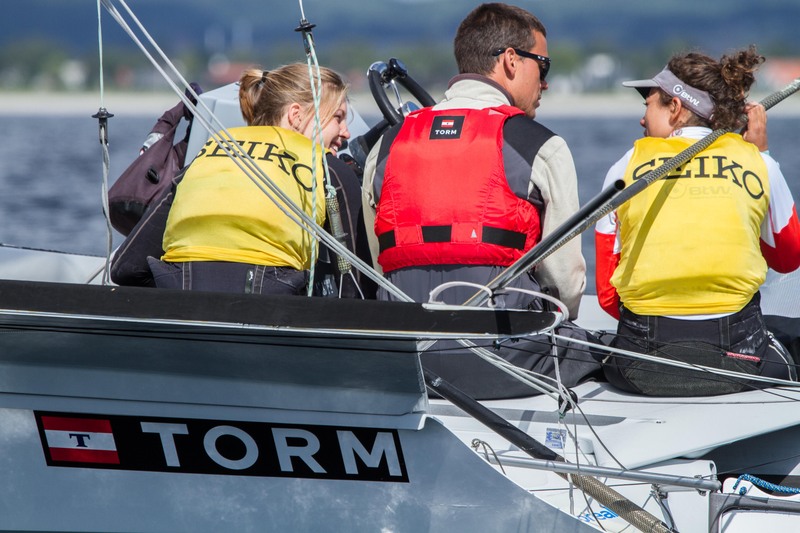 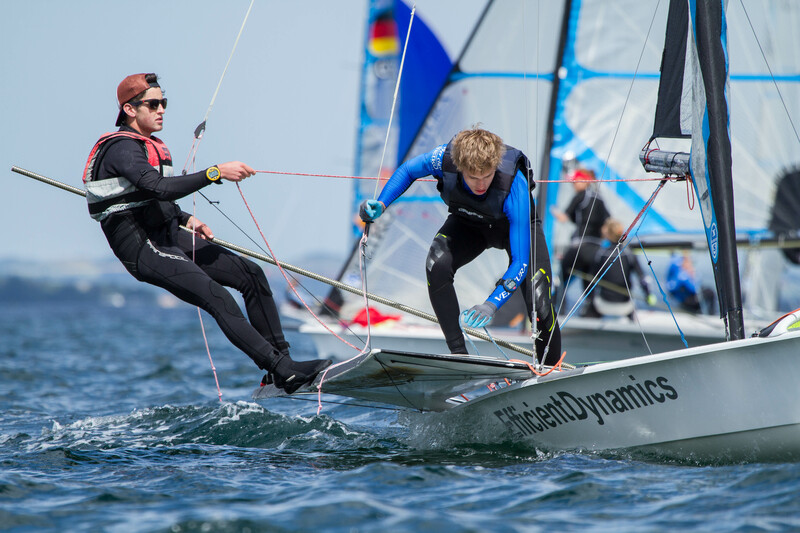 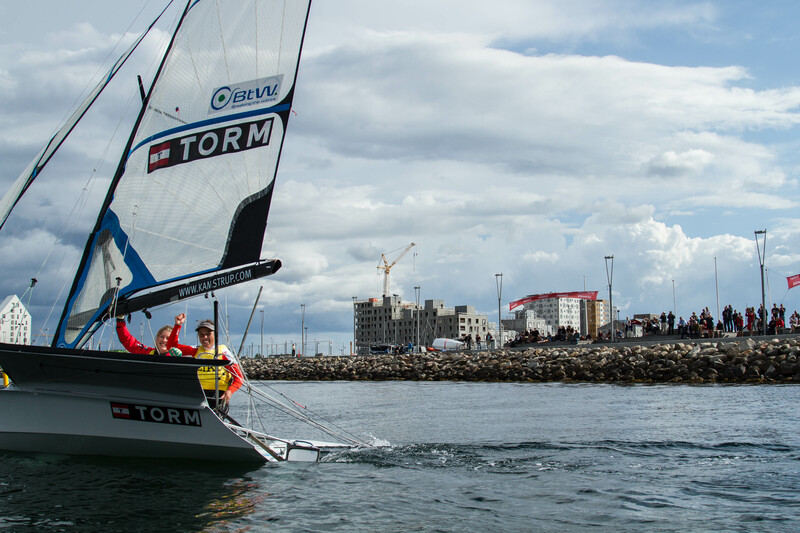 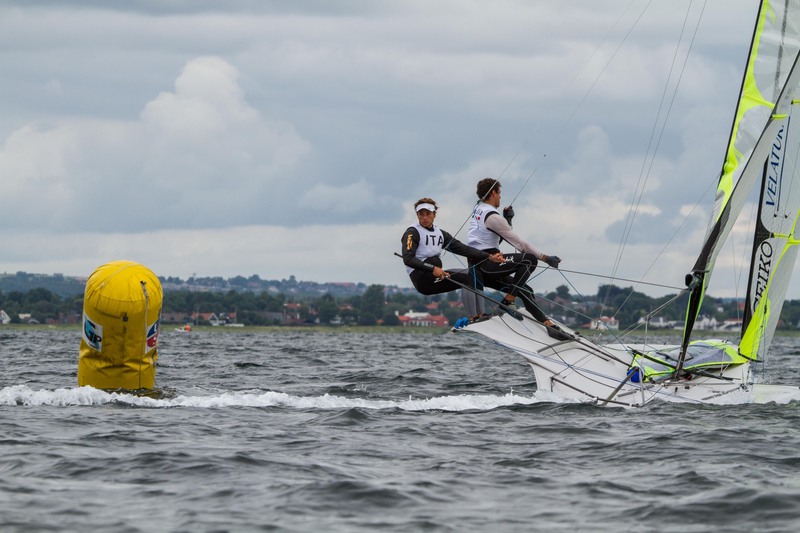 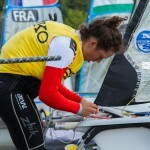 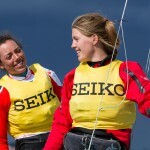 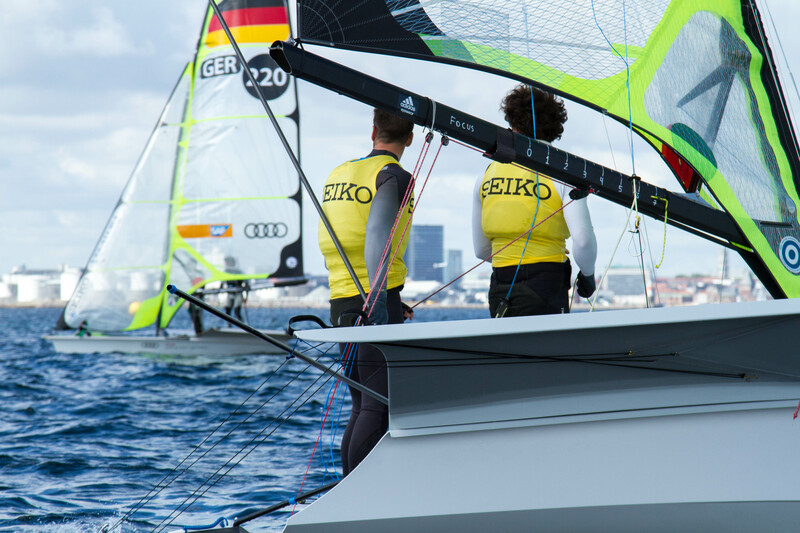 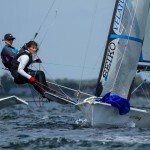 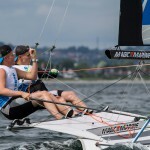 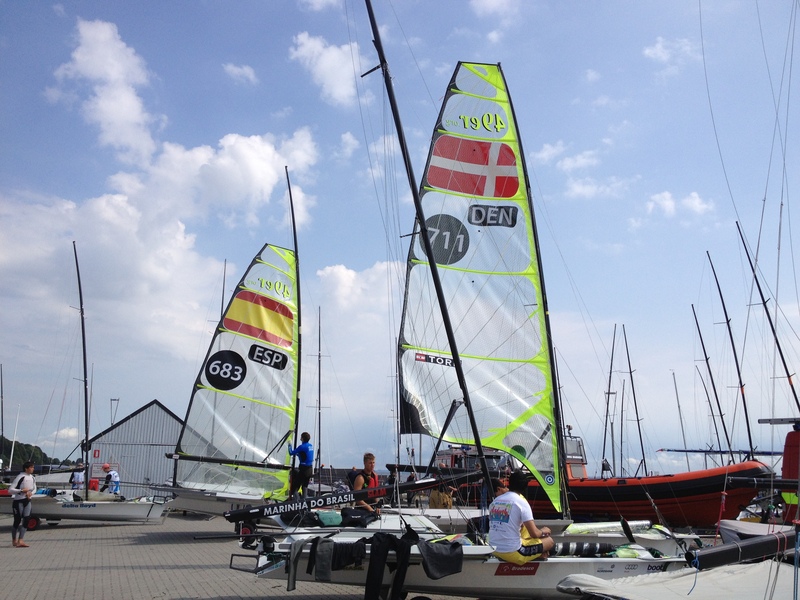 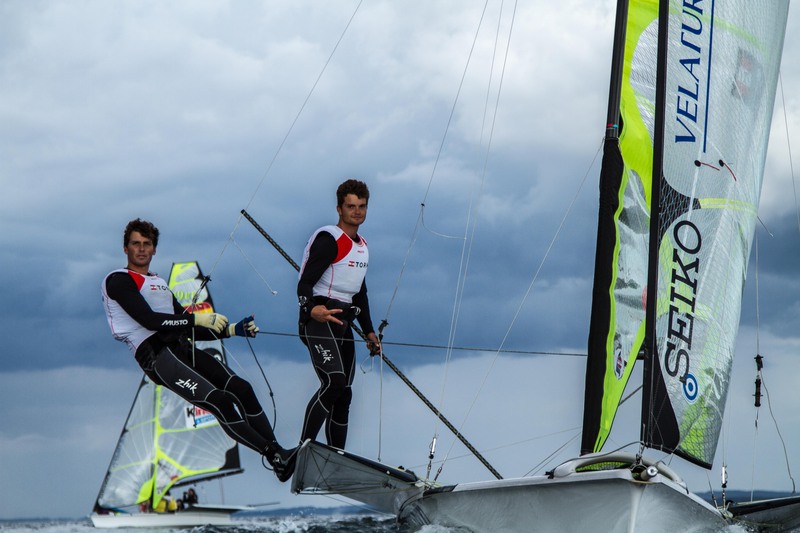 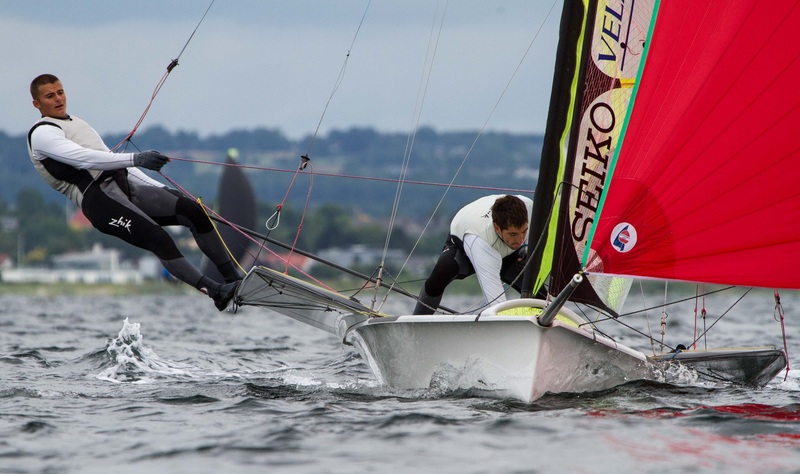 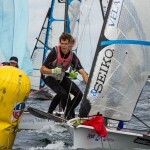 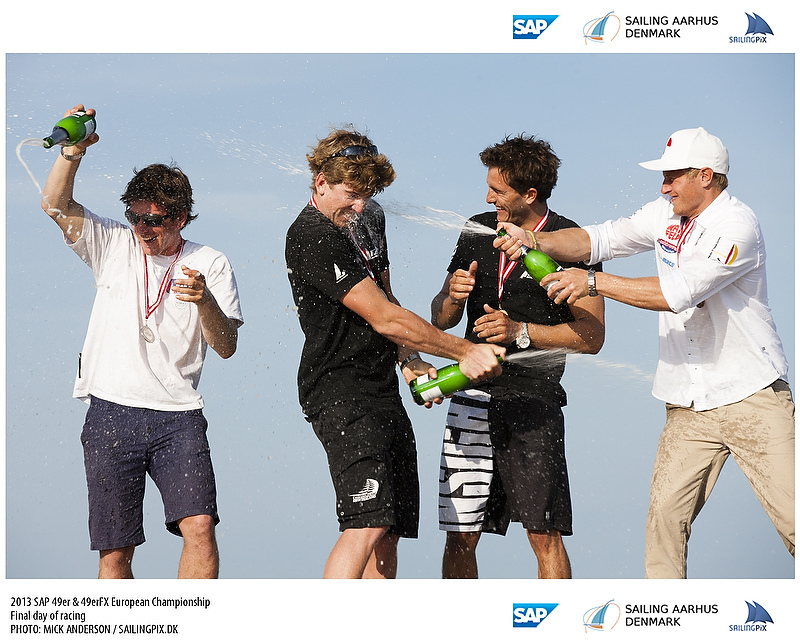 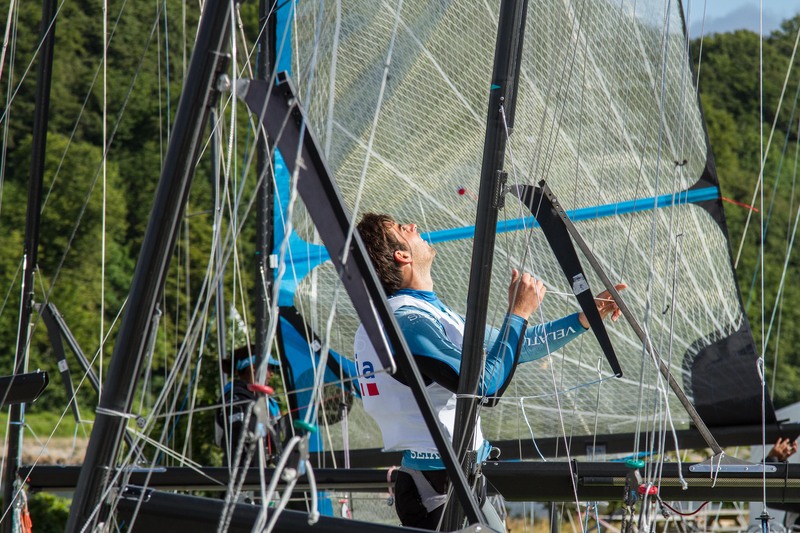 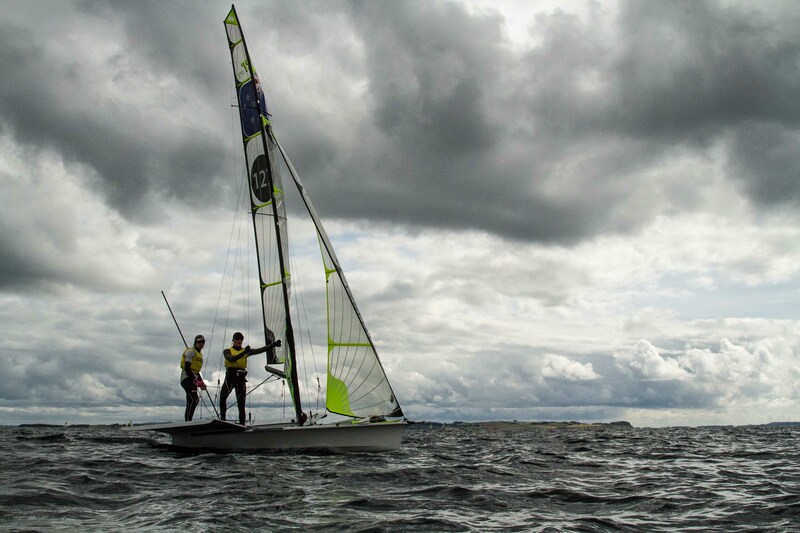 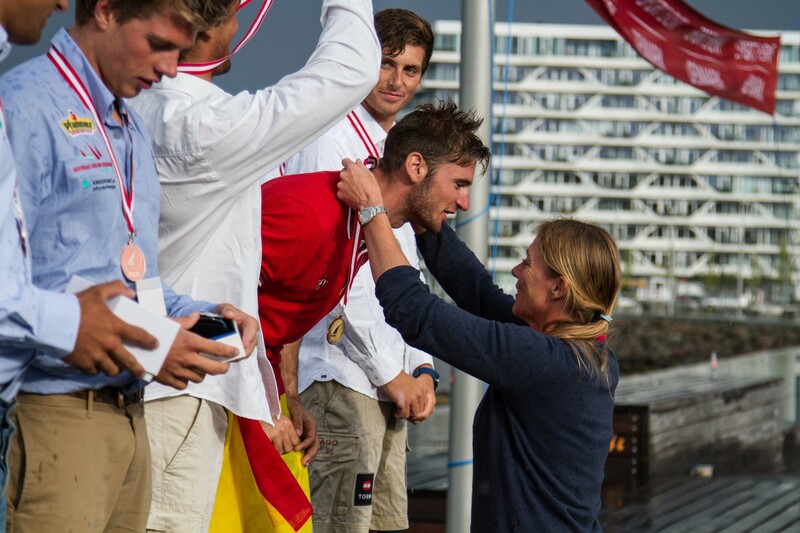 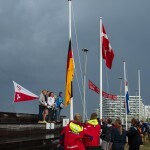 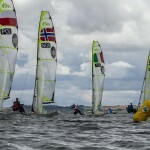 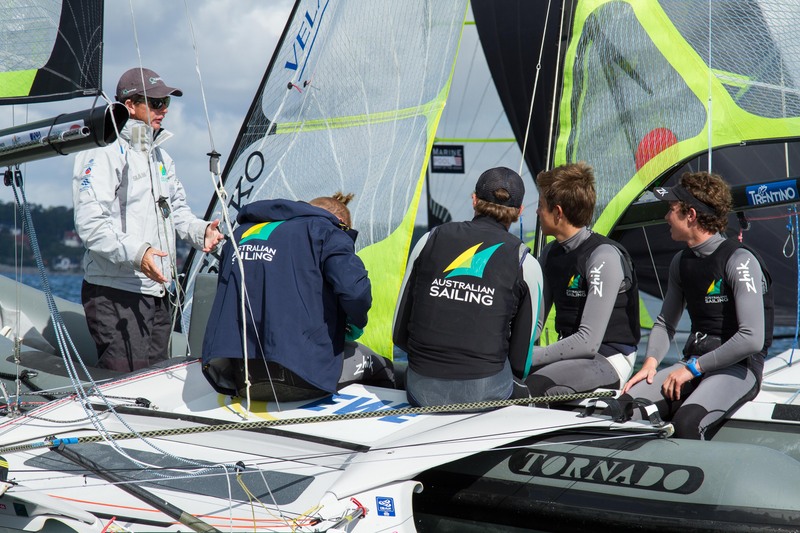 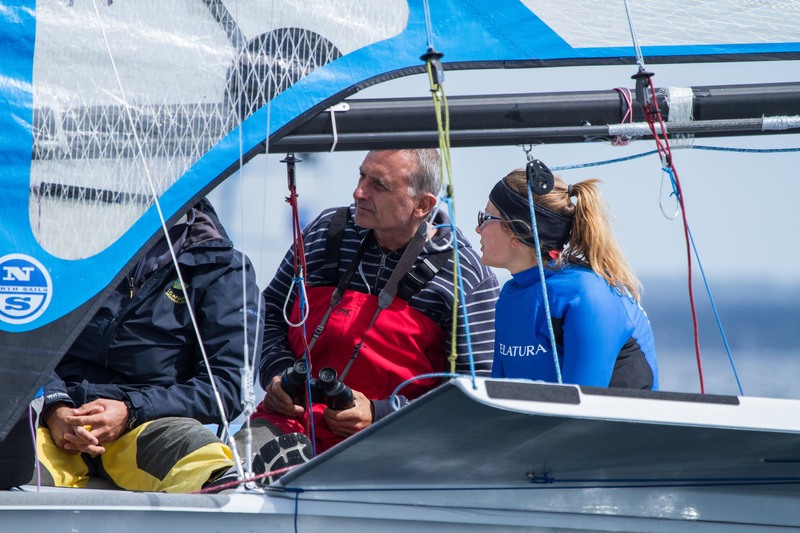 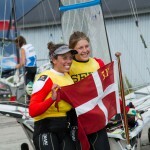 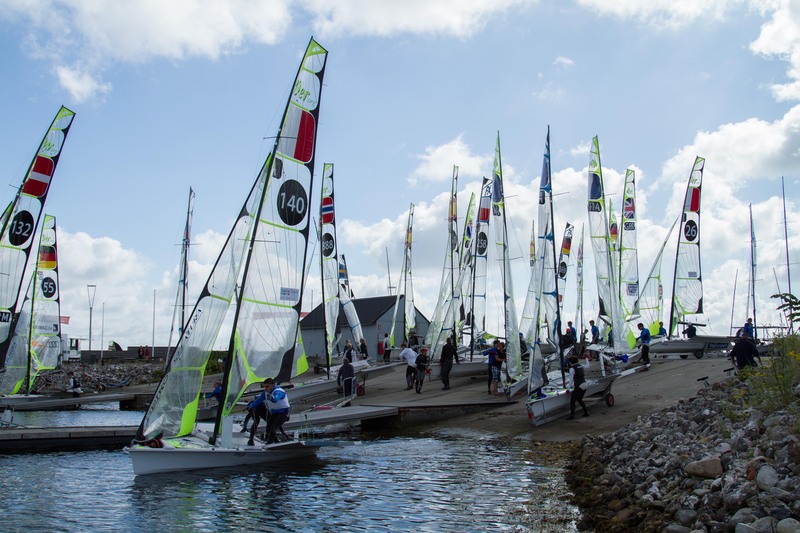 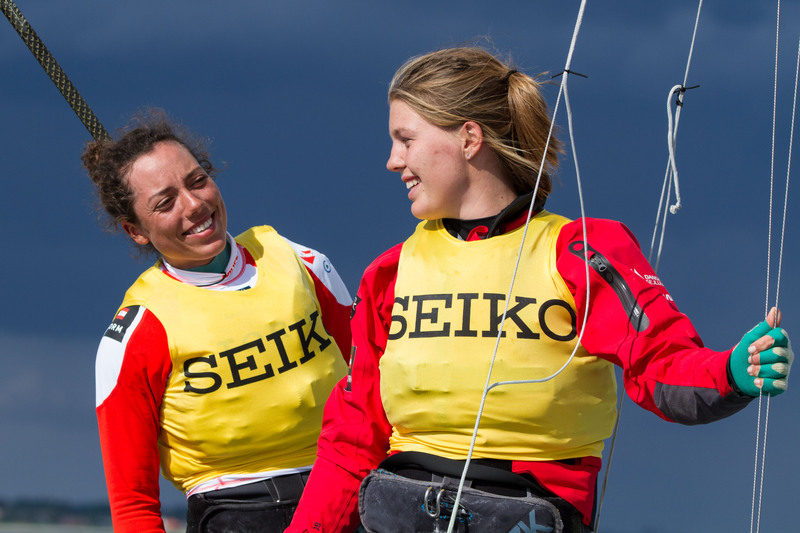 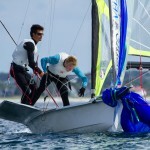 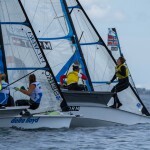 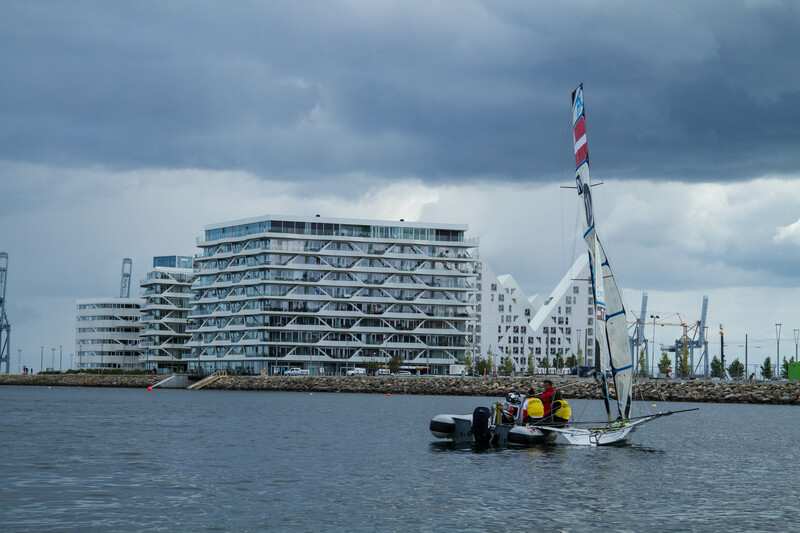 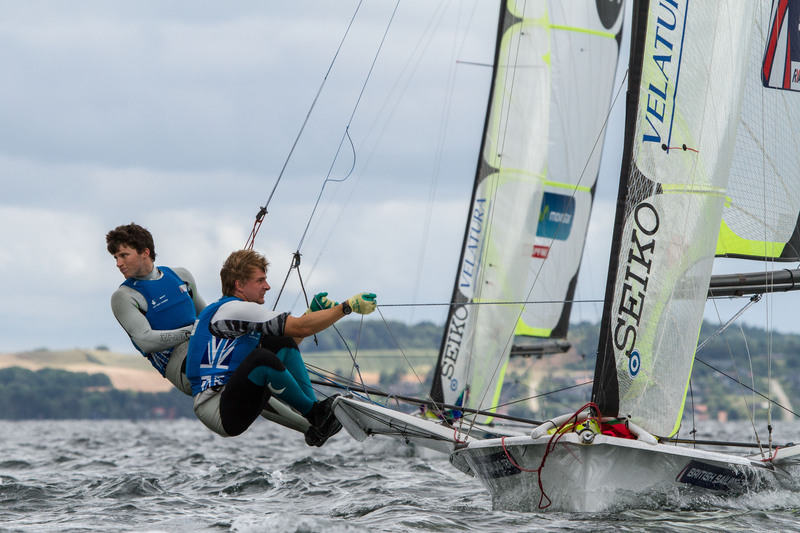 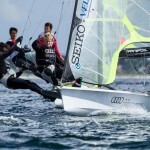 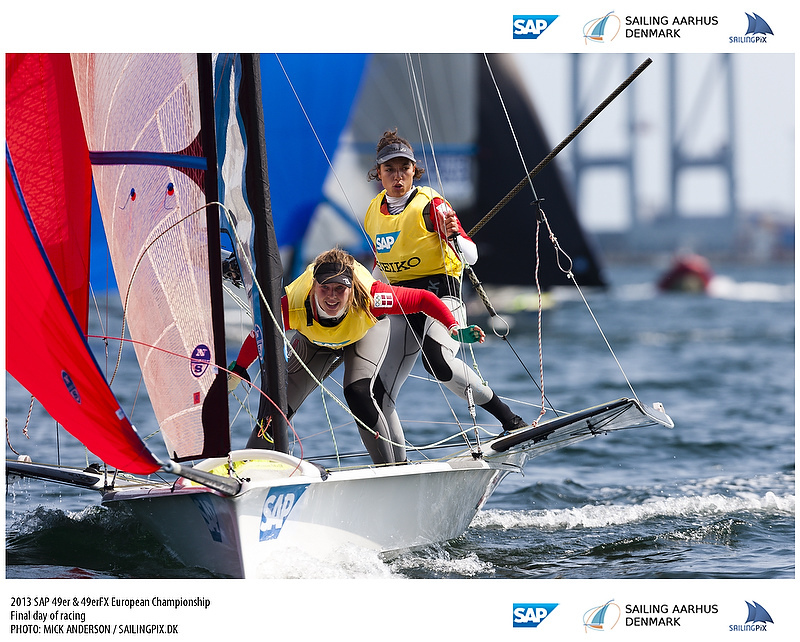 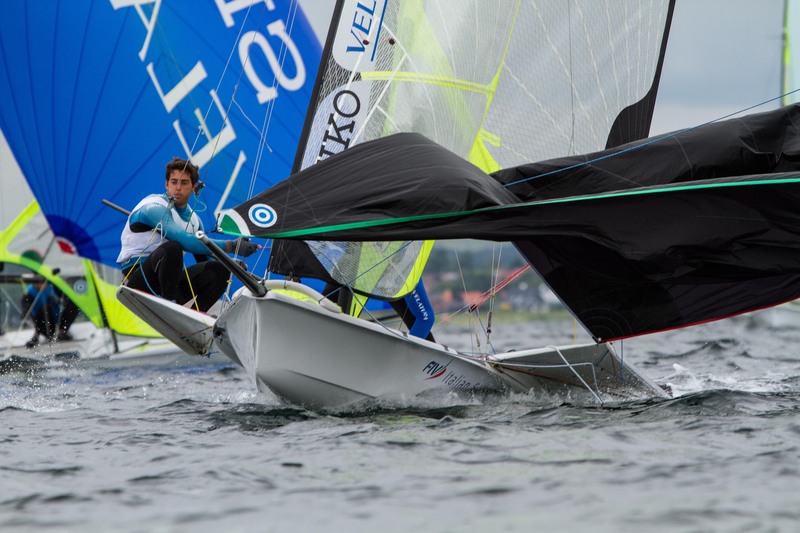 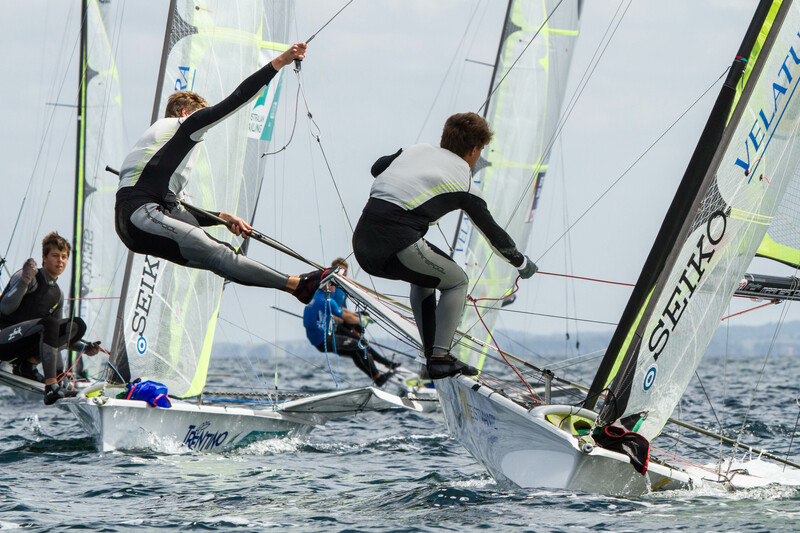 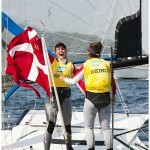 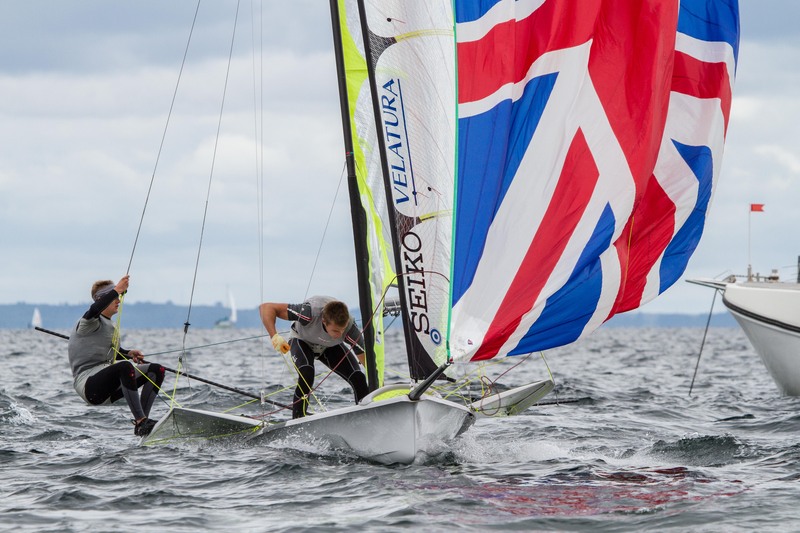 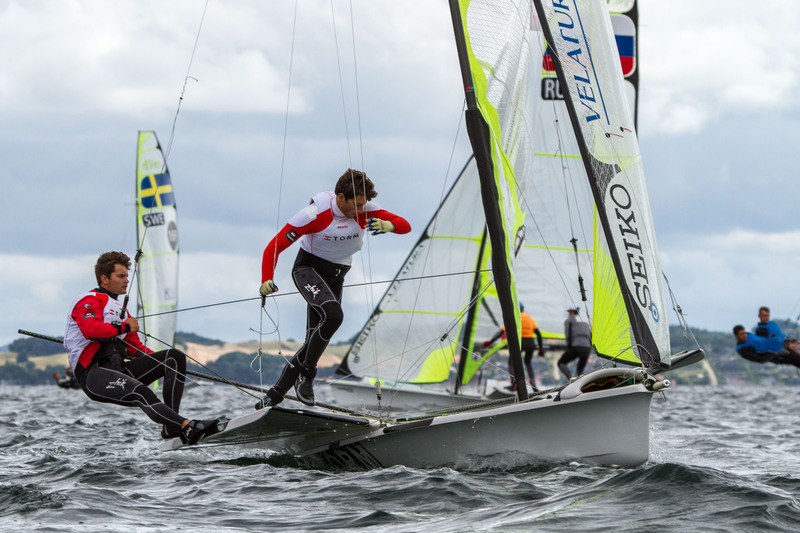 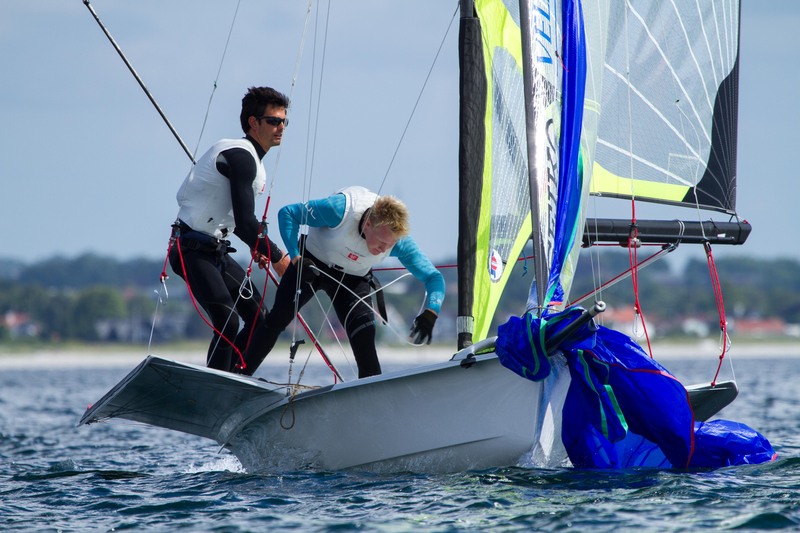 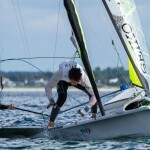 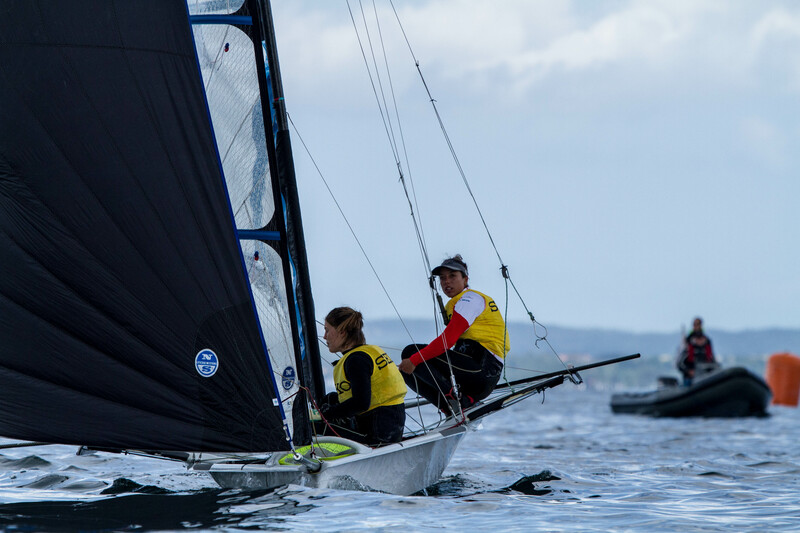 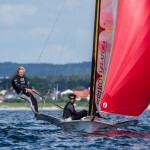 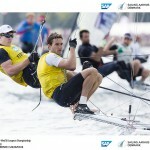 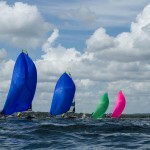 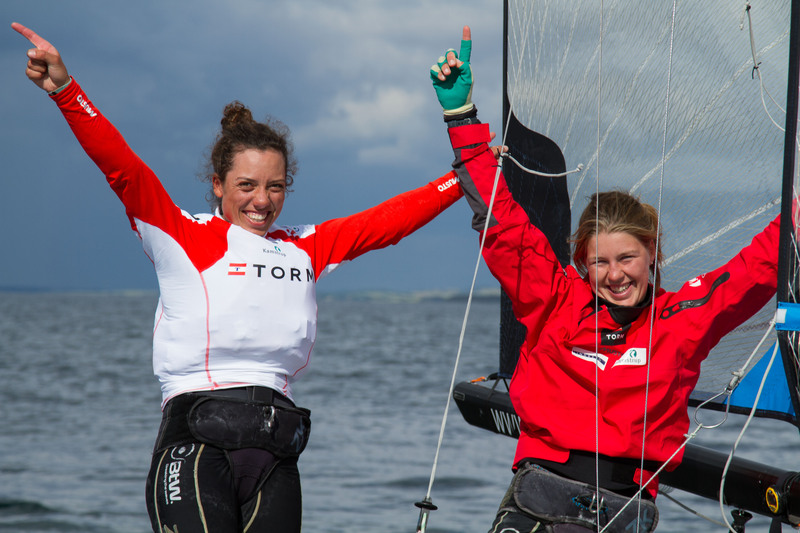 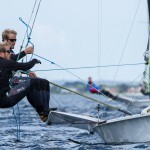 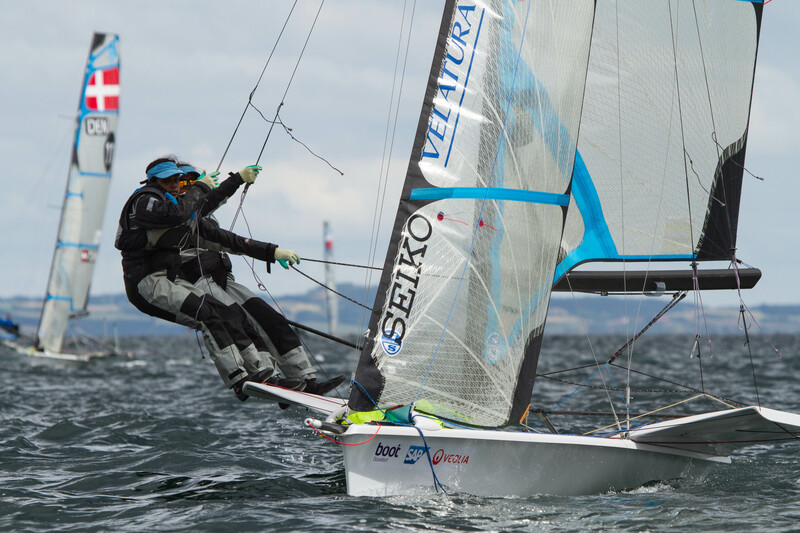 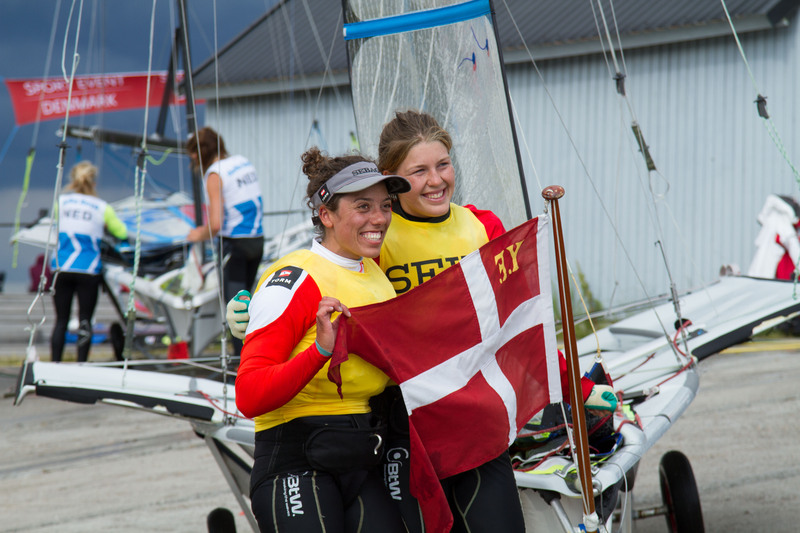 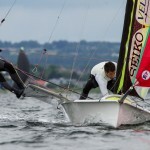 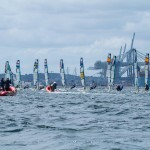 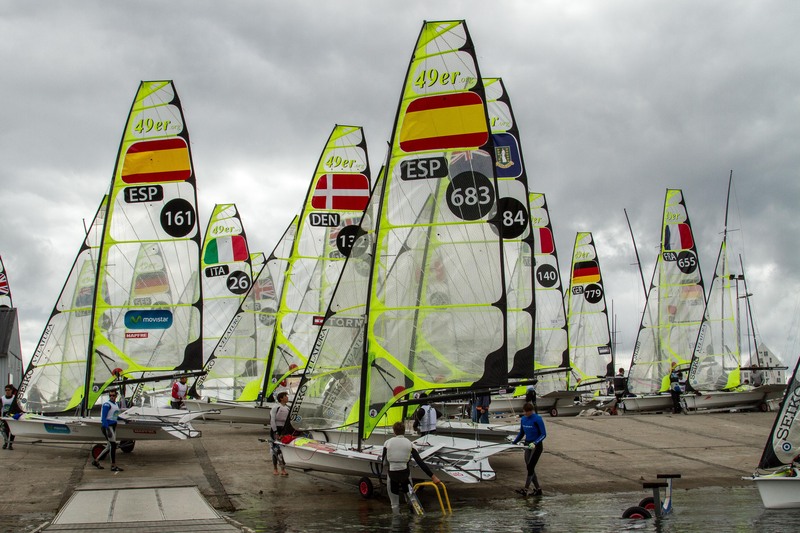 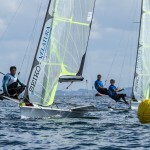 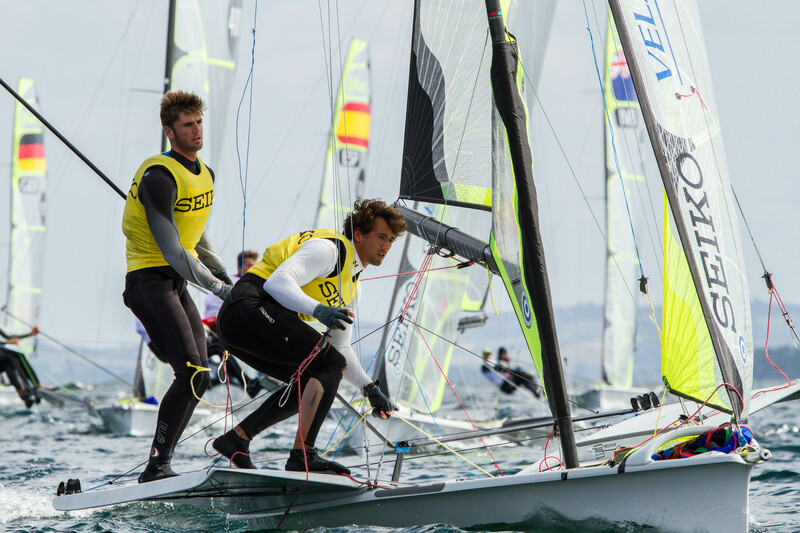 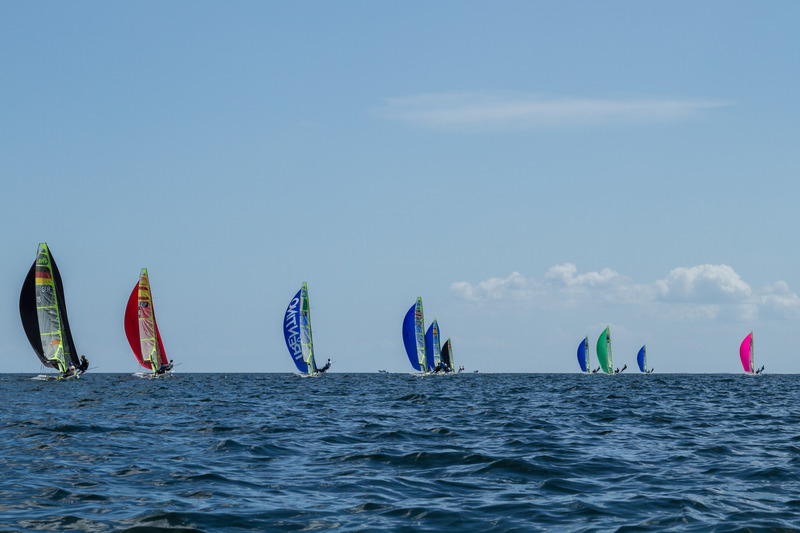 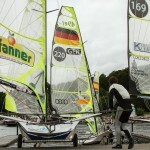 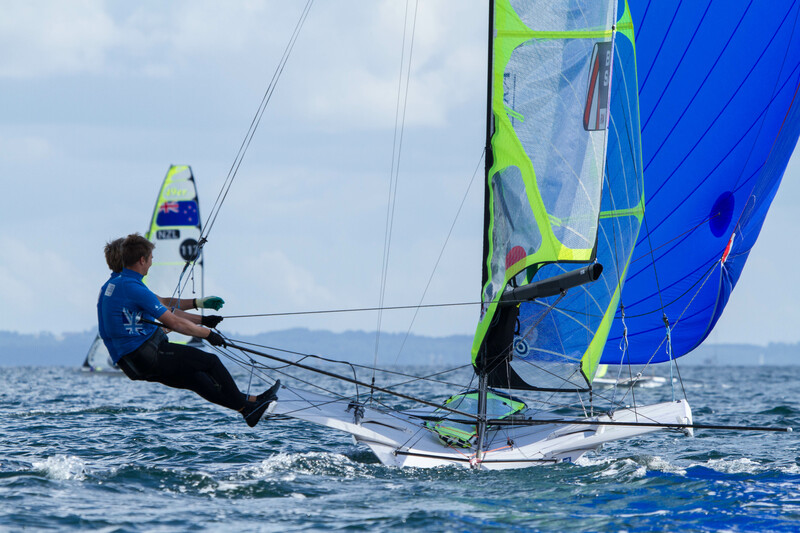 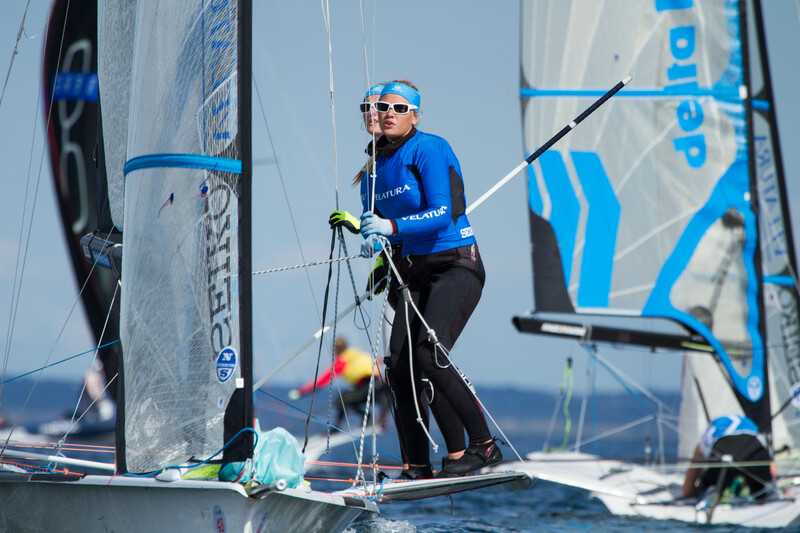 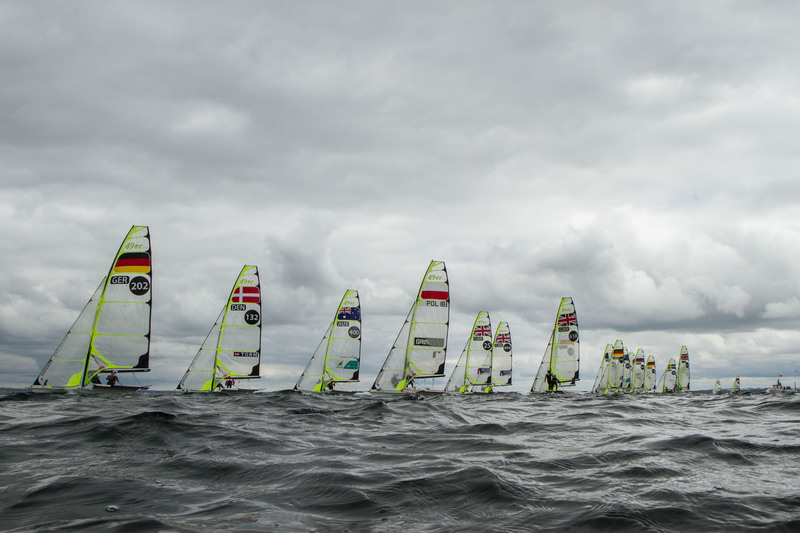 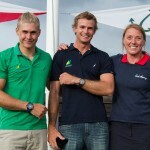 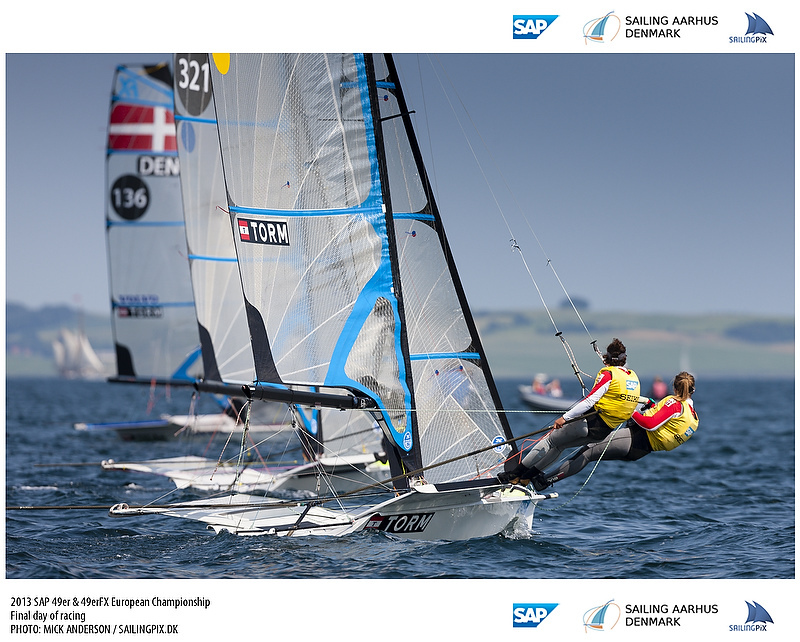 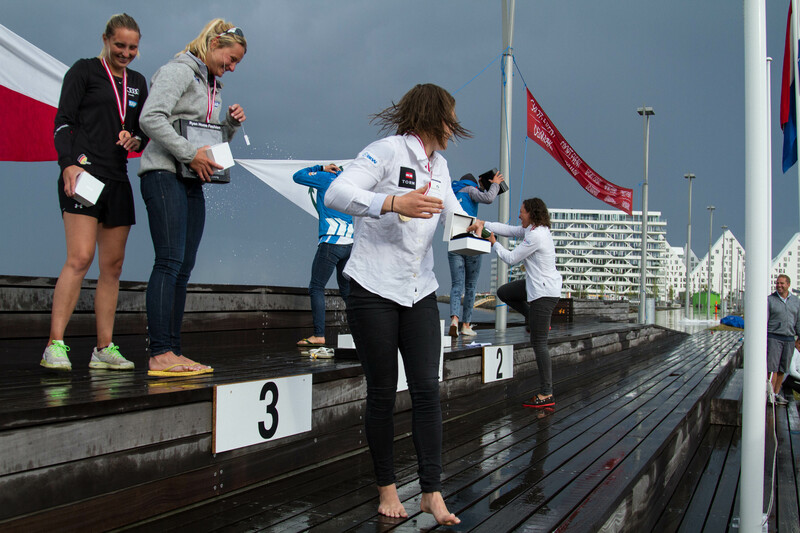 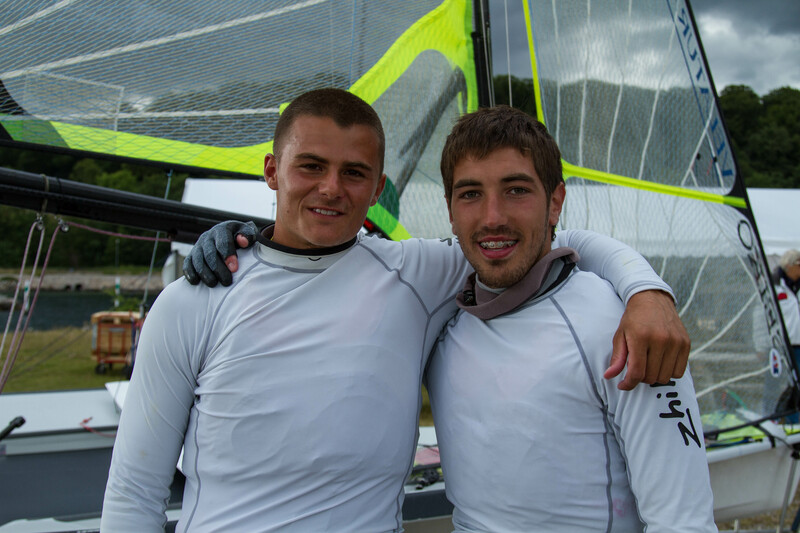 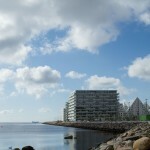 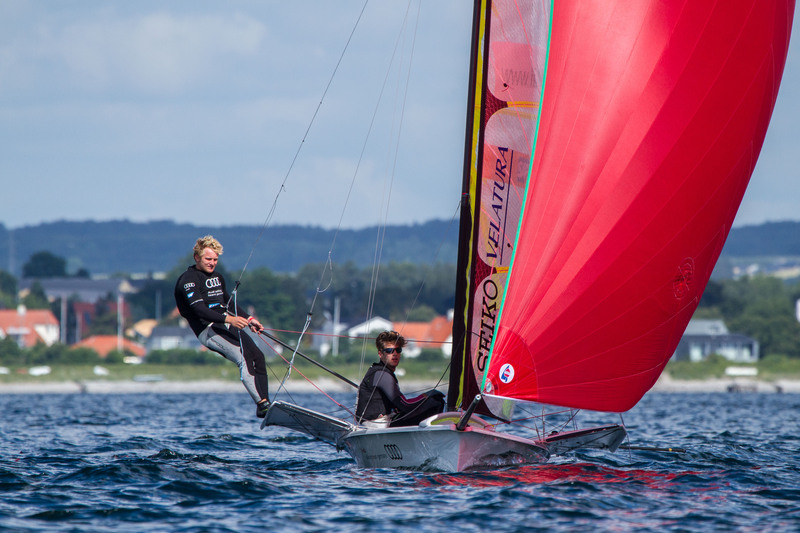 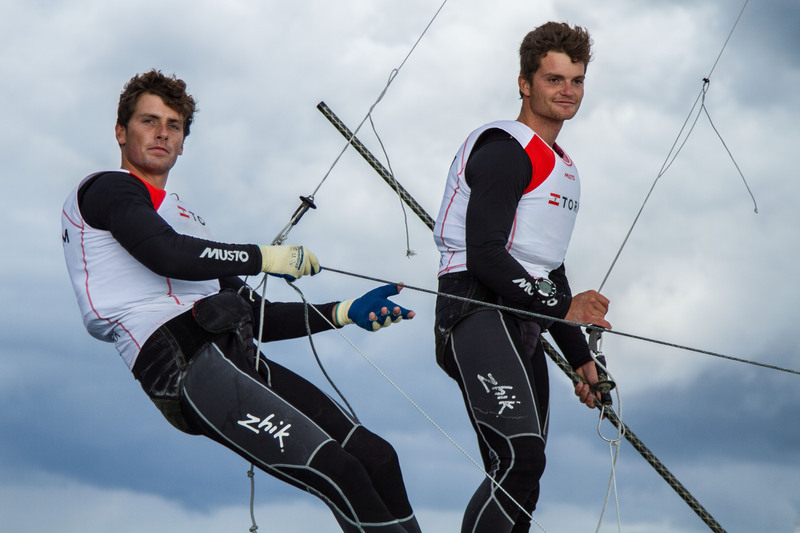 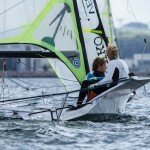 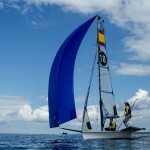 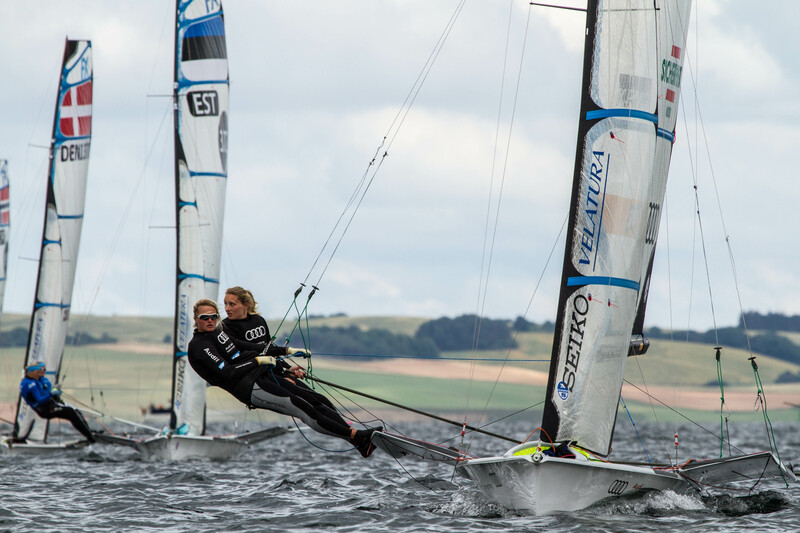 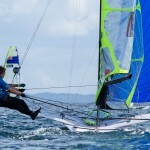 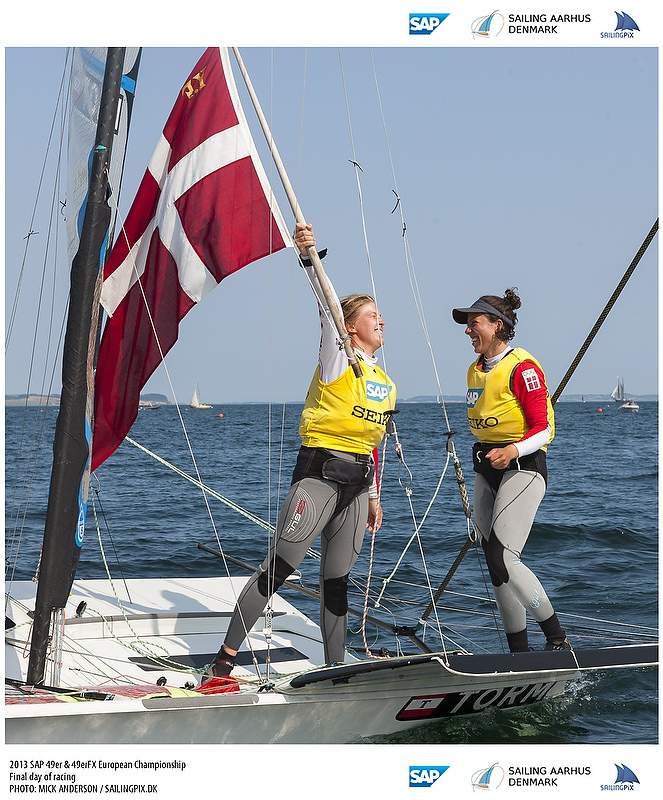 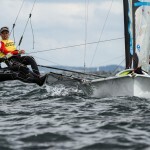 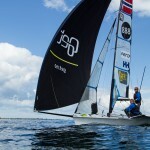 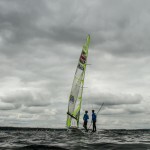 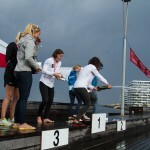 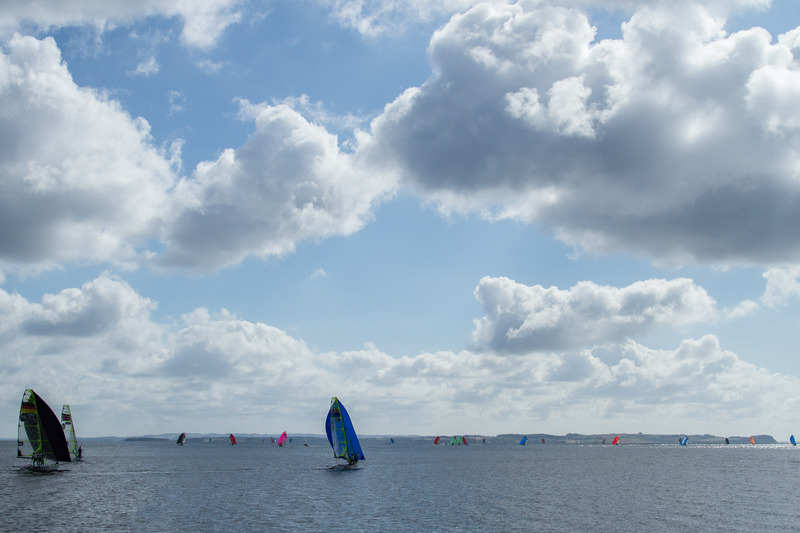 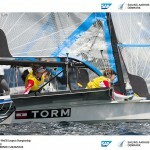 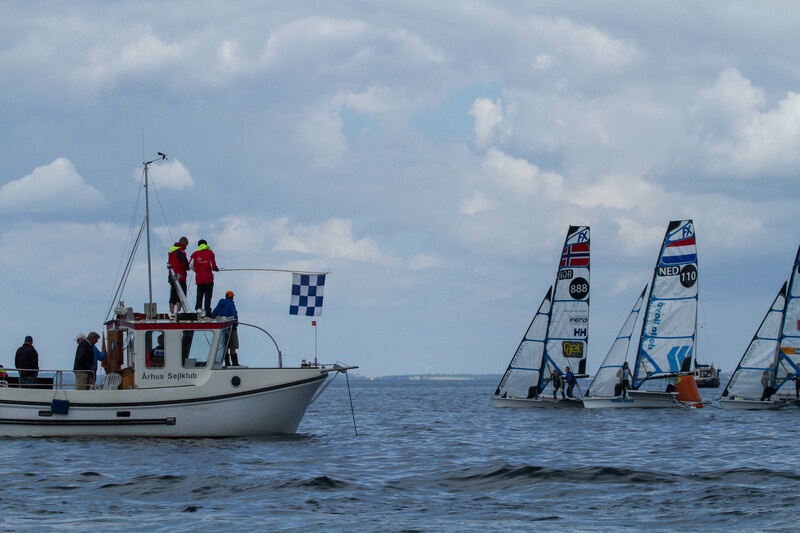 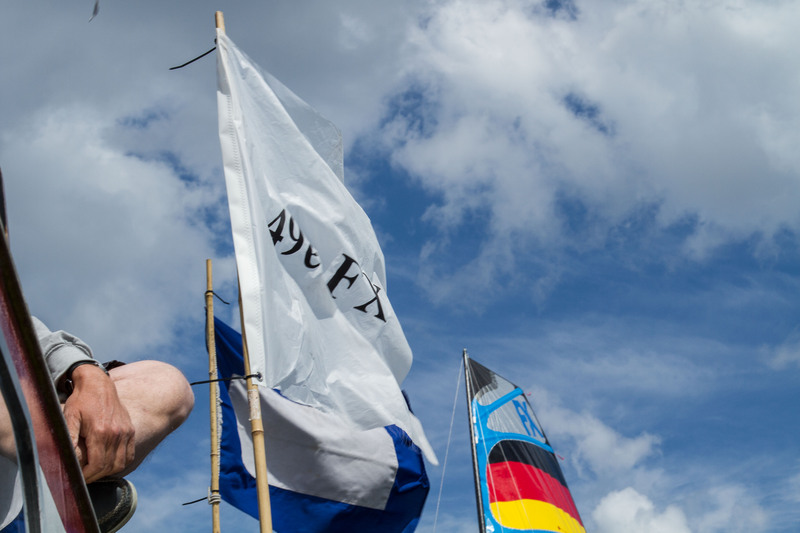 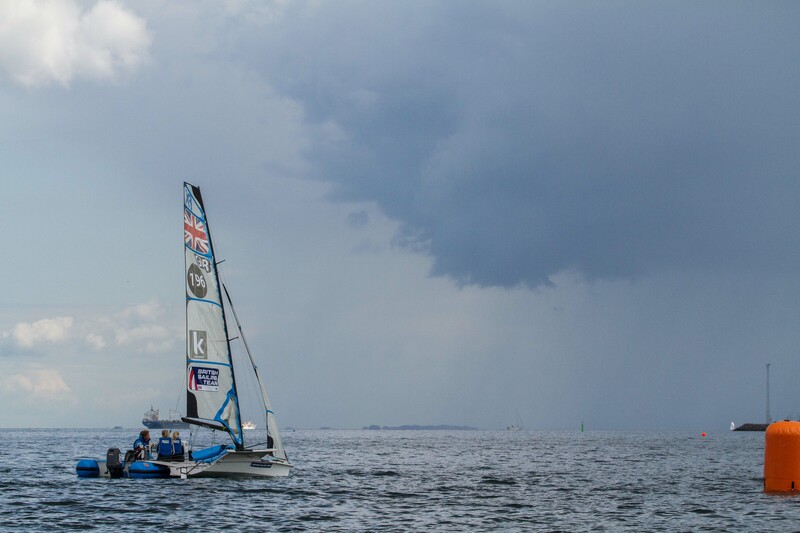 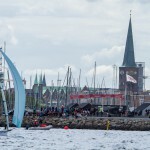 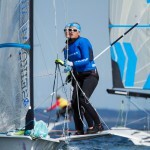 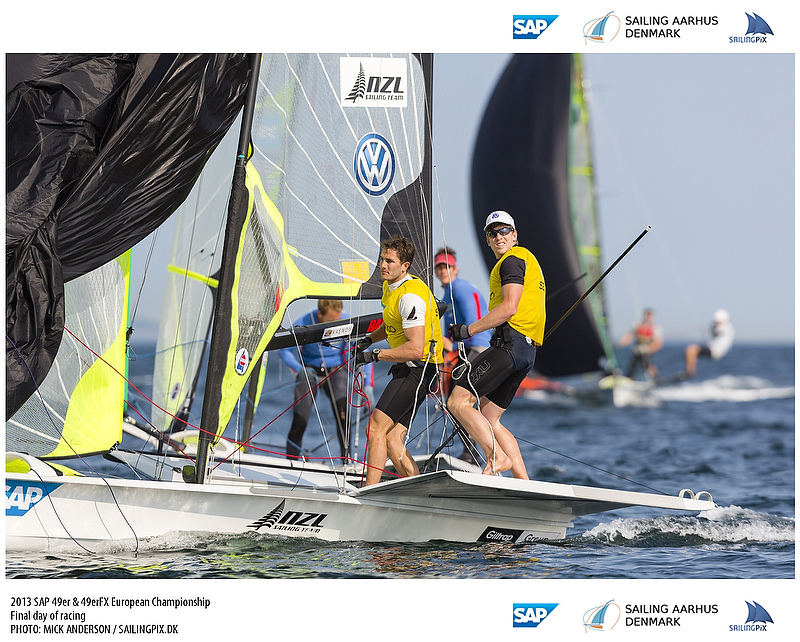 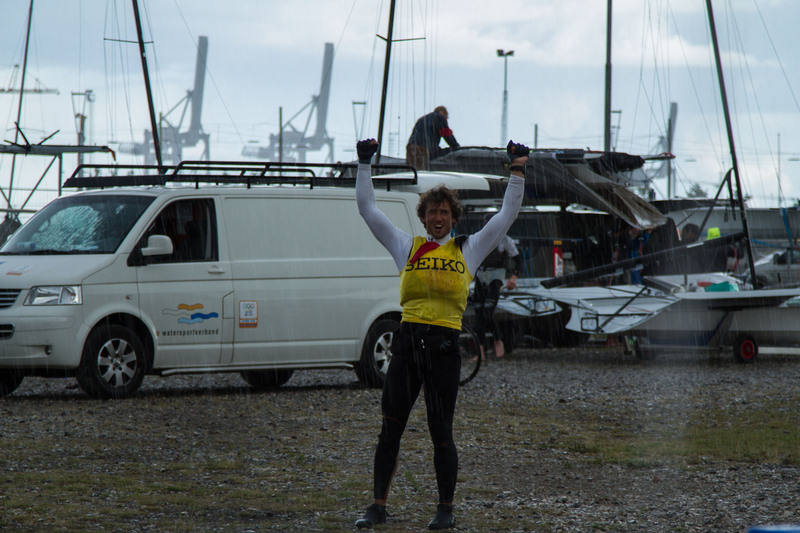 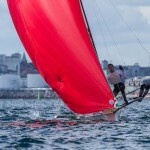 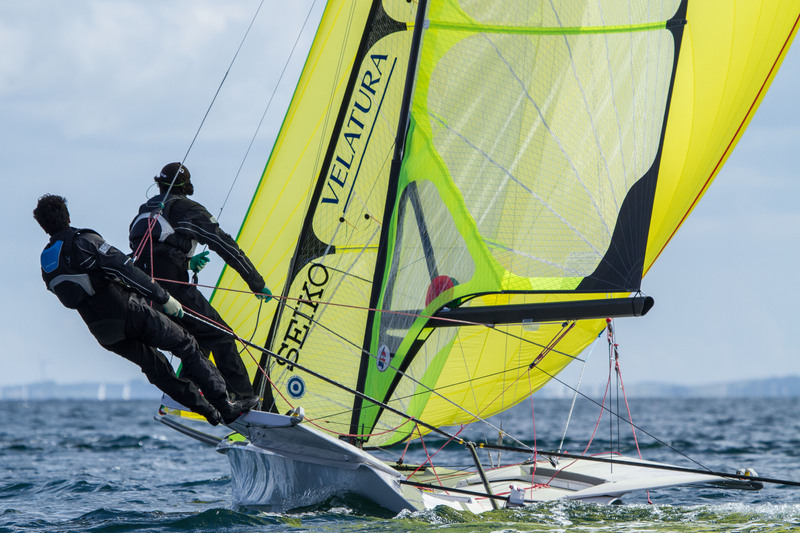 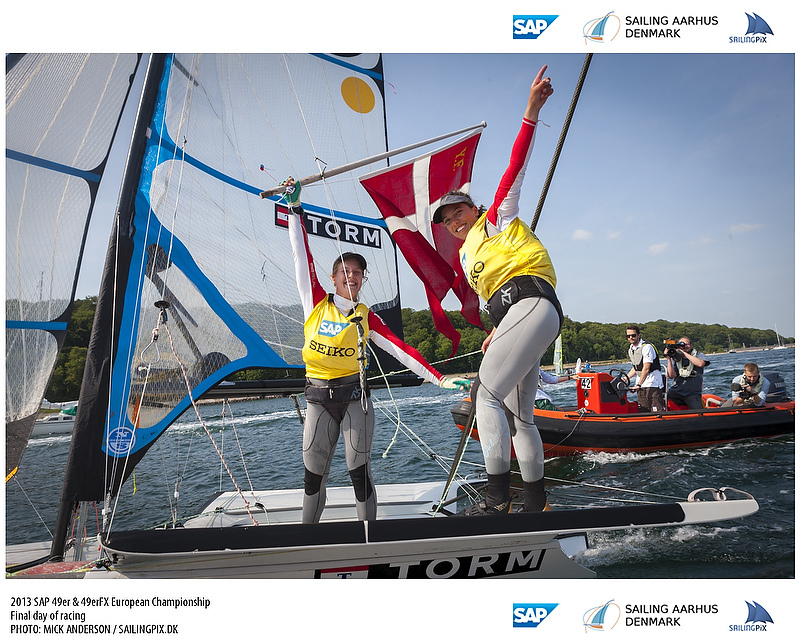 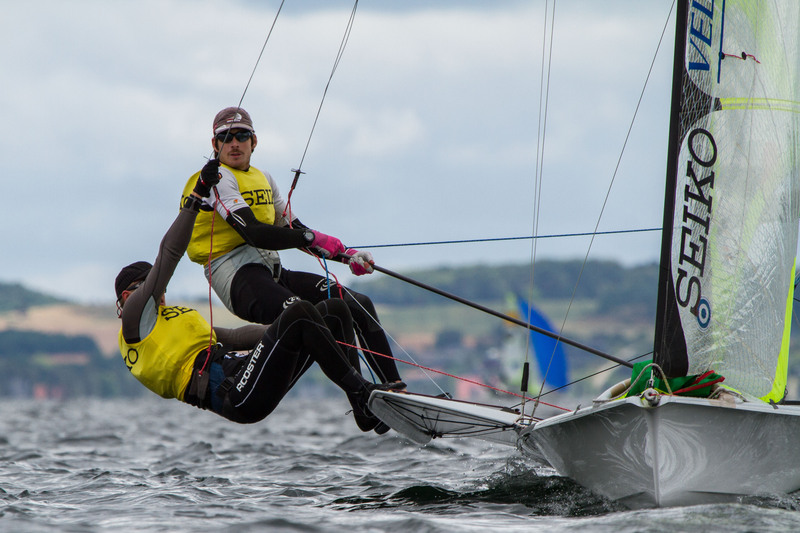 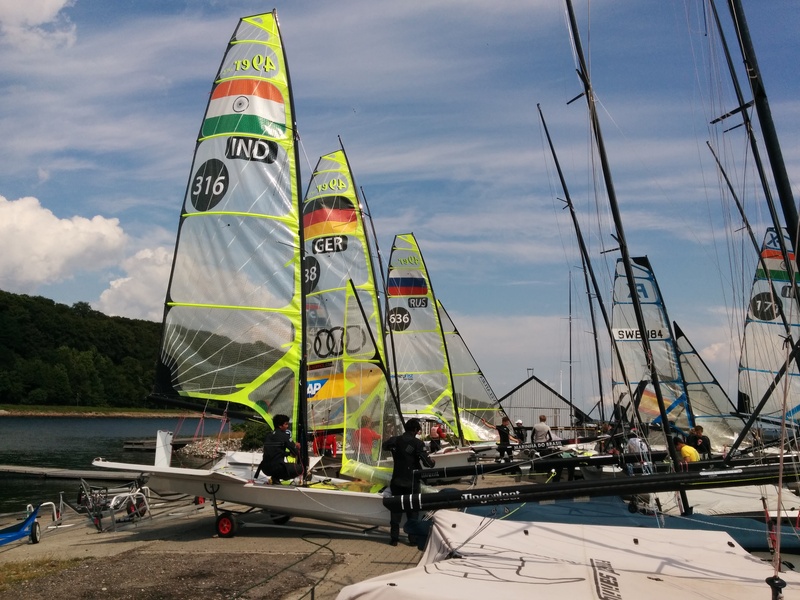 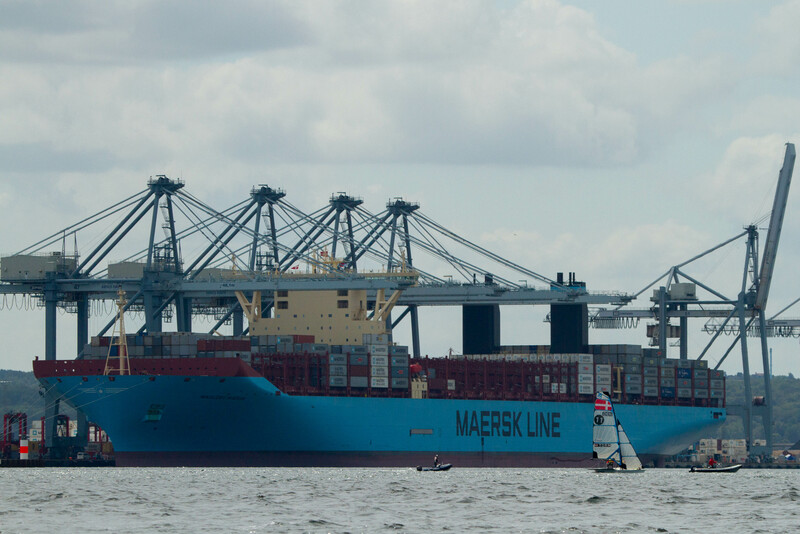 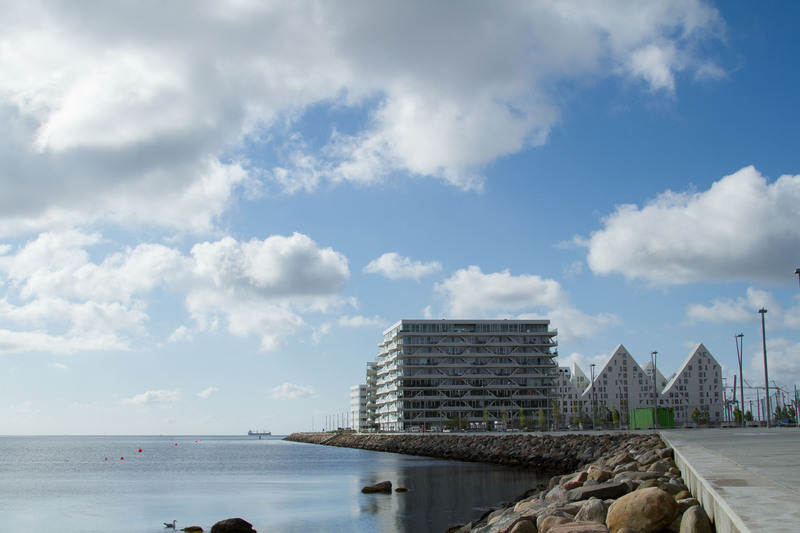 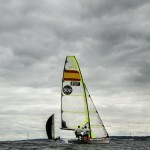 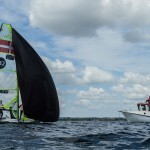 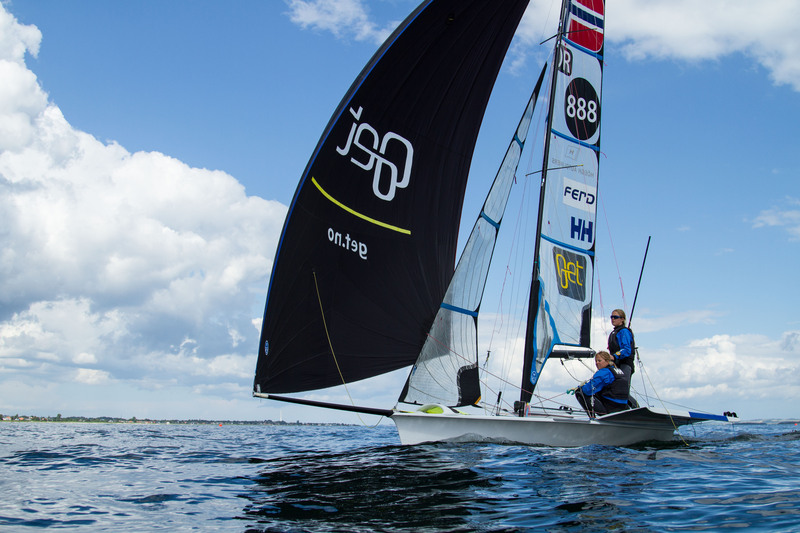 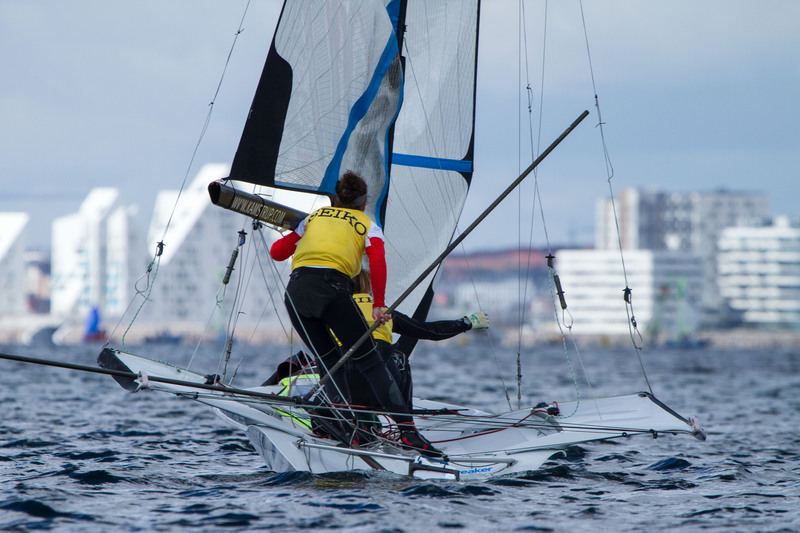 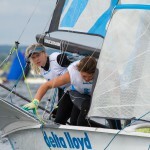 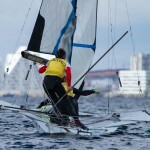 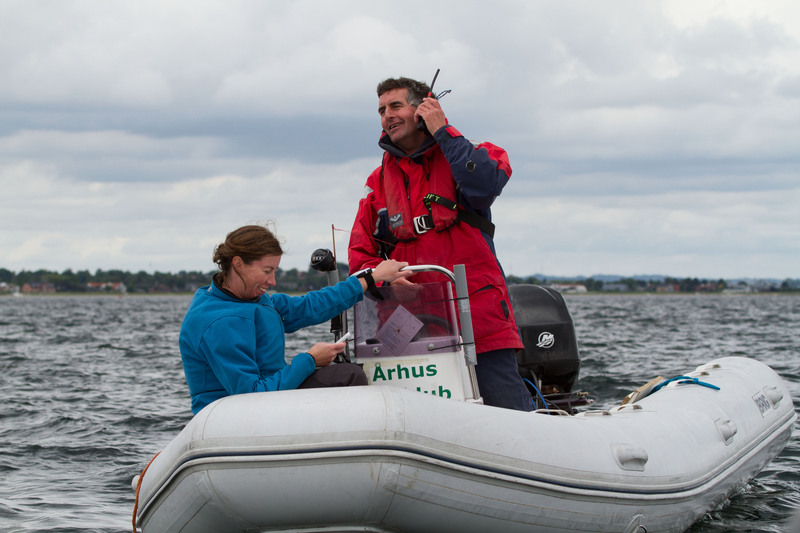 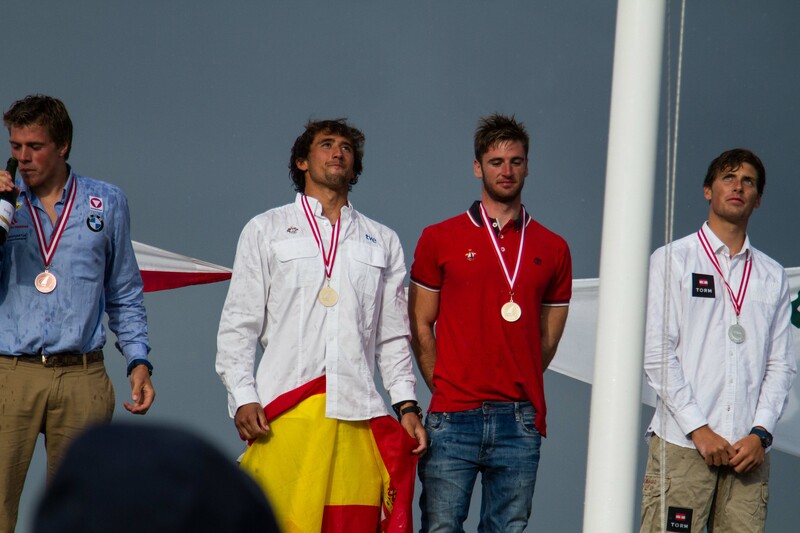 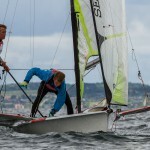 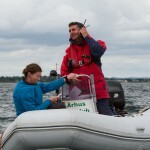 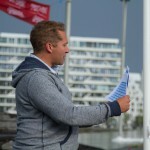 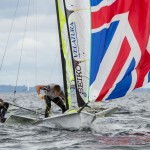 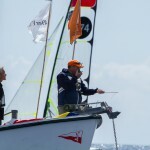 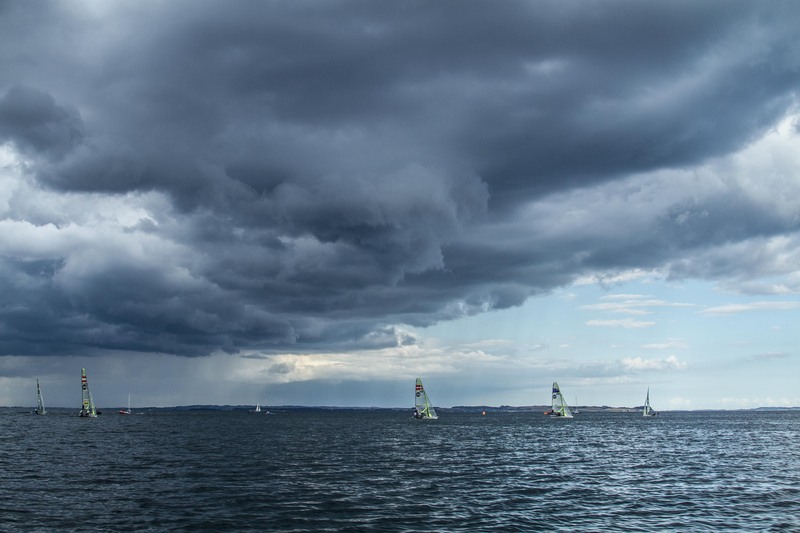 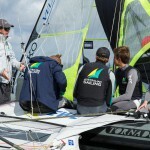 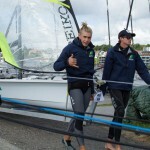 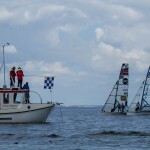 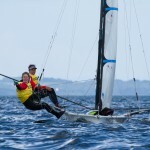 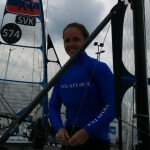 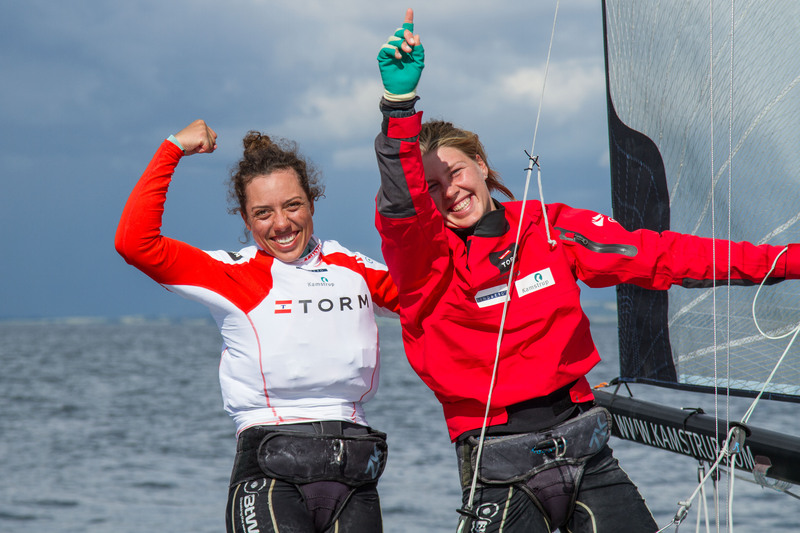 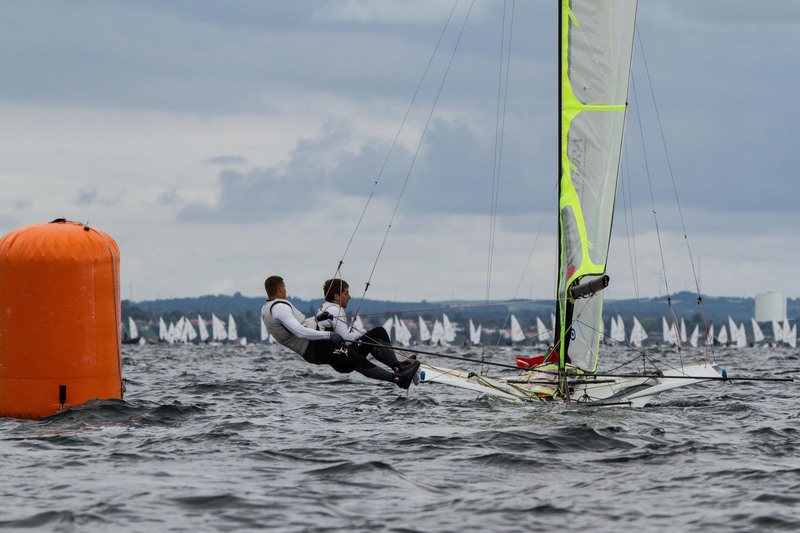 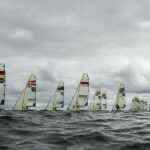 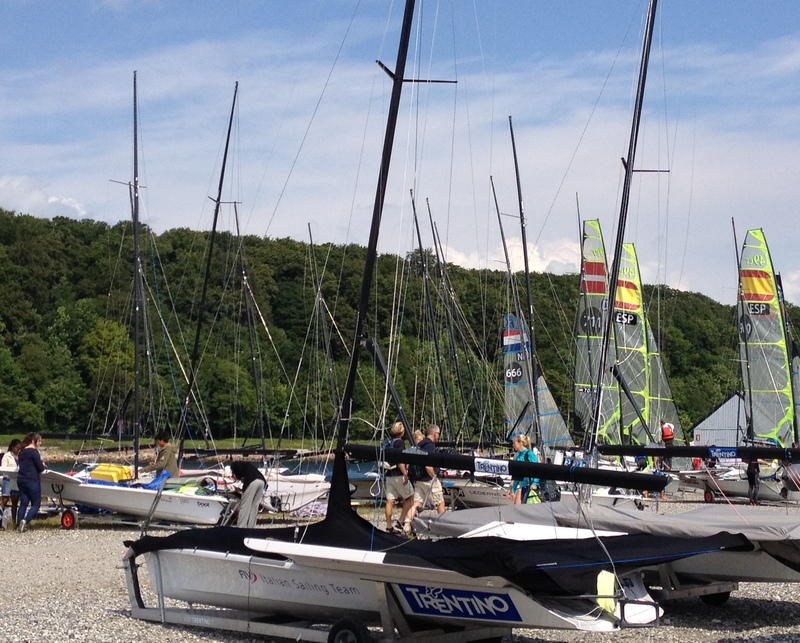 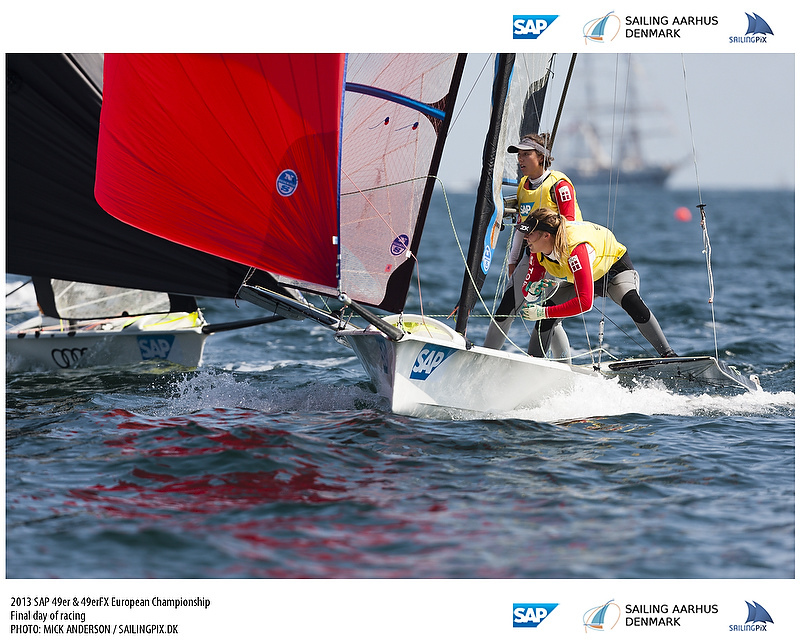 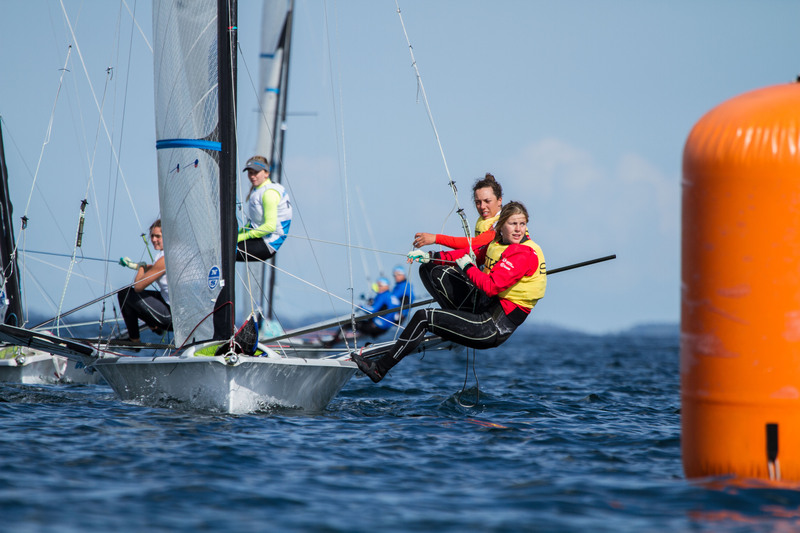 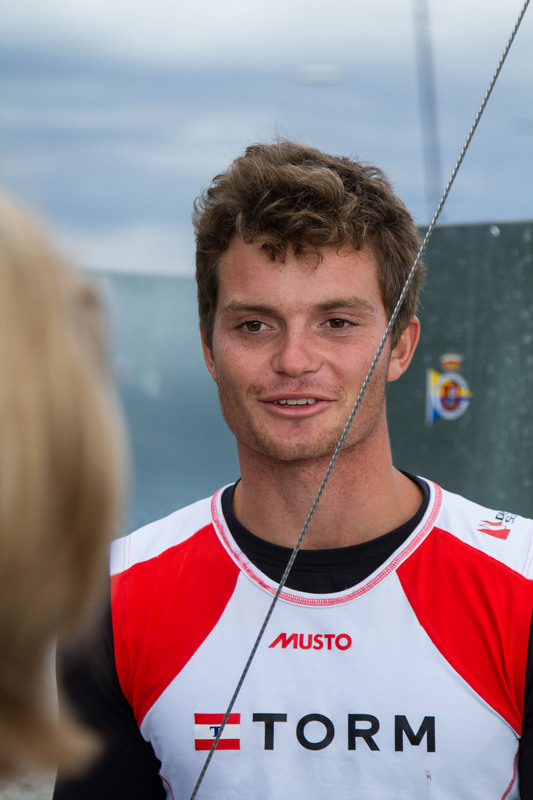 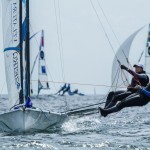 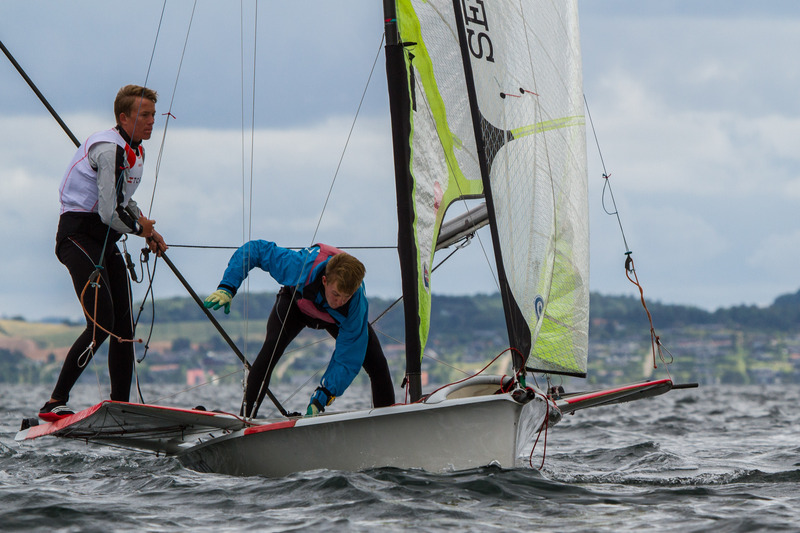 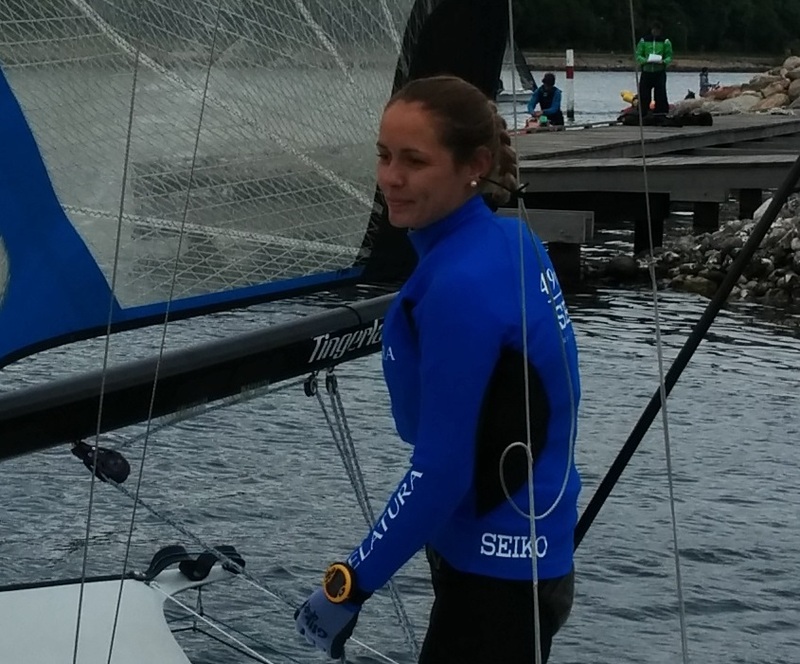 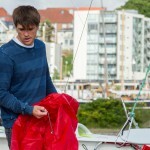 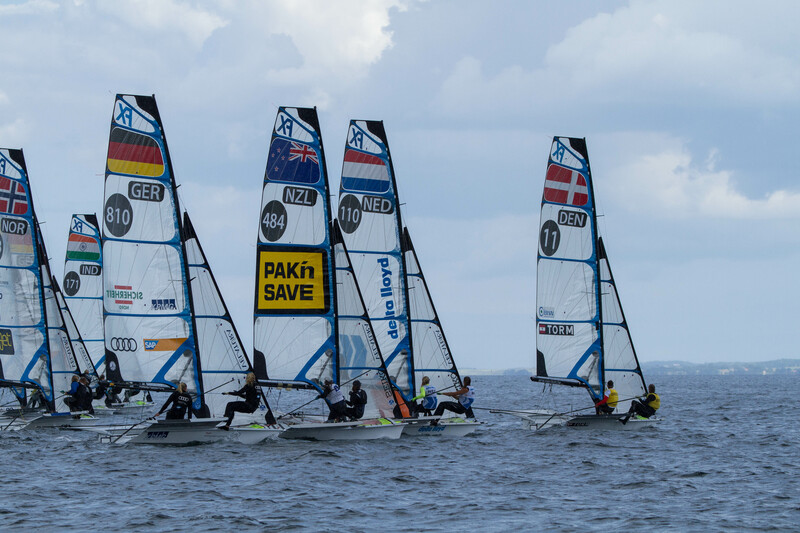 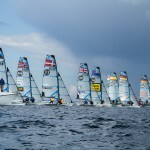 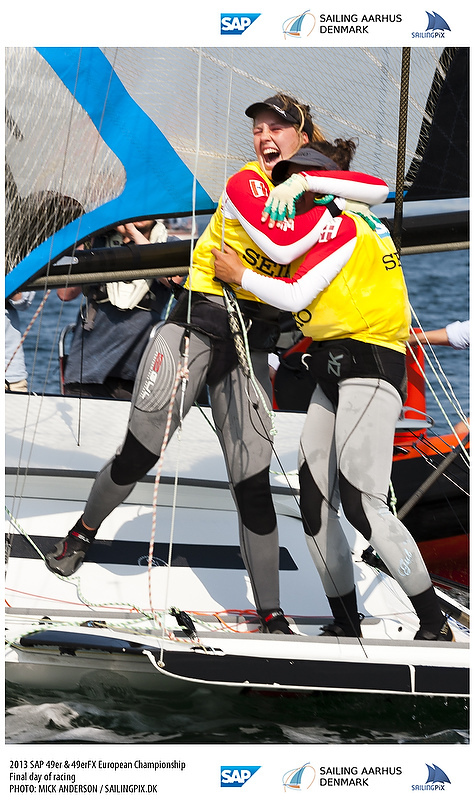 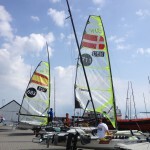 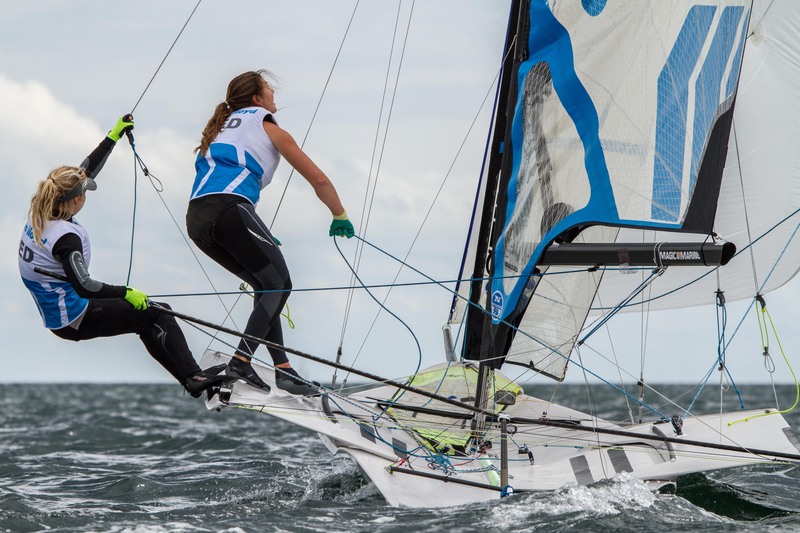 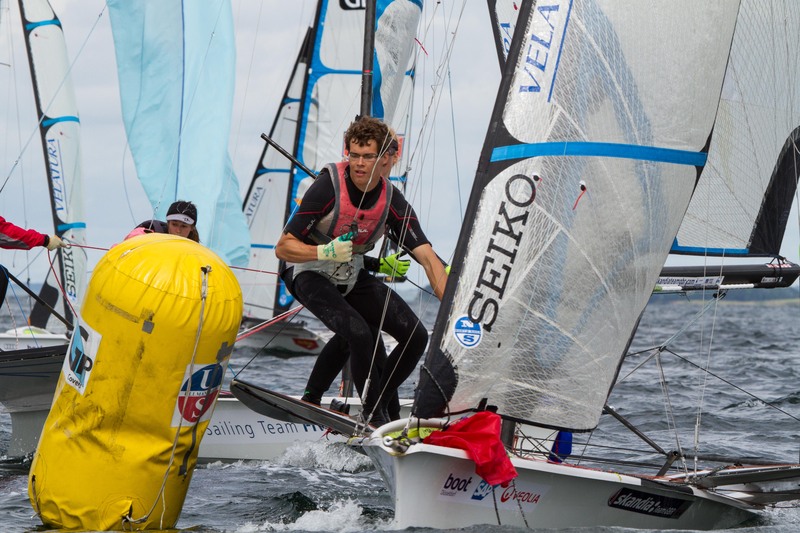 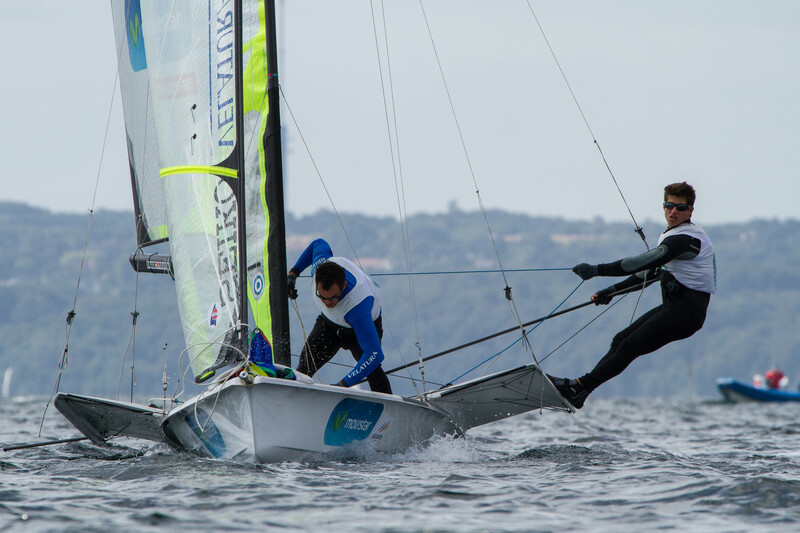 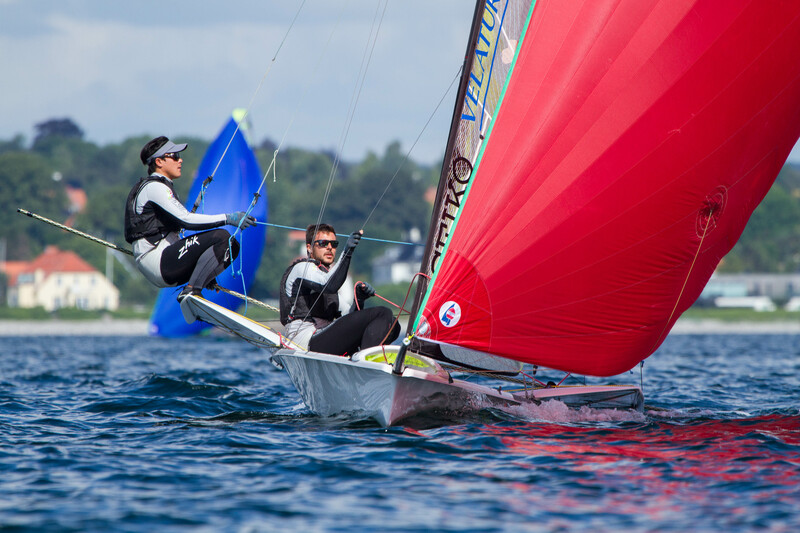 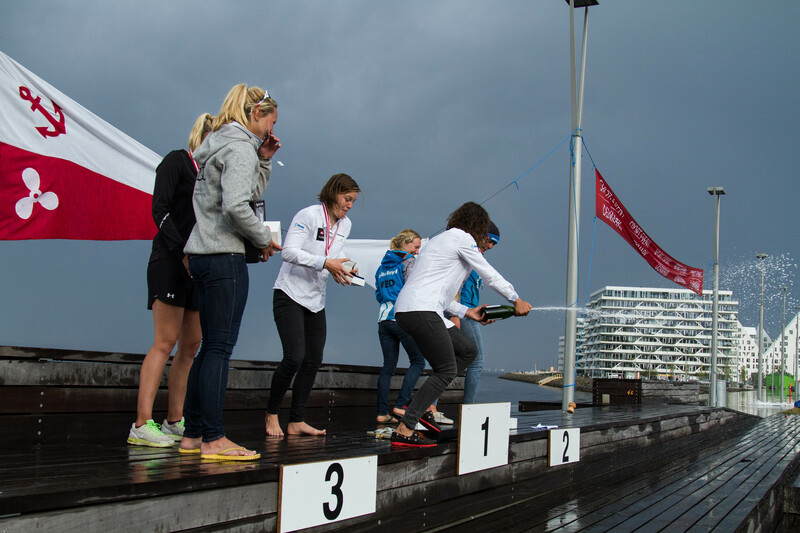 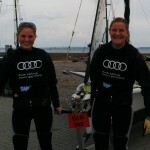 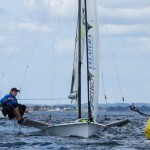 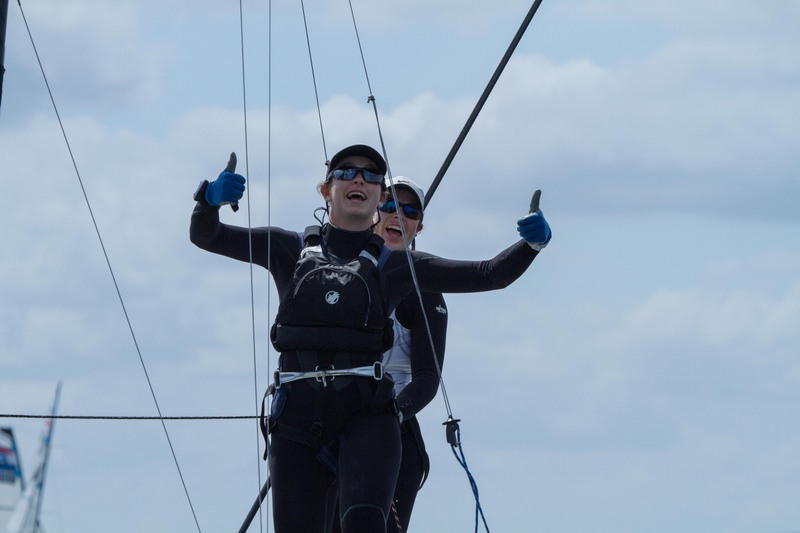 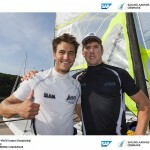 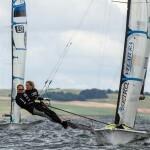 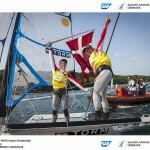 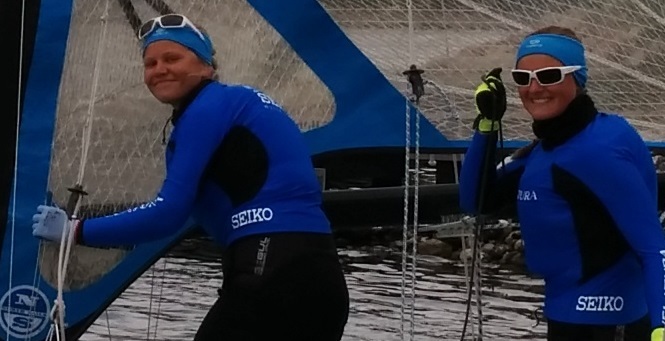 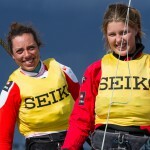 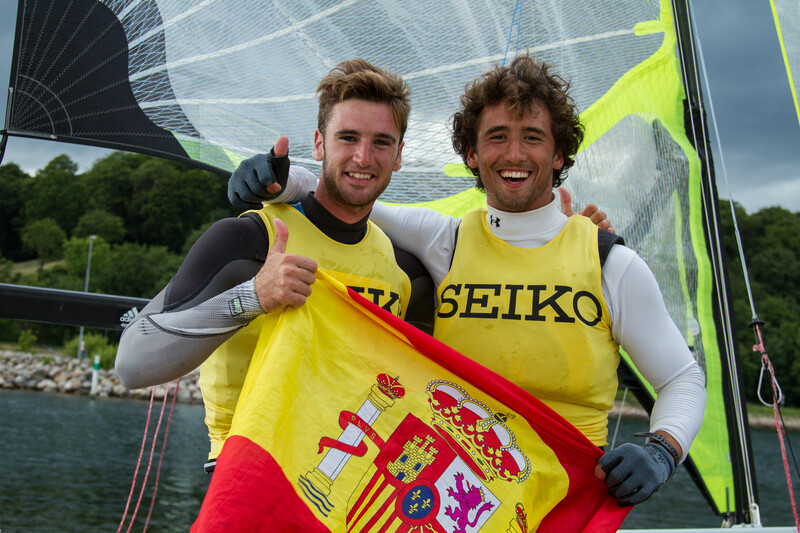 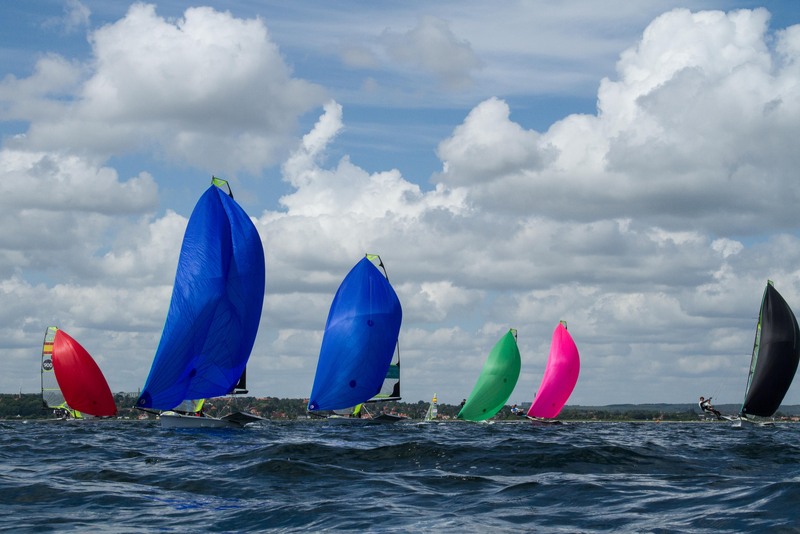 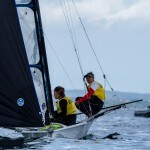 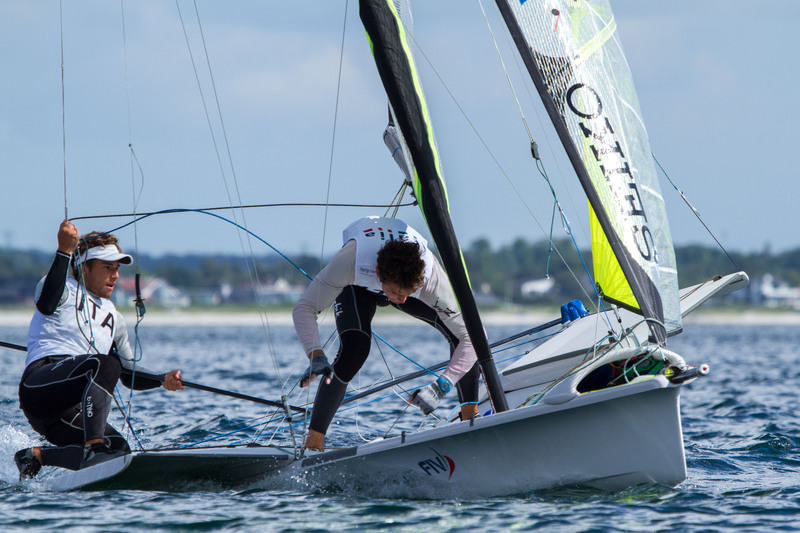 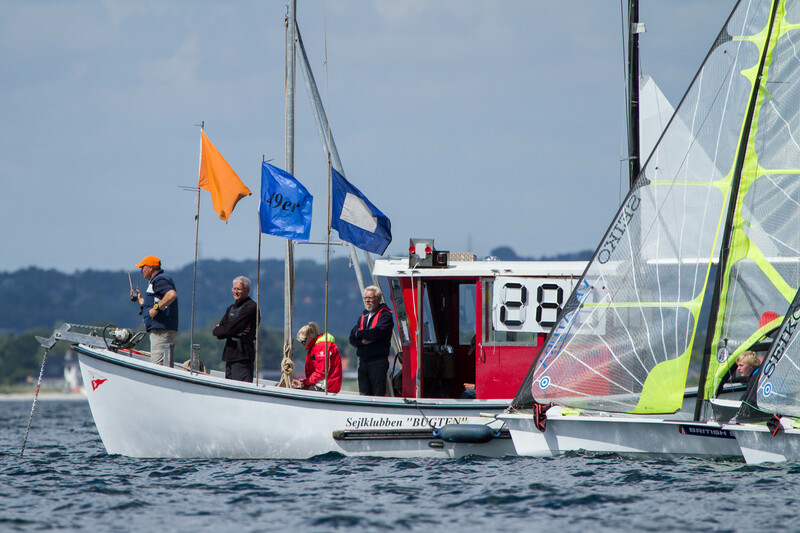 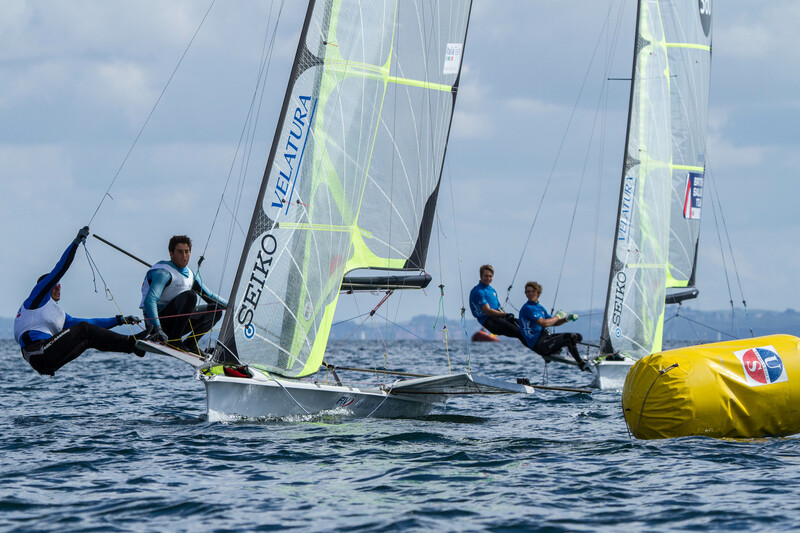 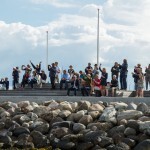 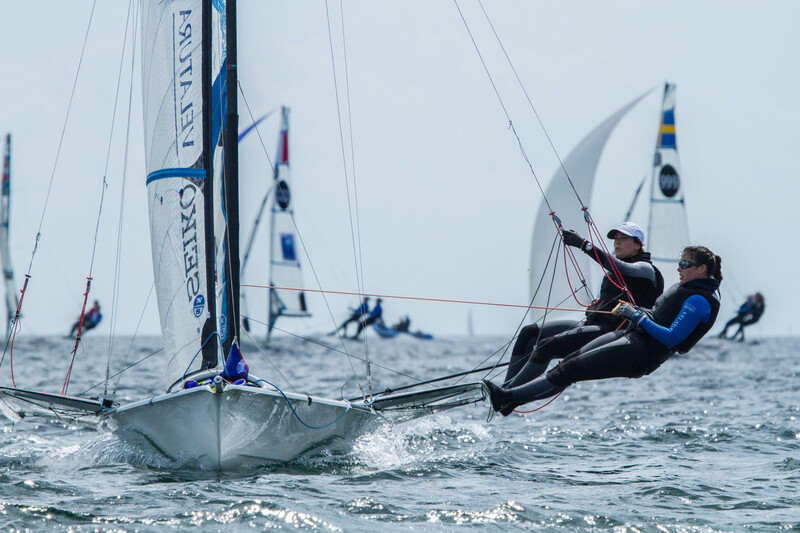 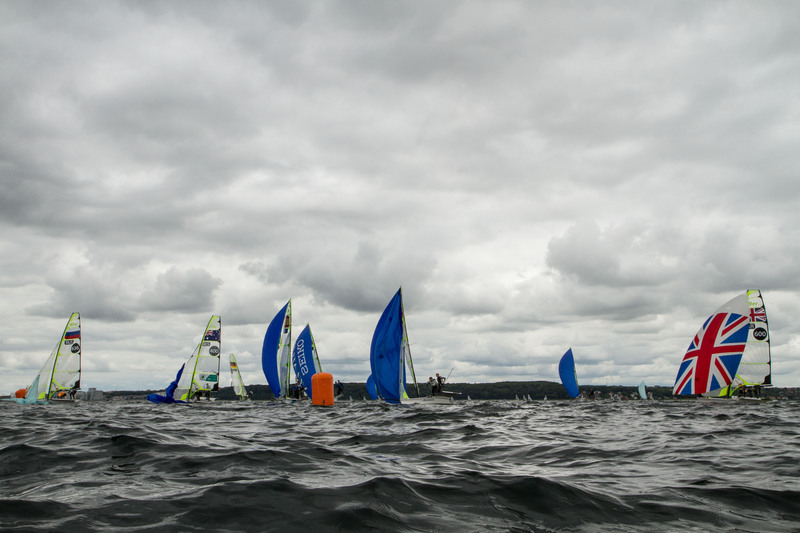 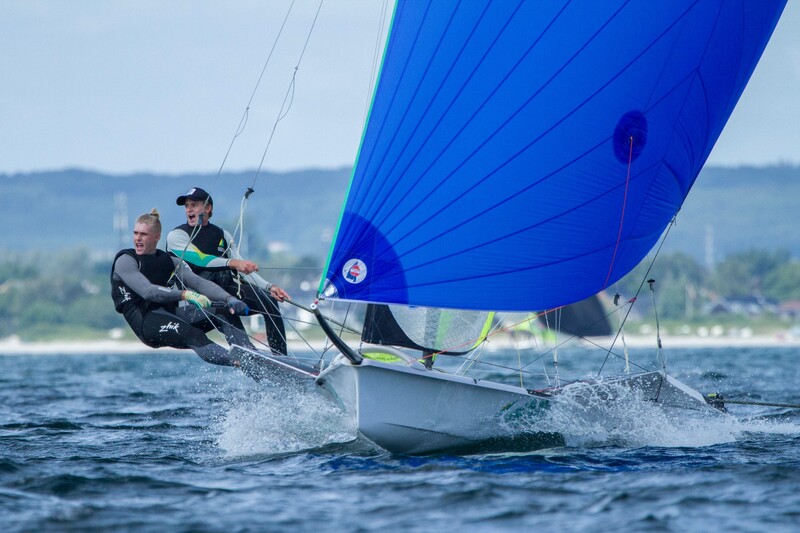 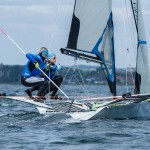 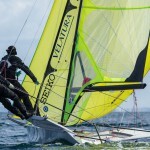 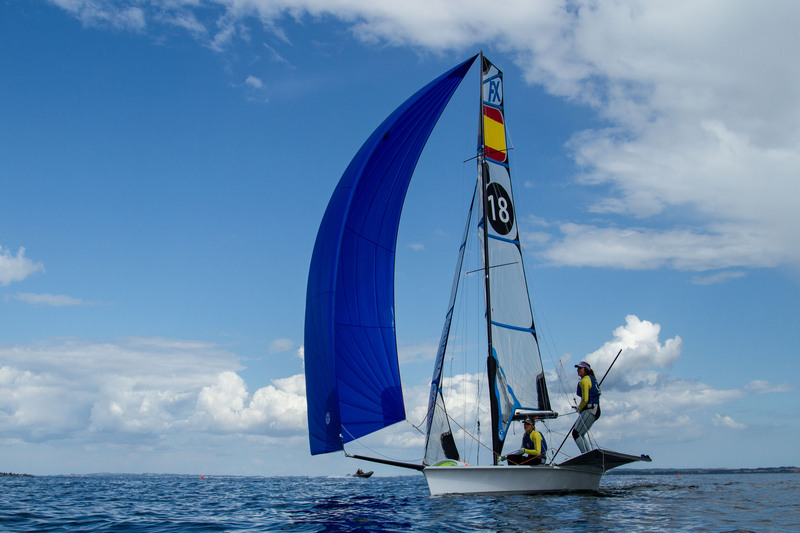 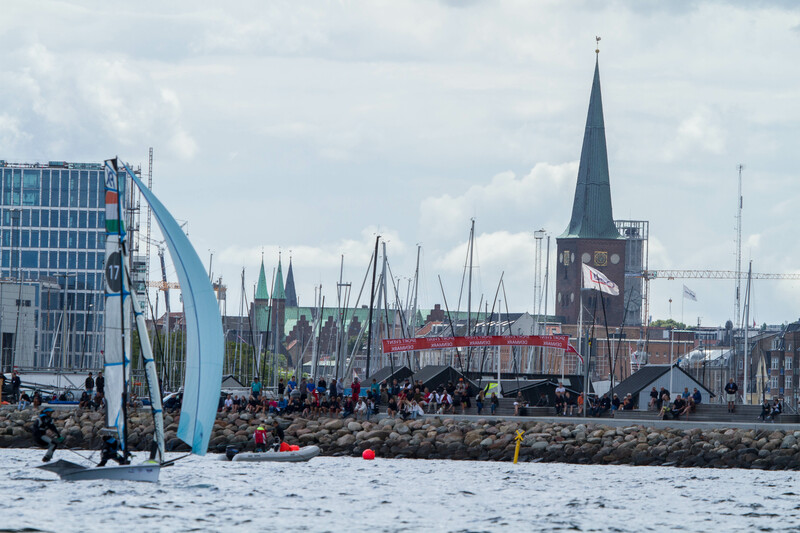 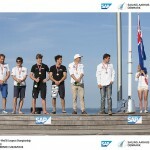 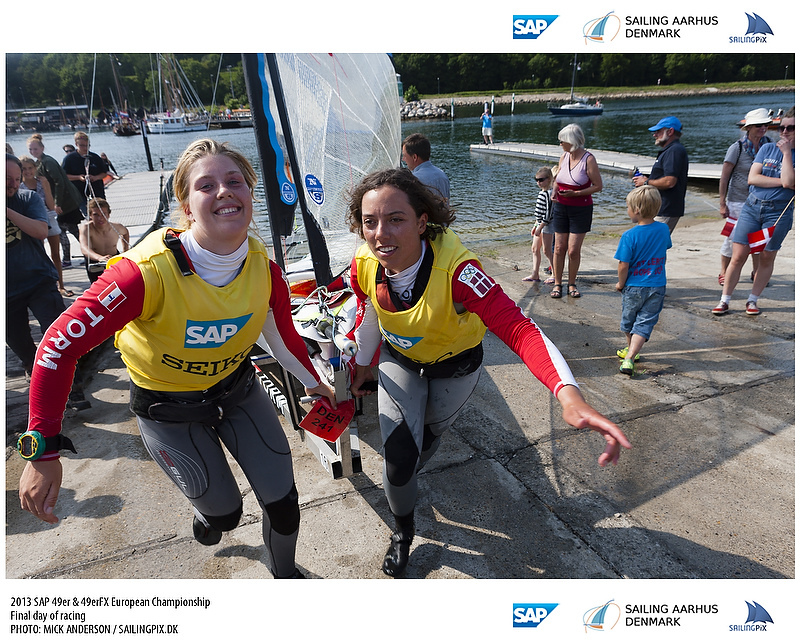 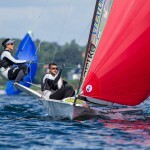 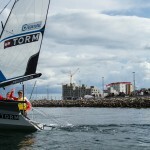 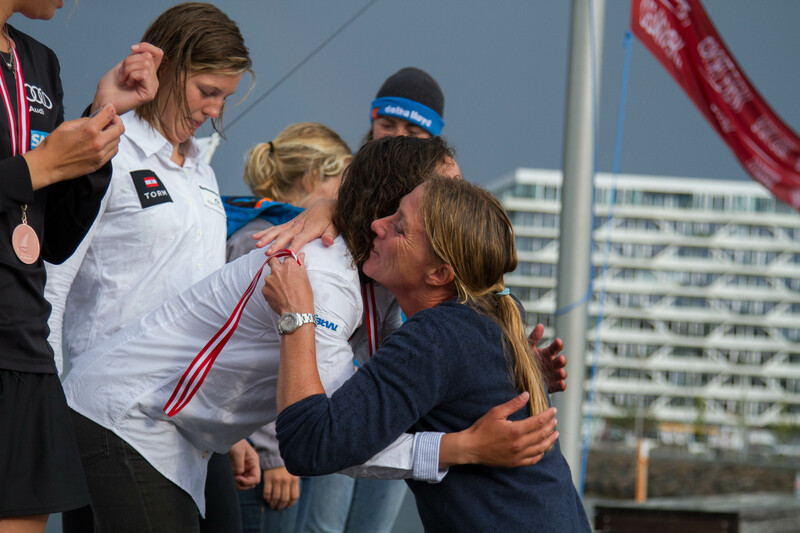 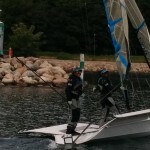 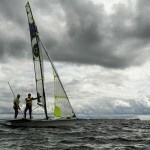 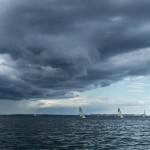 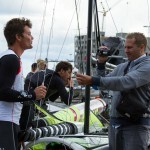 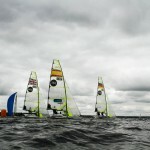 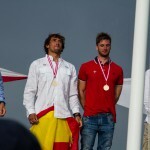 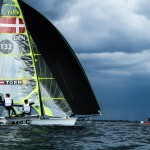 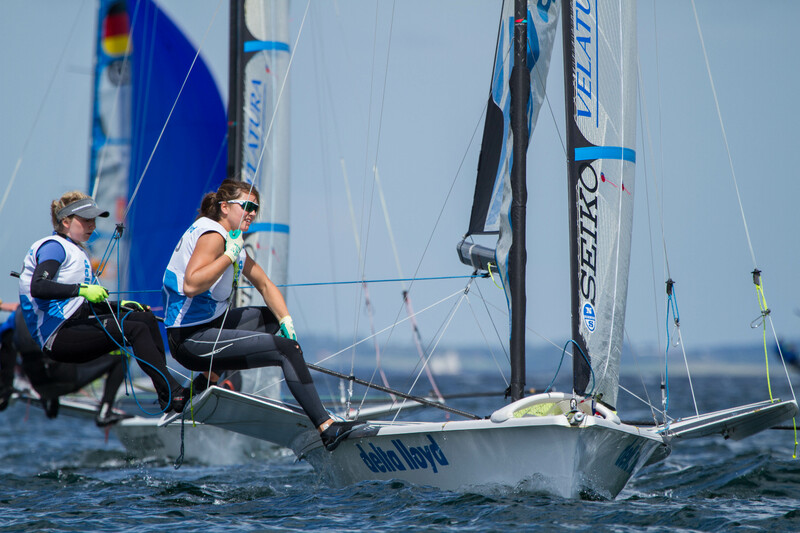 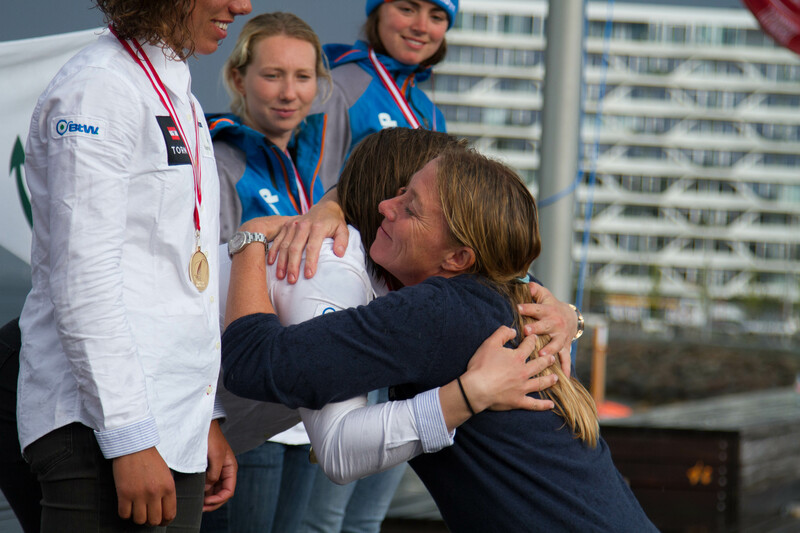 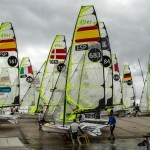 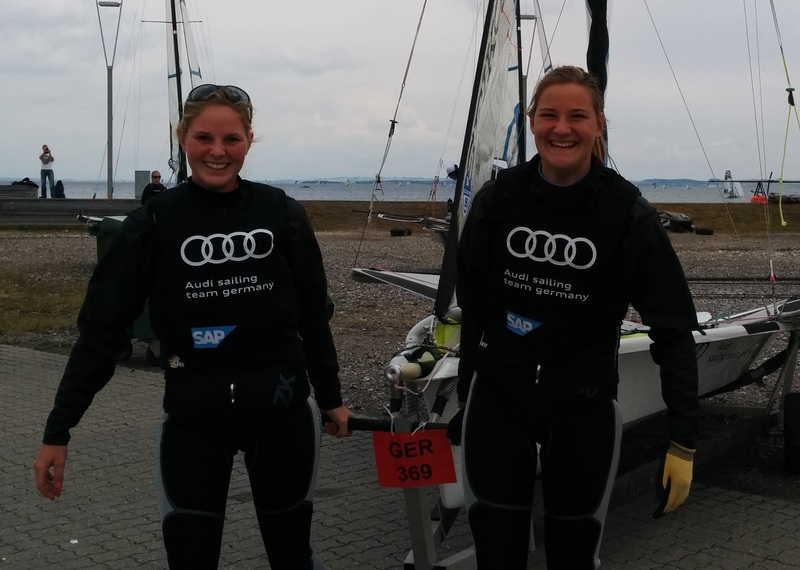 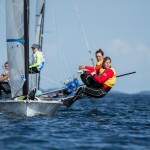 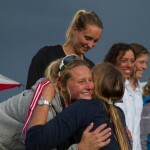 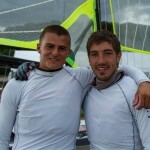 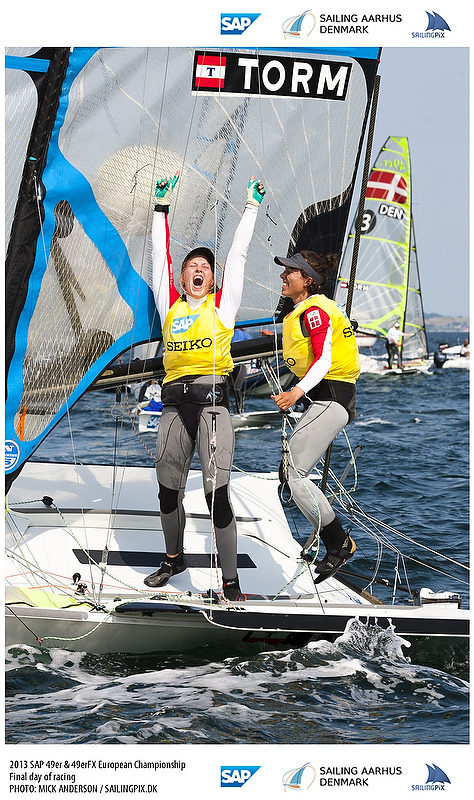 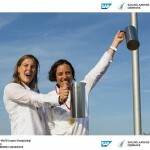 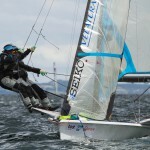 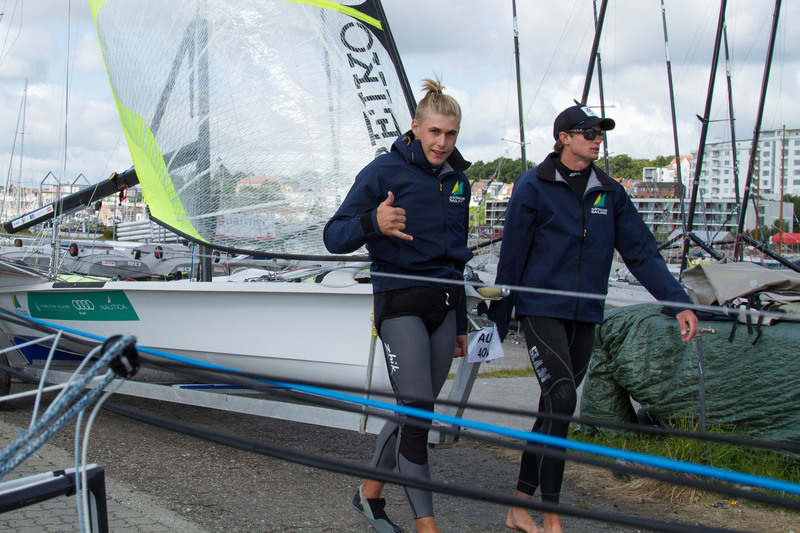 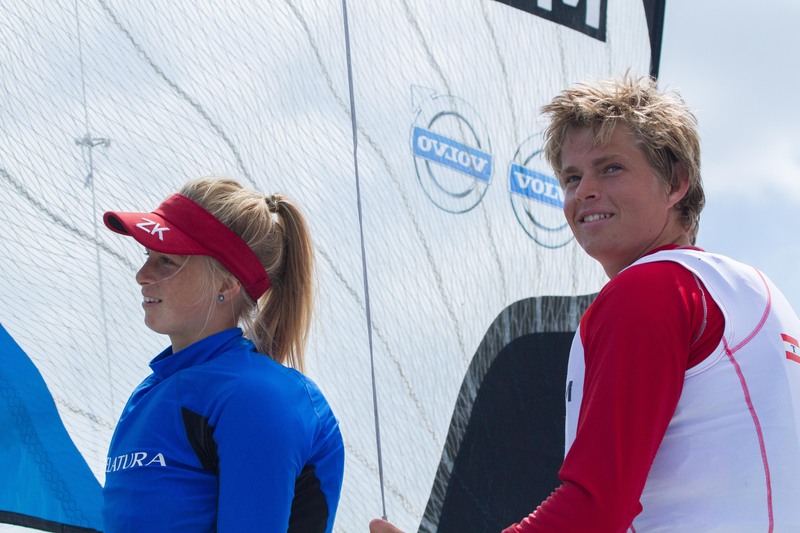 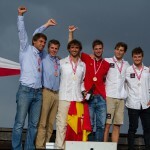 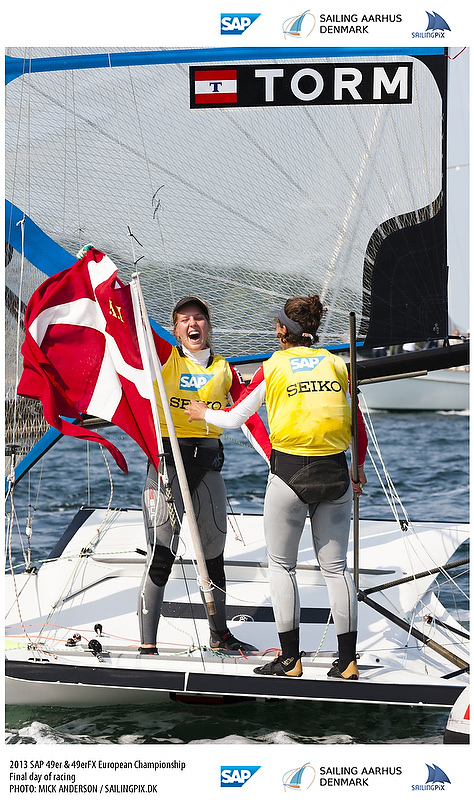 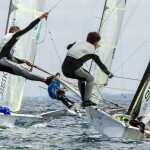 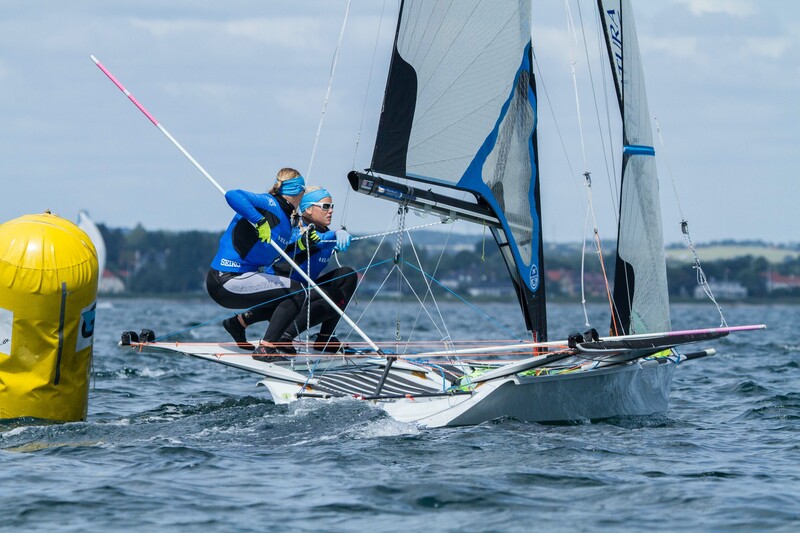 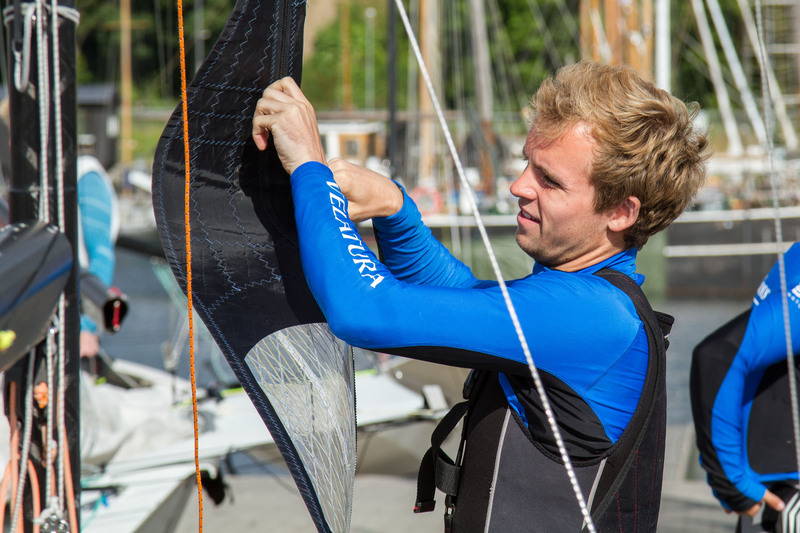 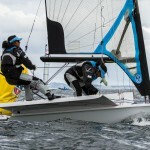 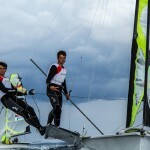 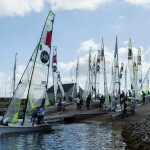 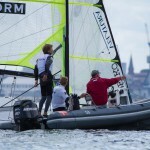 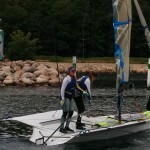 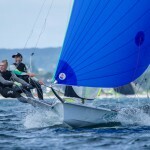 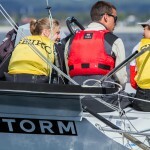 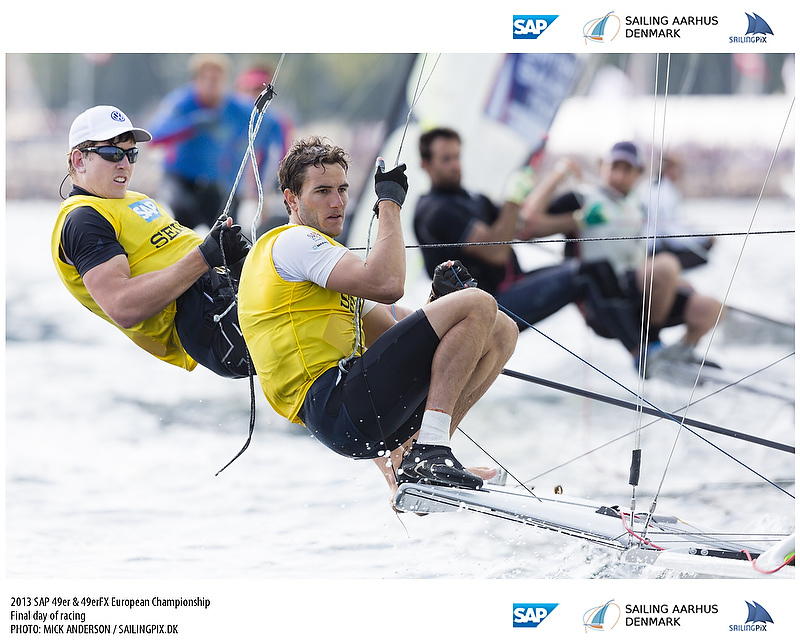 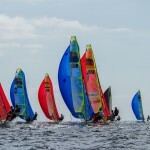 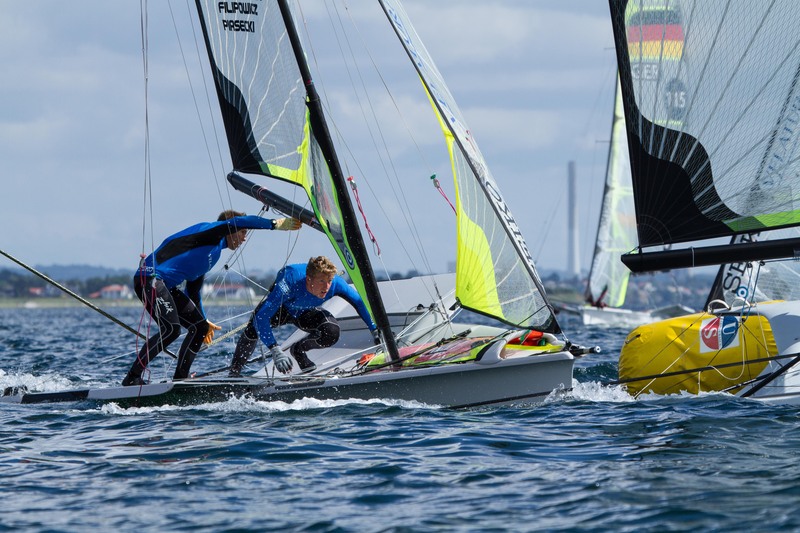 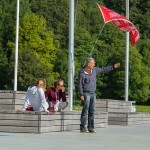 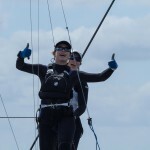 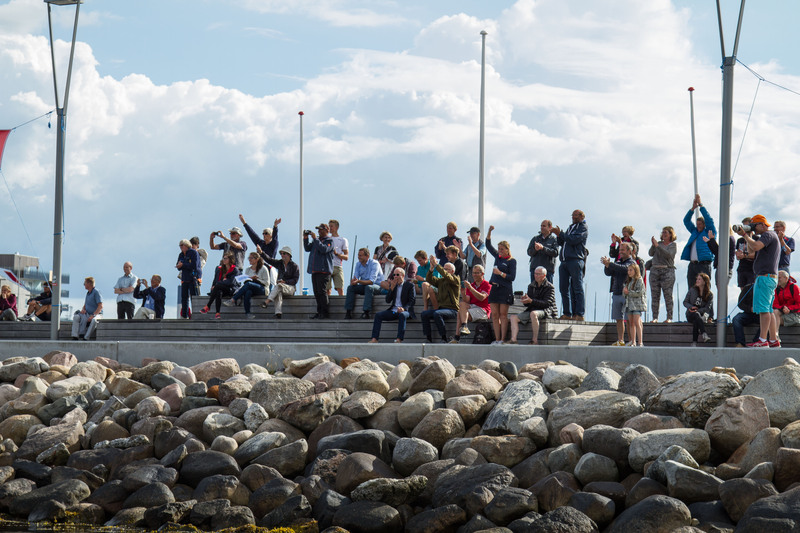 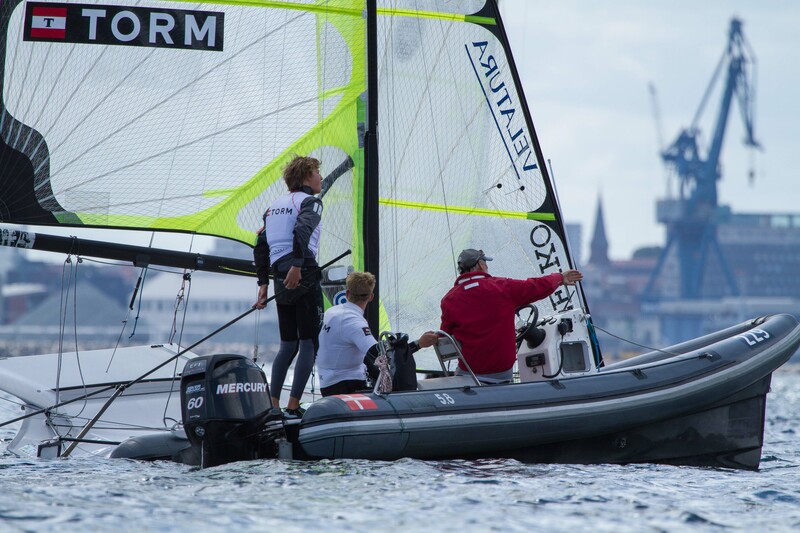 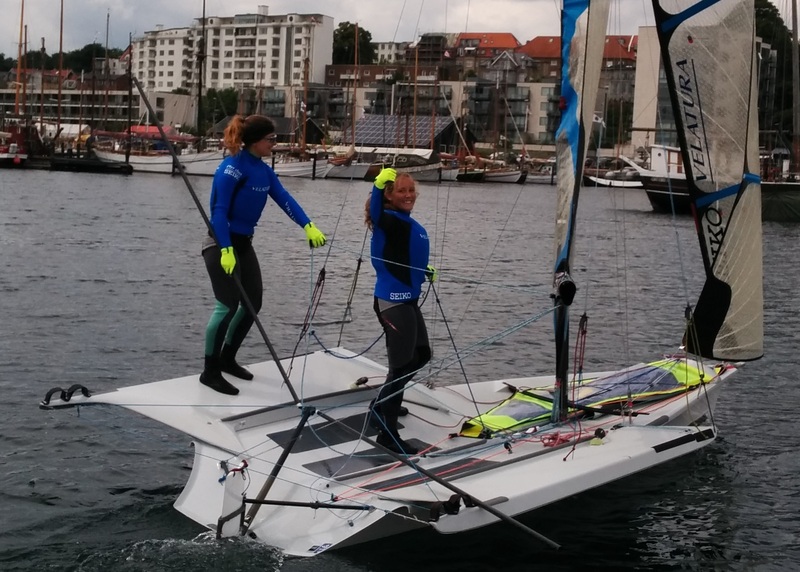 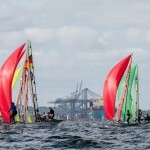 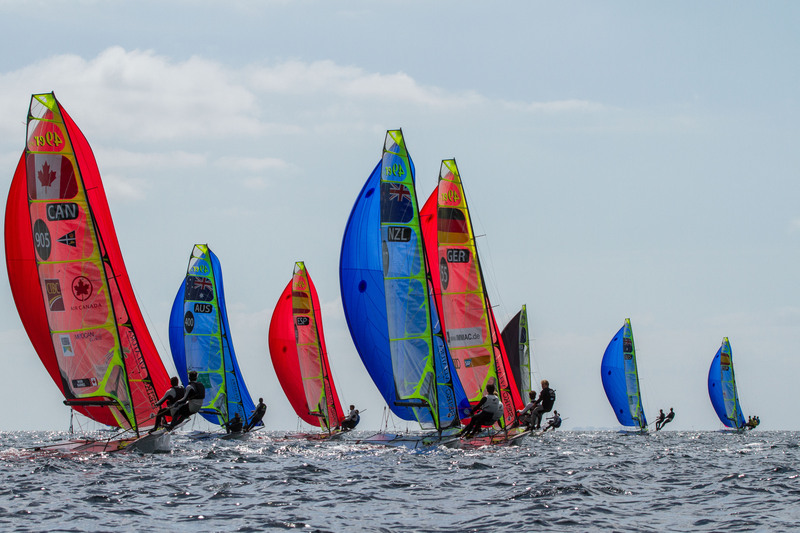 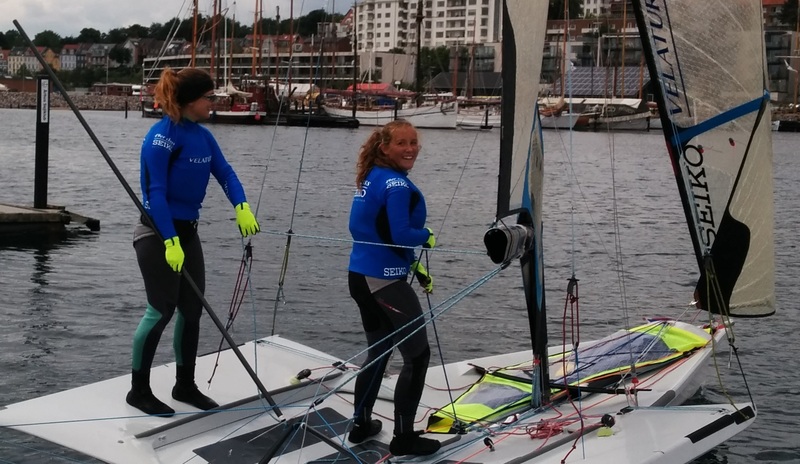 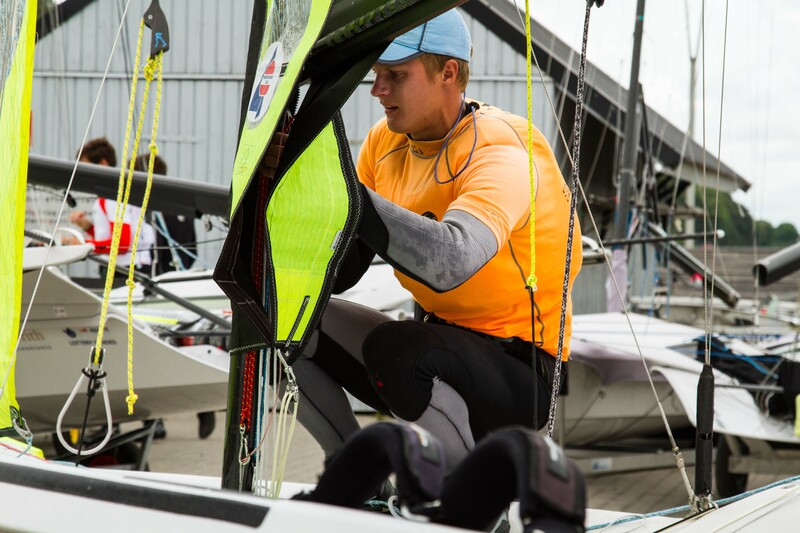 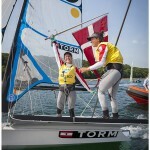 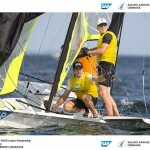 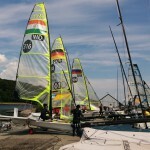 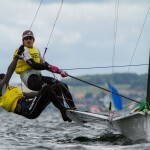 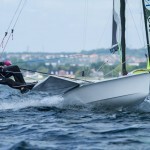 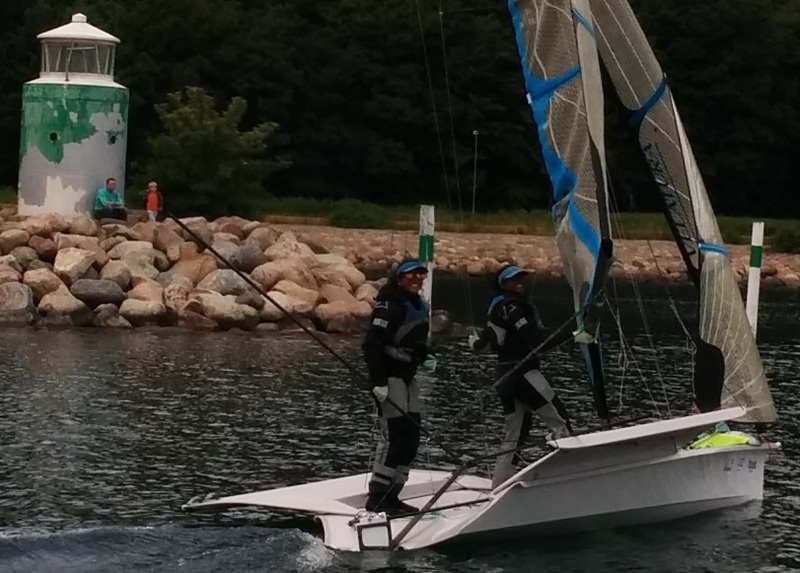 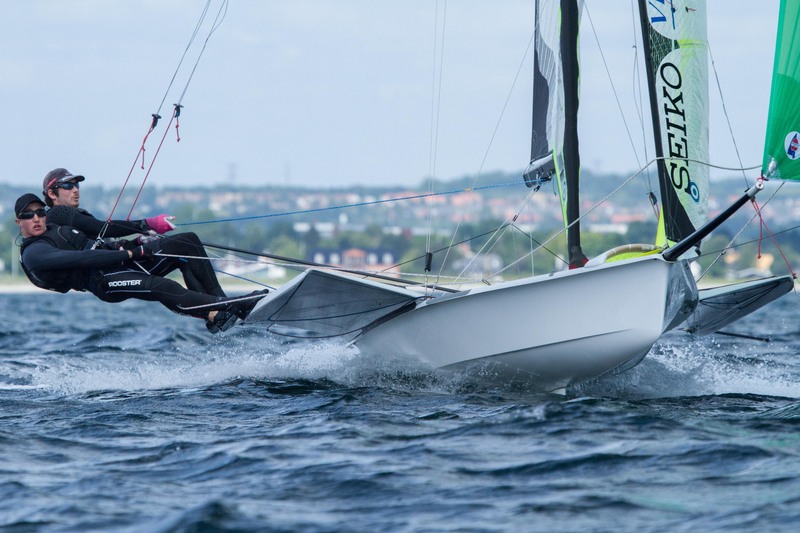 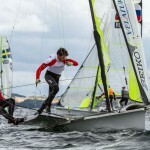 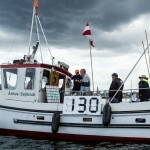 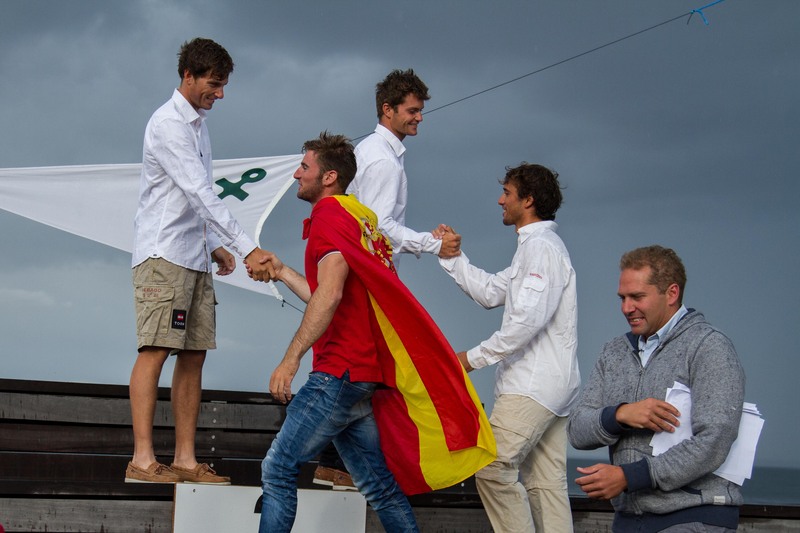 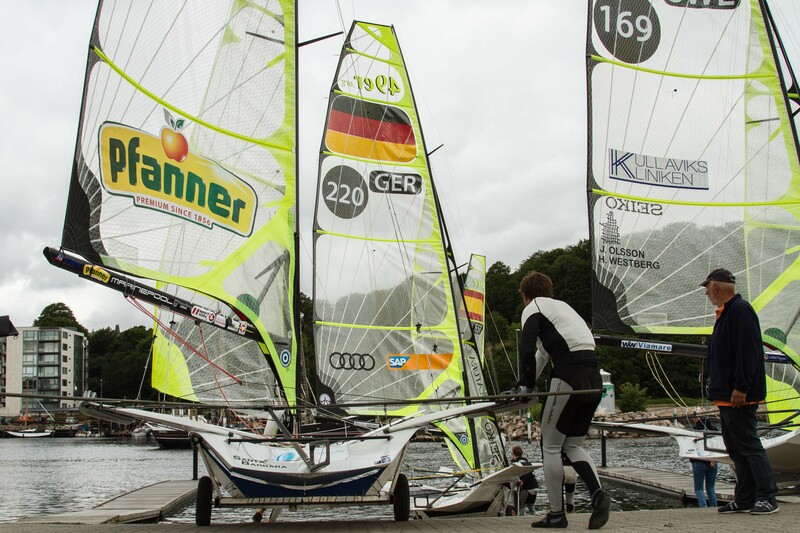 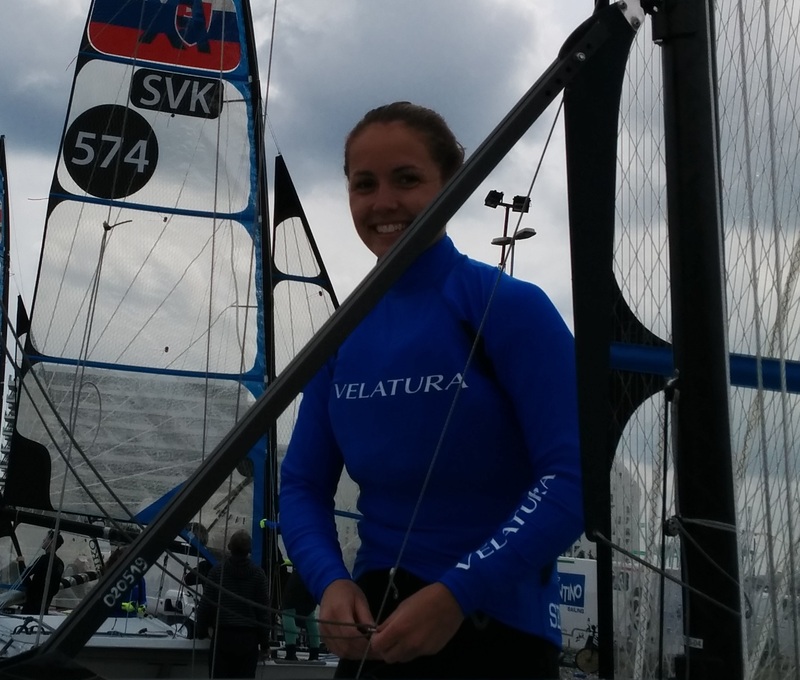 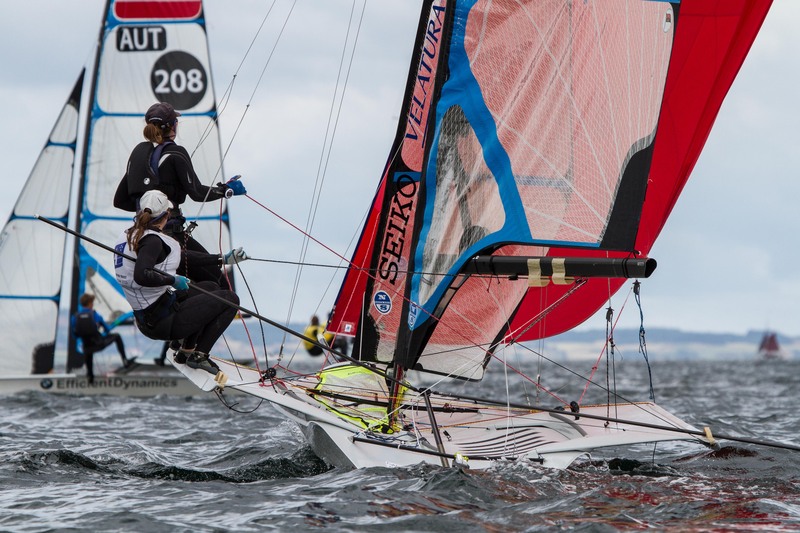 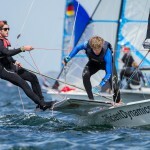 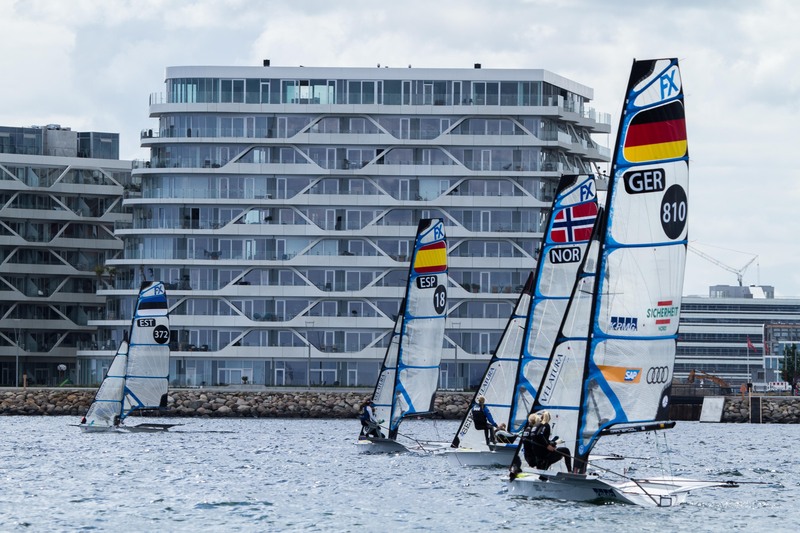 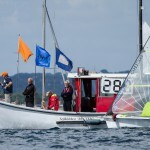 This event was formerly known as the Youth World Championship, but has been changed to the Junior World Championship to better line up with the Finn and 470 class and to avoid conflict with the ISAF Youth World Title that is used at the U18 level. 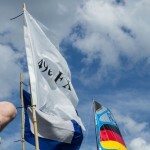 The championship remains U24 by the end of the calendar year. 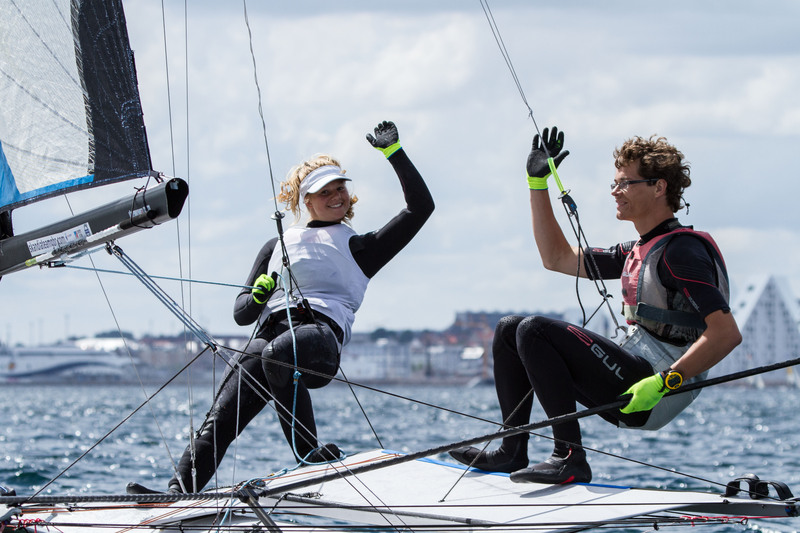 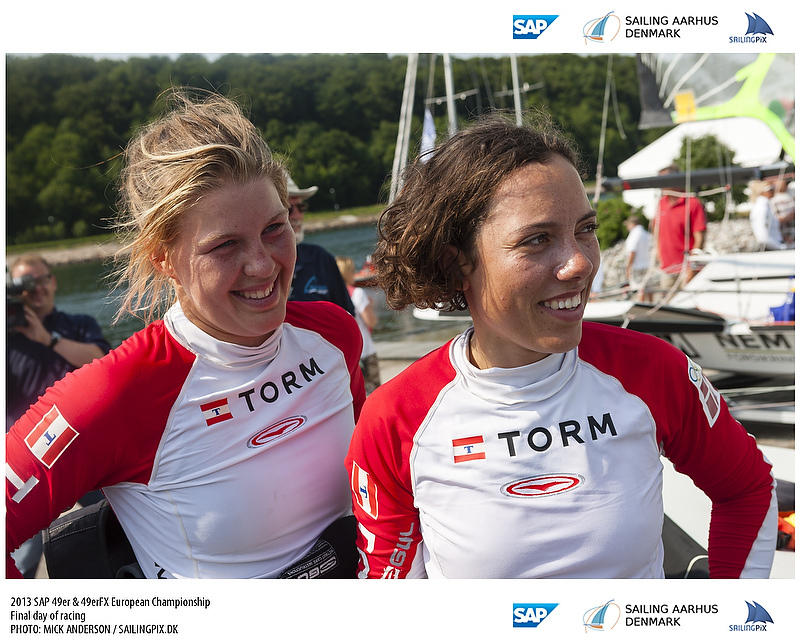 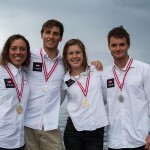 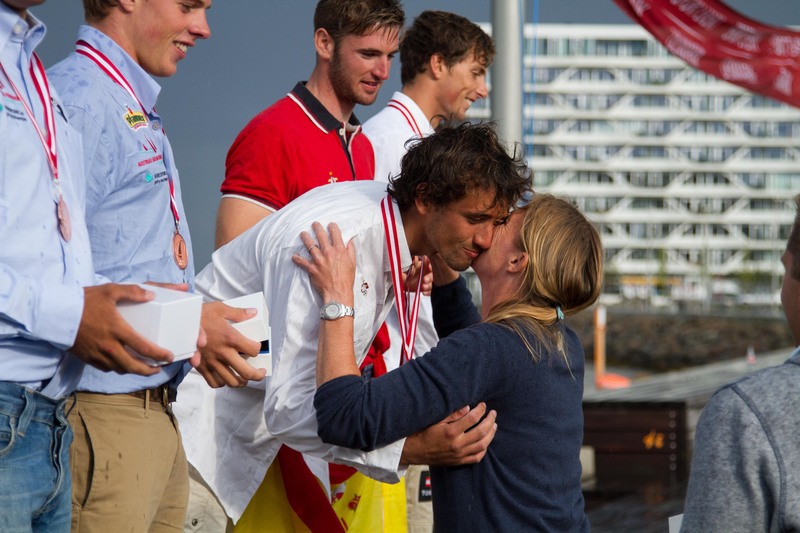 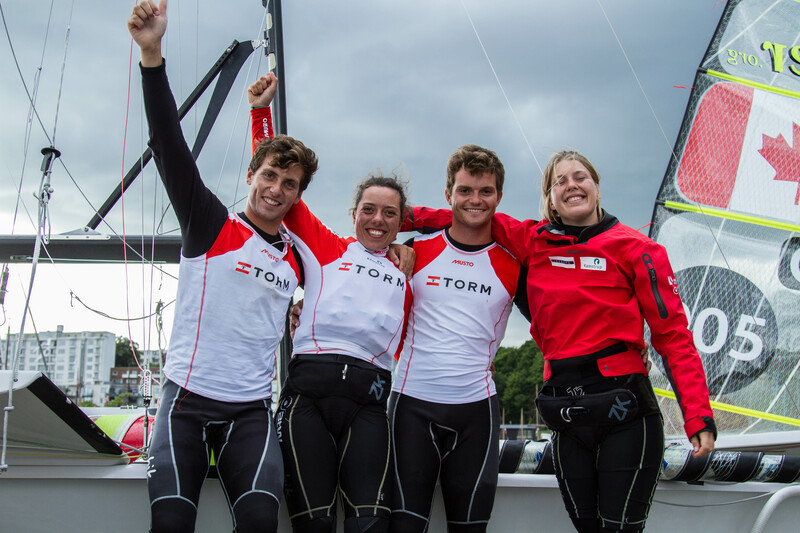 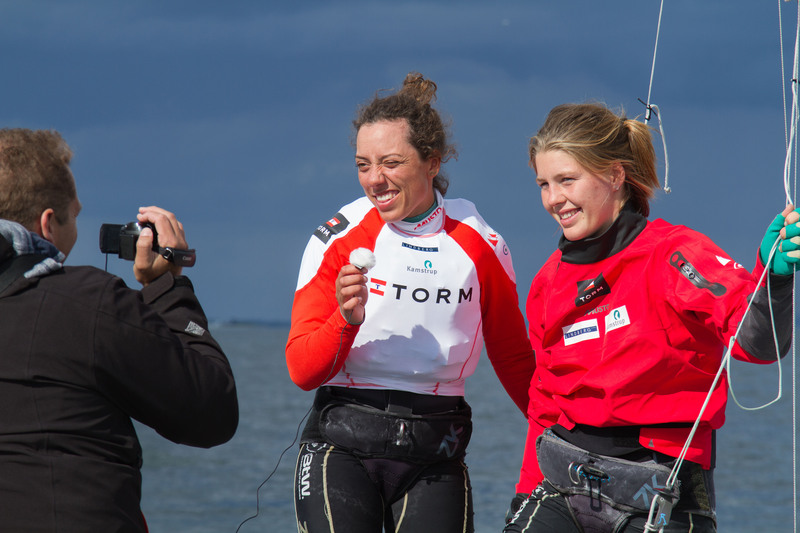 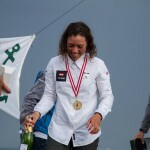 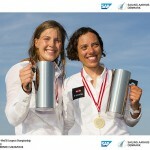 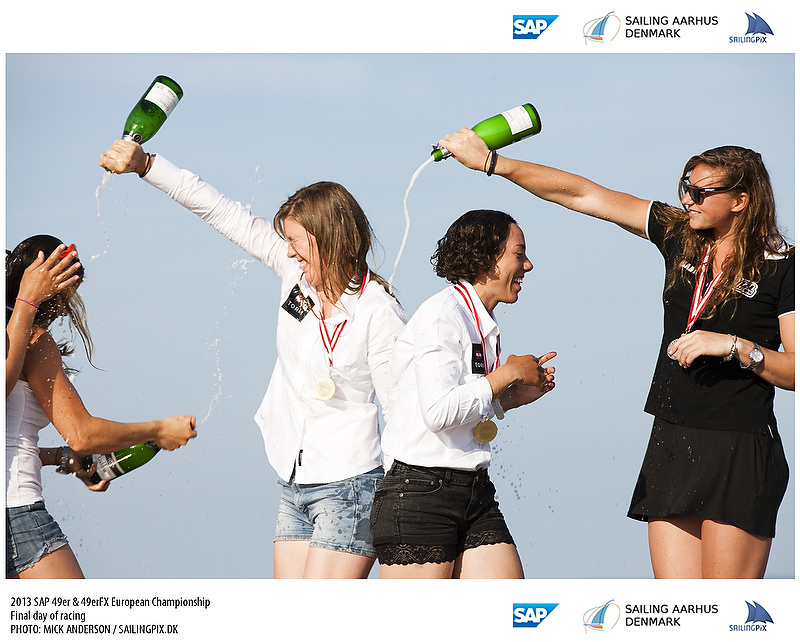 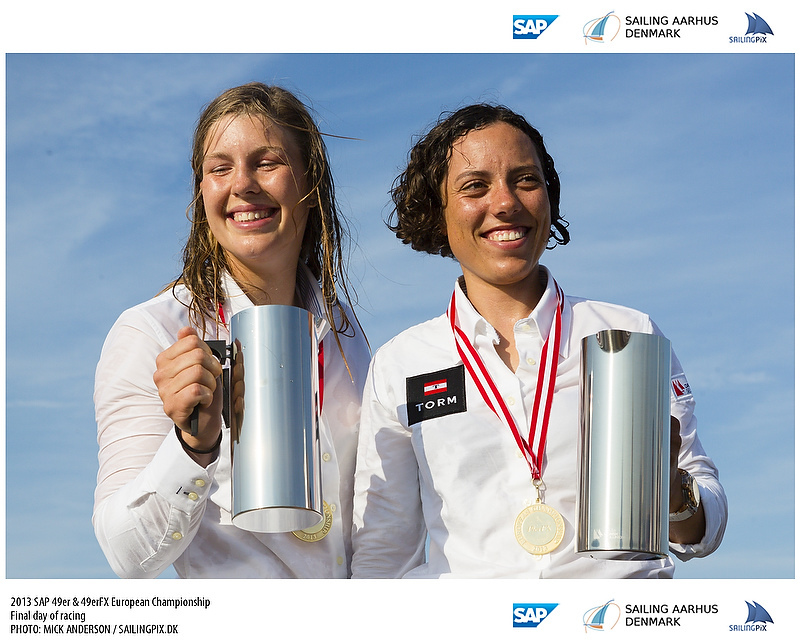 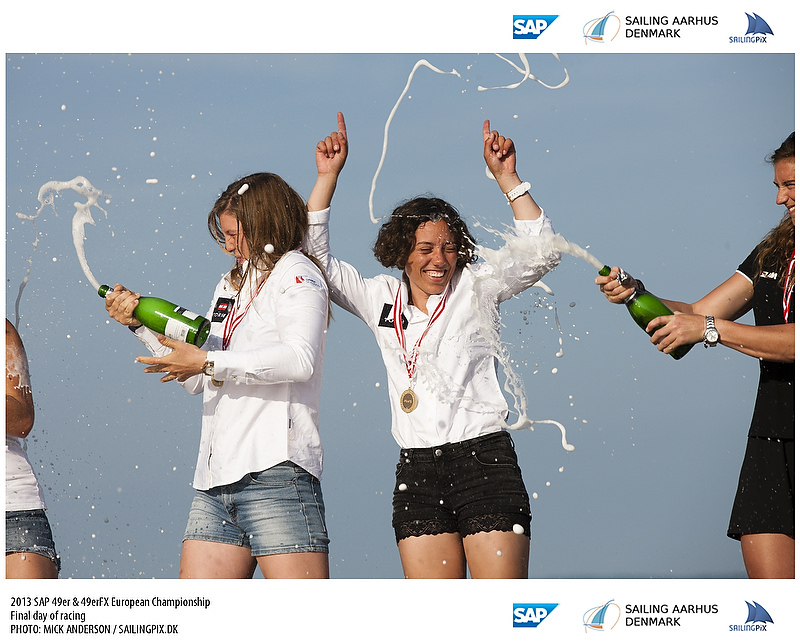 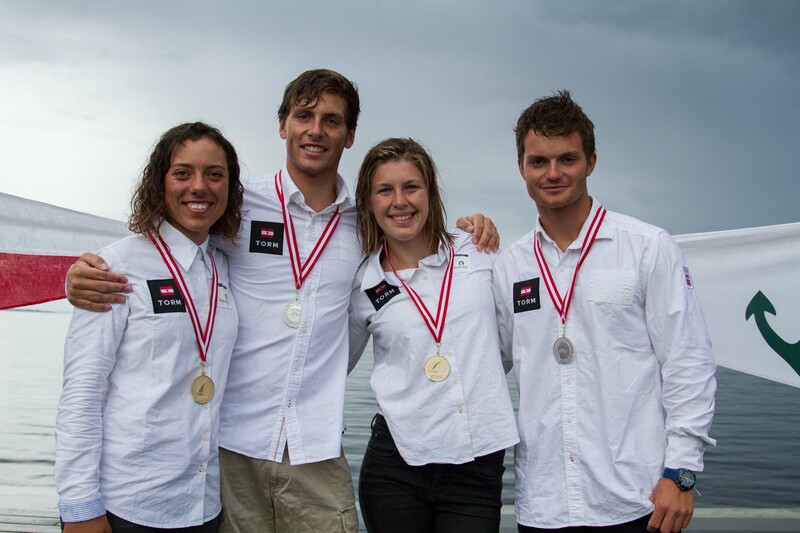 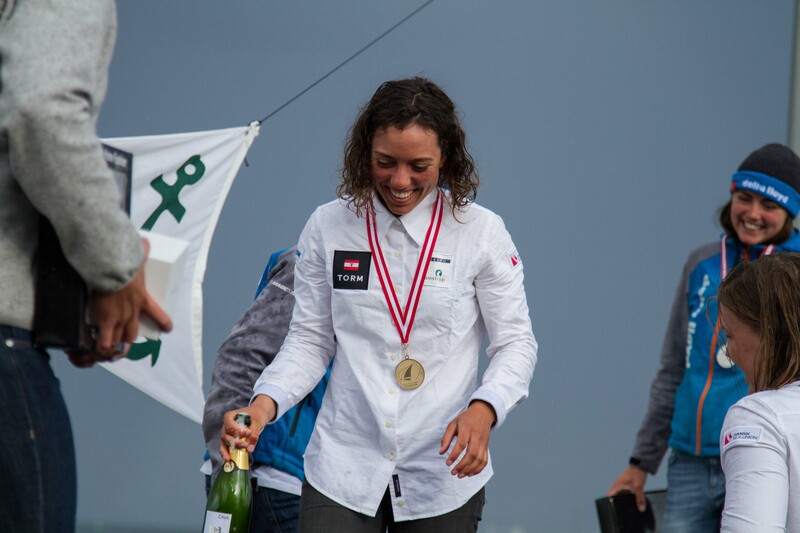 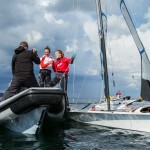 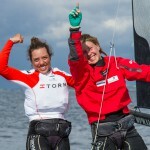 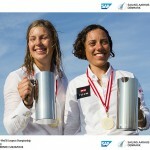 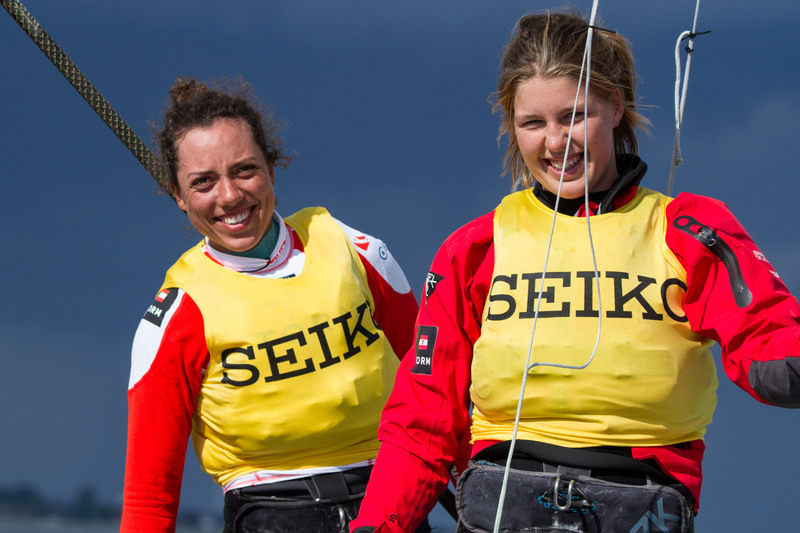 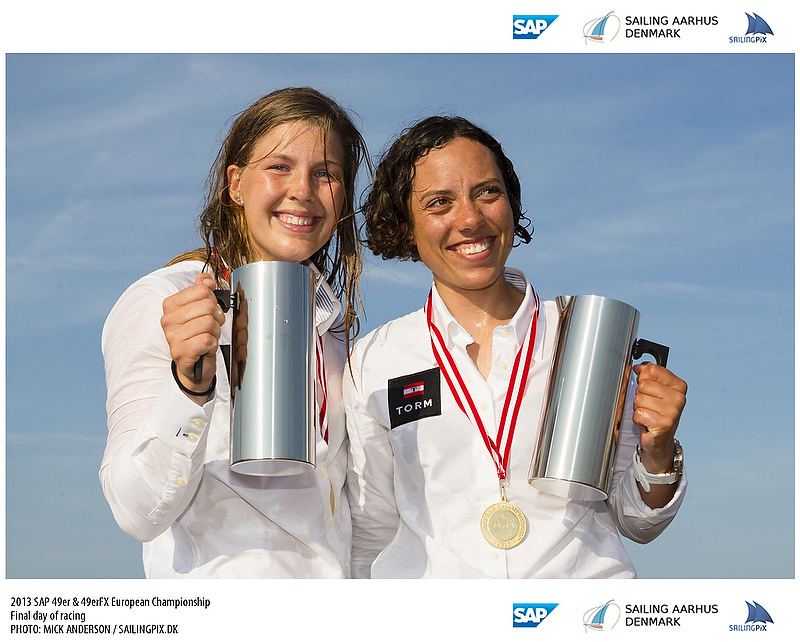 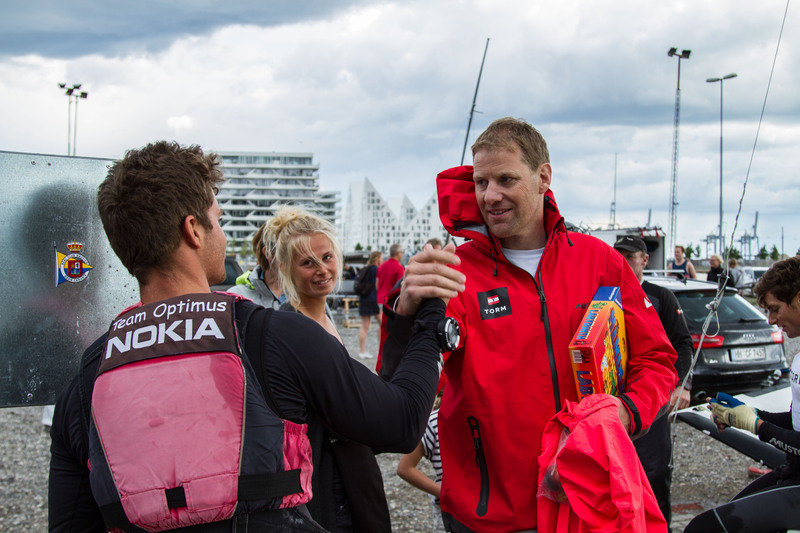 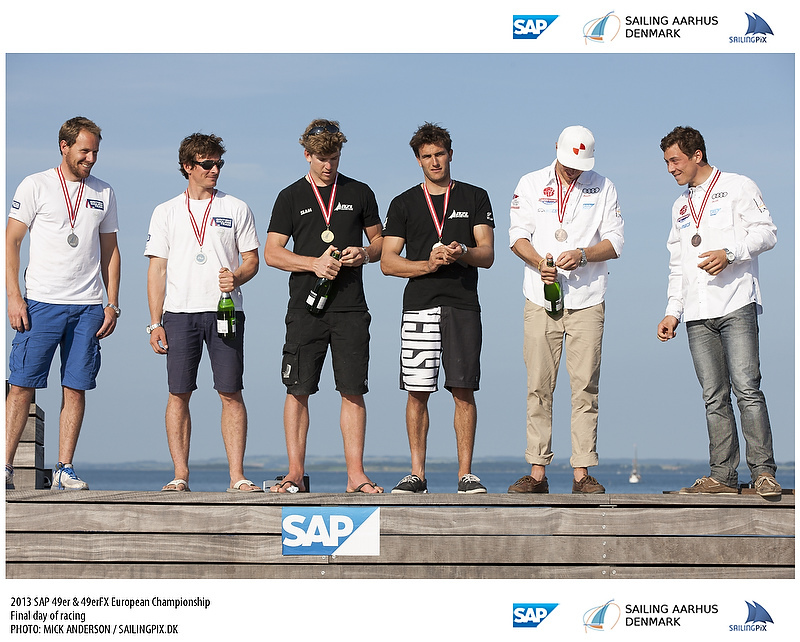 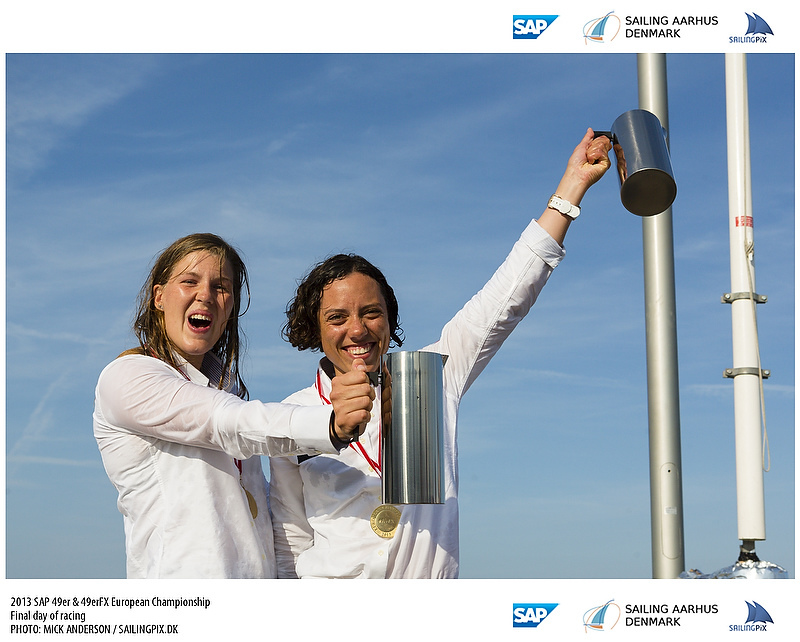 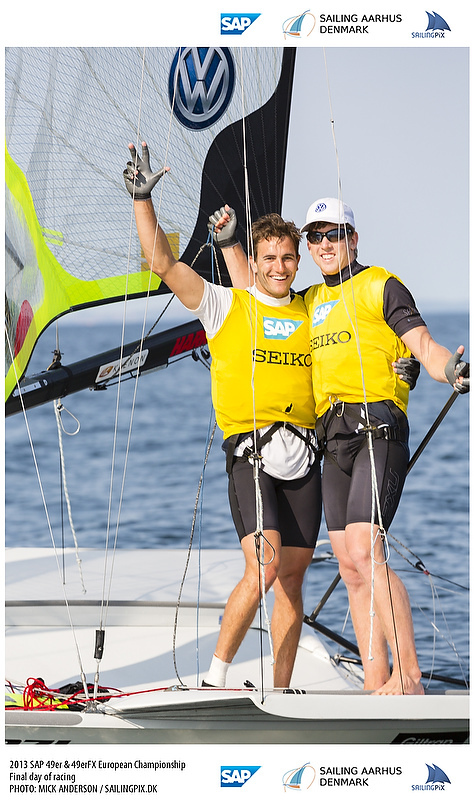 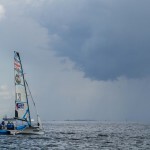 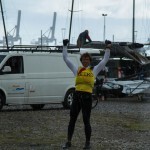 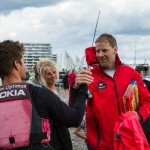 The championship is also open in terms of gender for both 49er & 49erFX in terms of participation, but the title for 49er will go to the top male pair and the title for 49erFX will go to the top female pair.